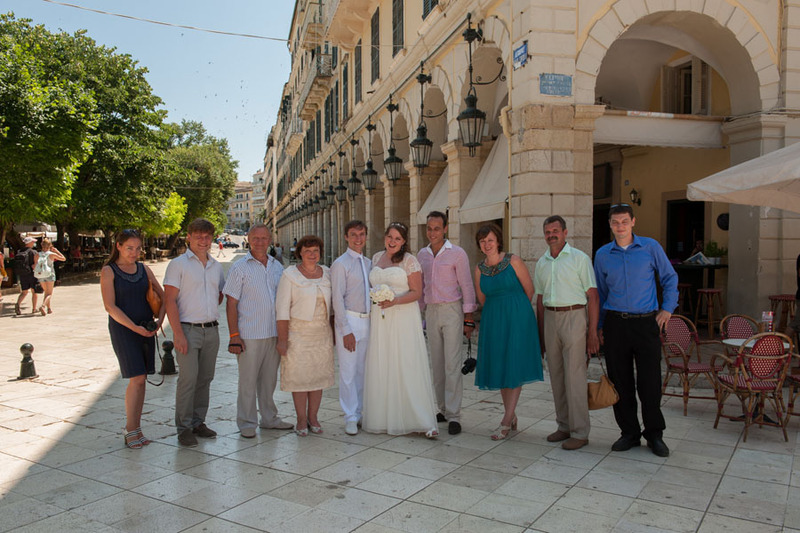 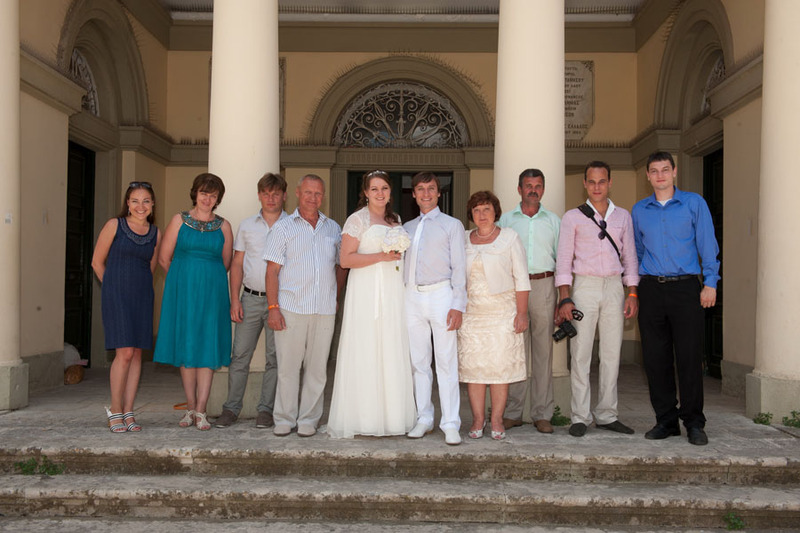 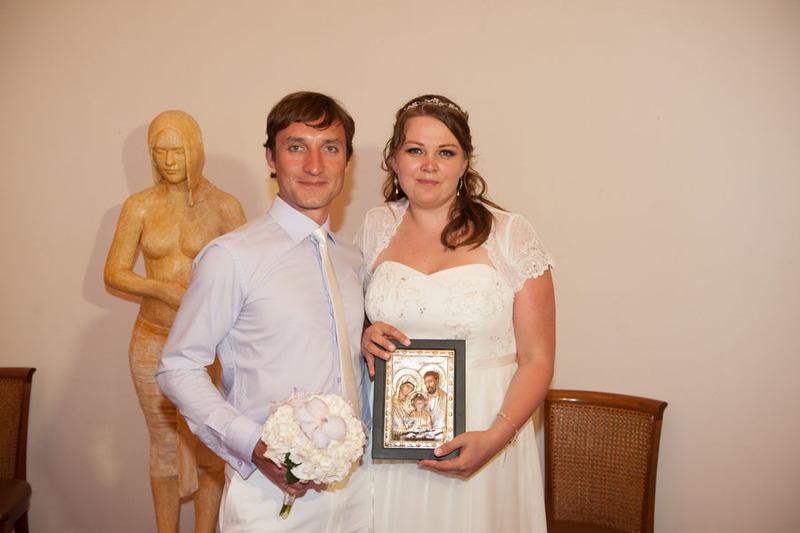 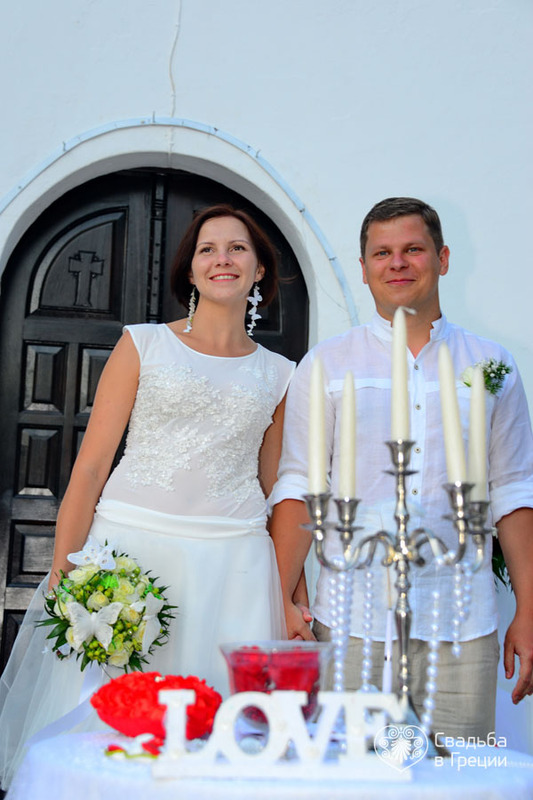 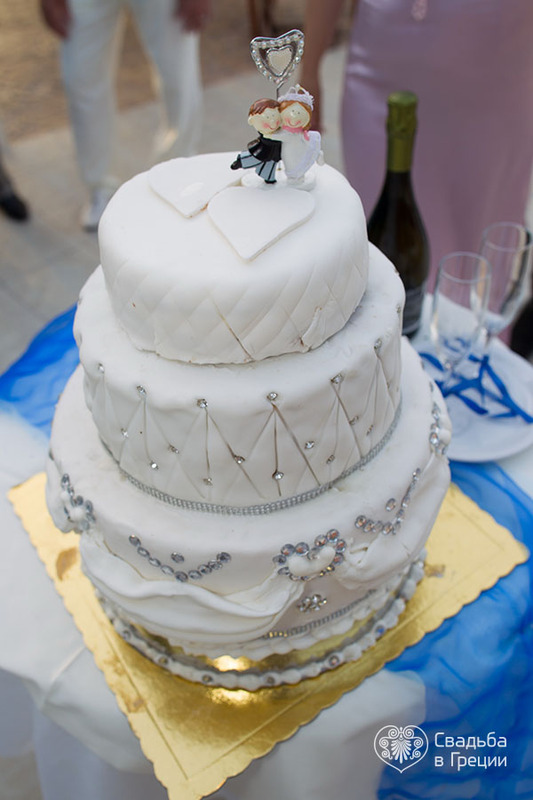 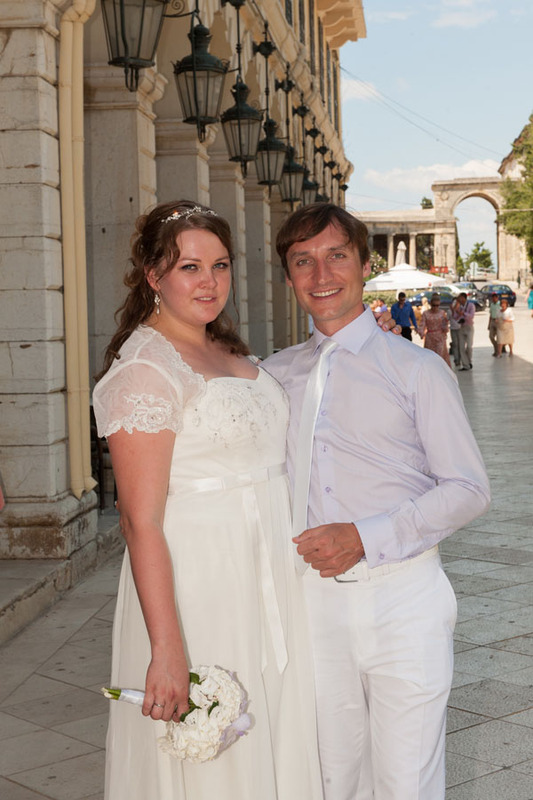 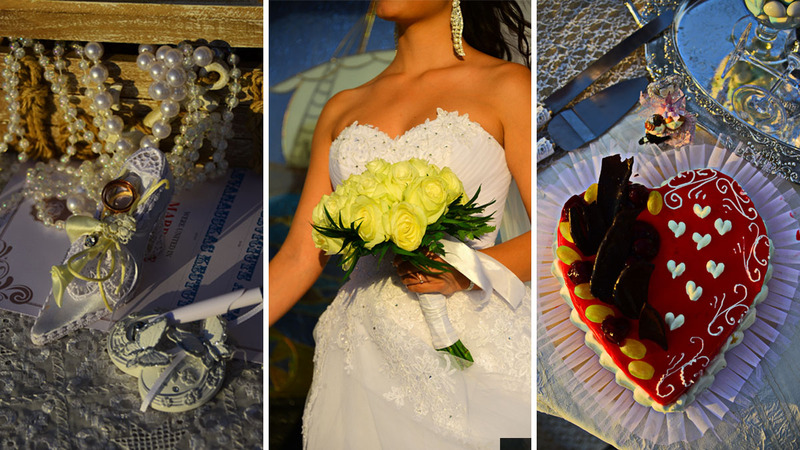 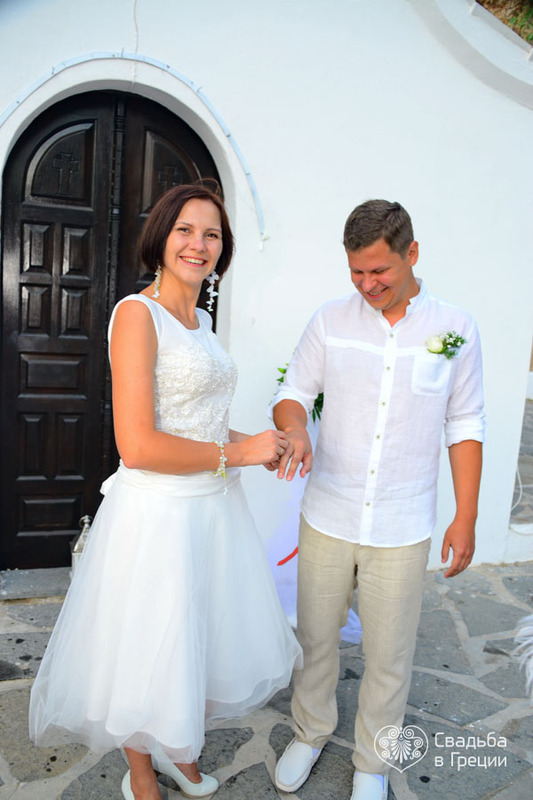 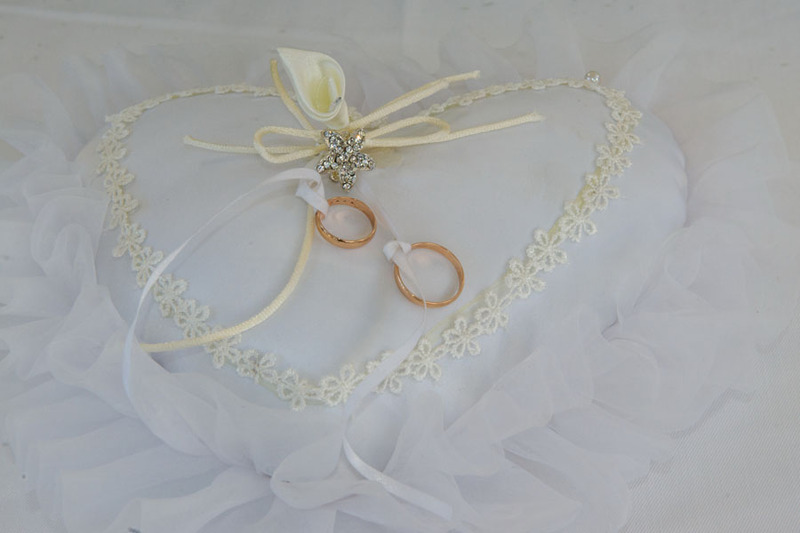 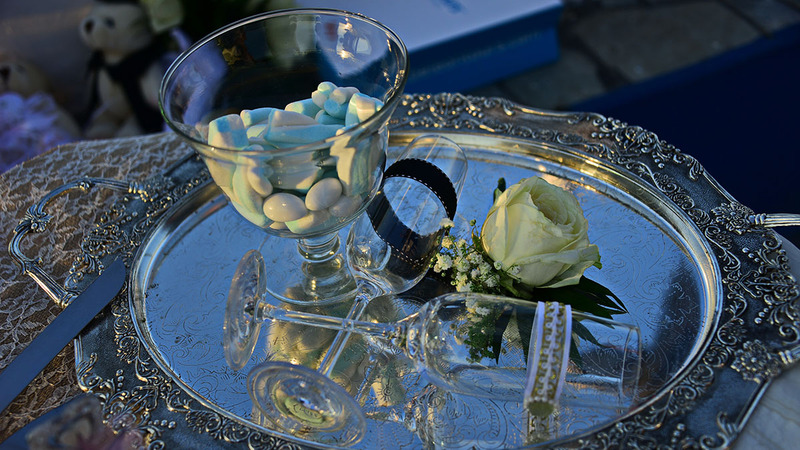 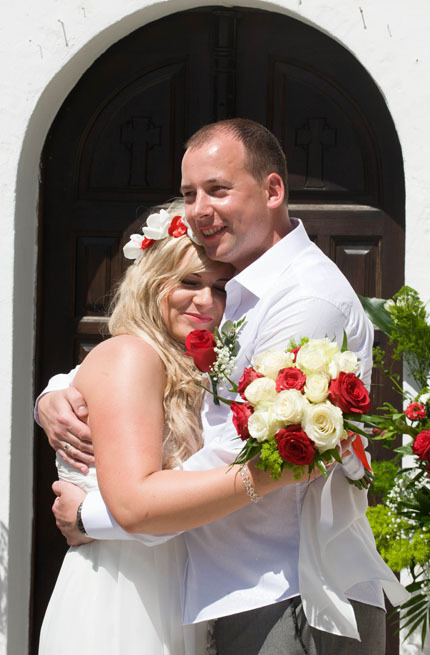 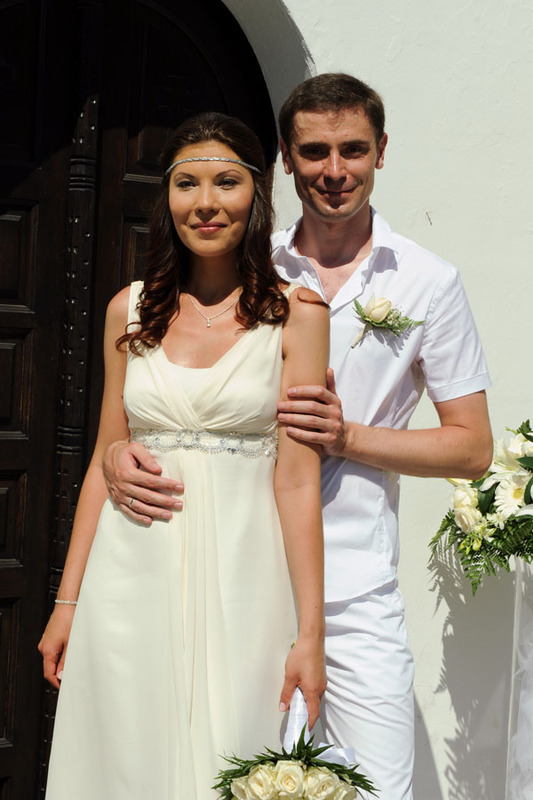 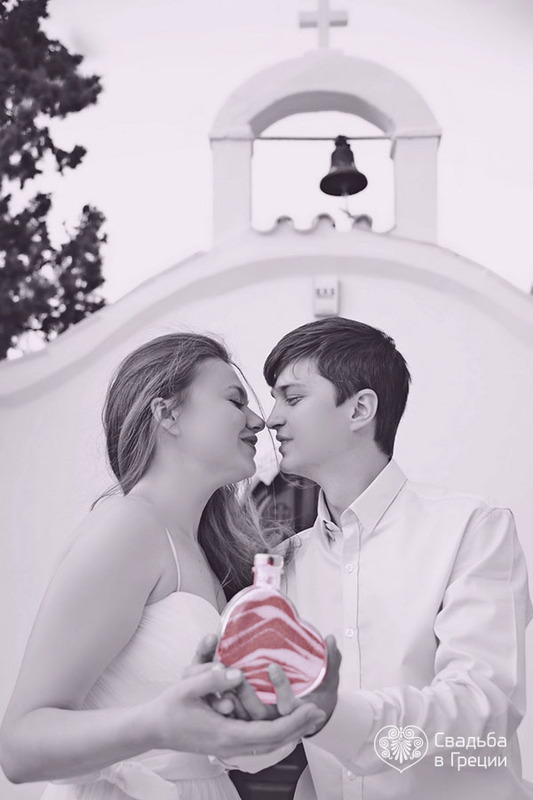 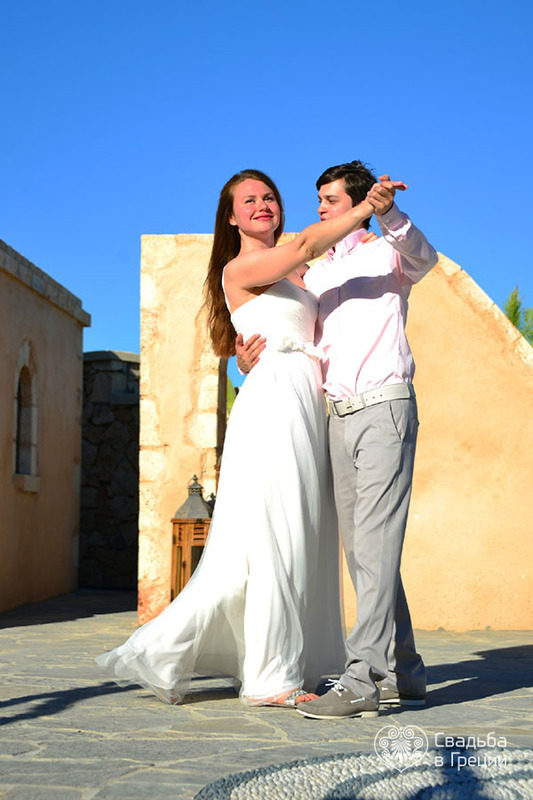 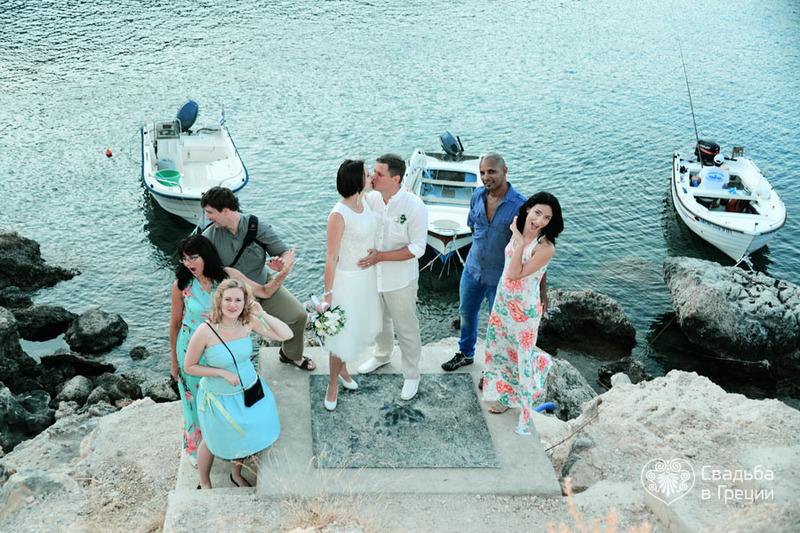 Civil wedding in Greece: photo, reviews, prices, wedding offers. 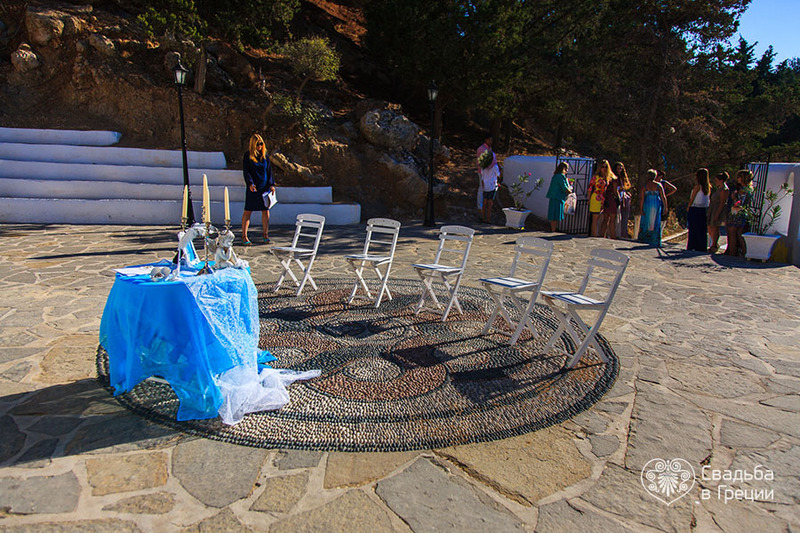 Do you dream about a fantastic and unique wedding ceremony? 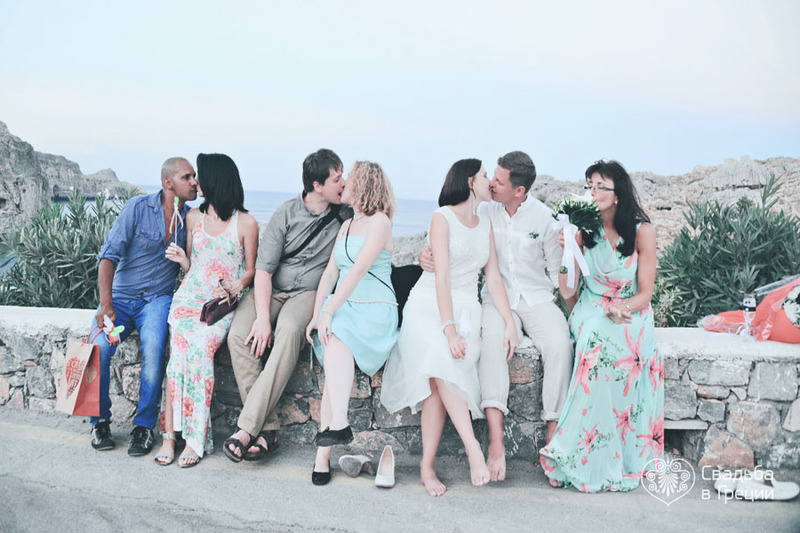 Do you want to stand out and erase all common stereotypes? 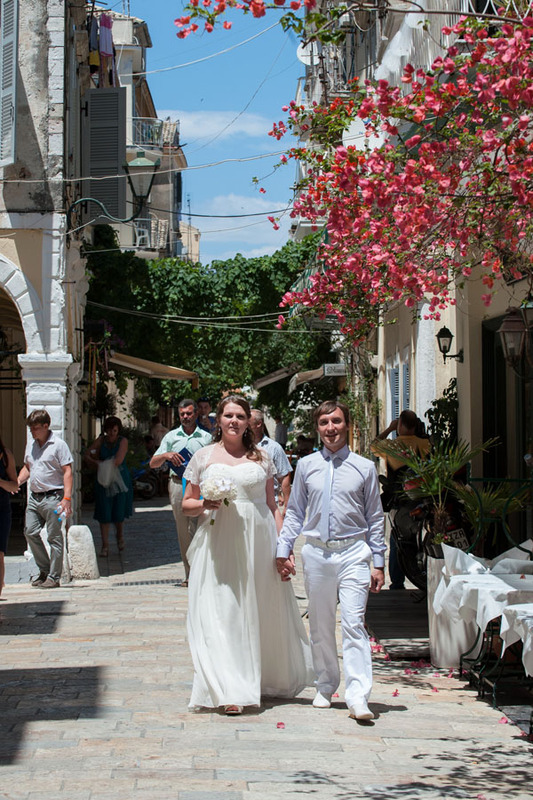 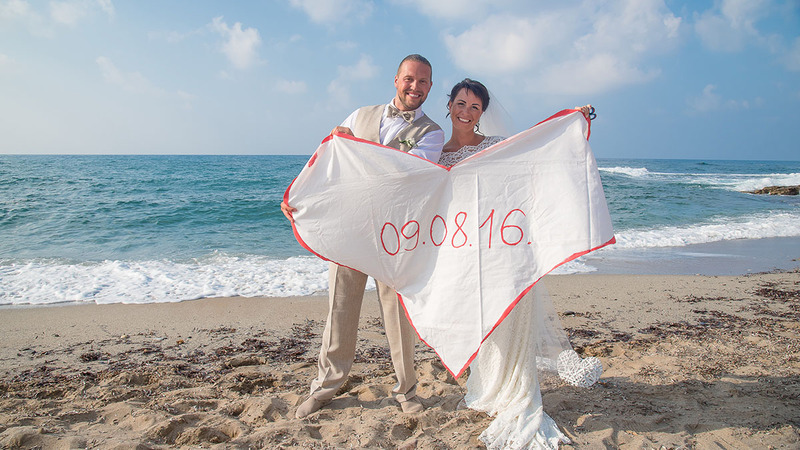 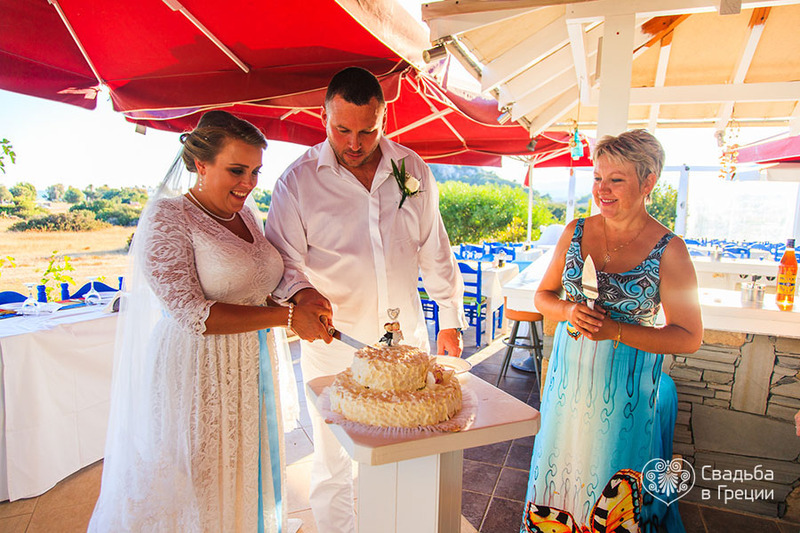 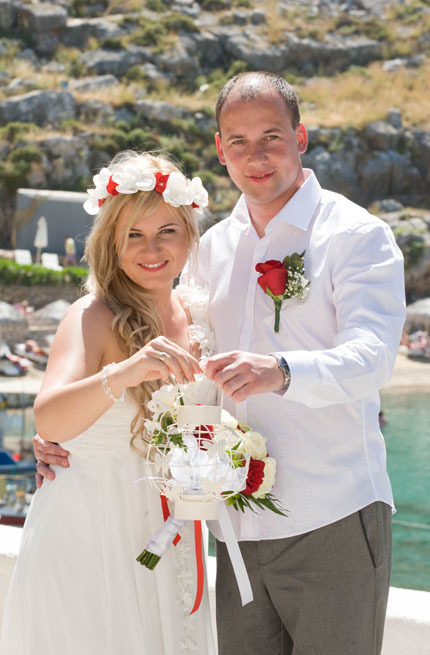 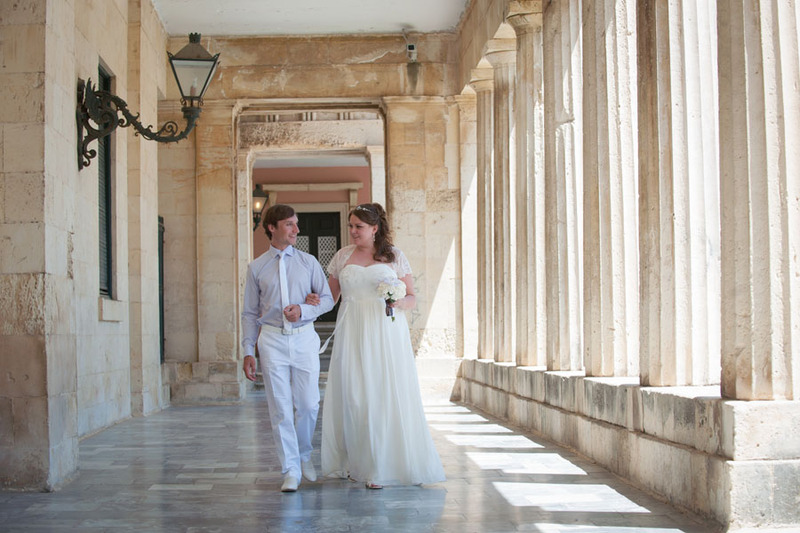 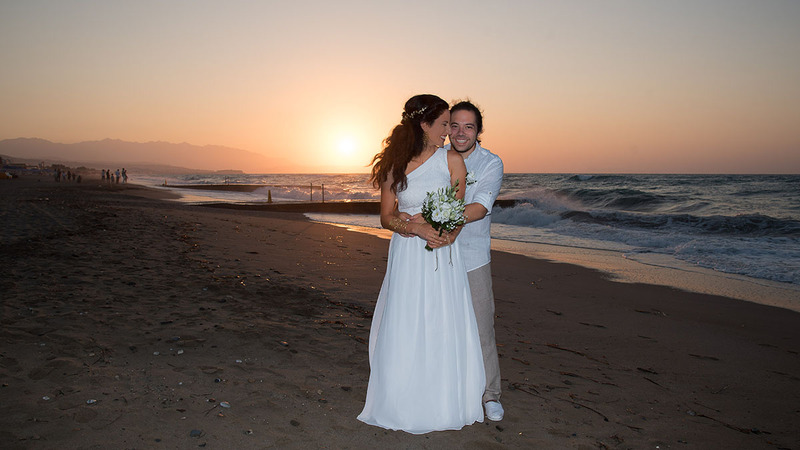 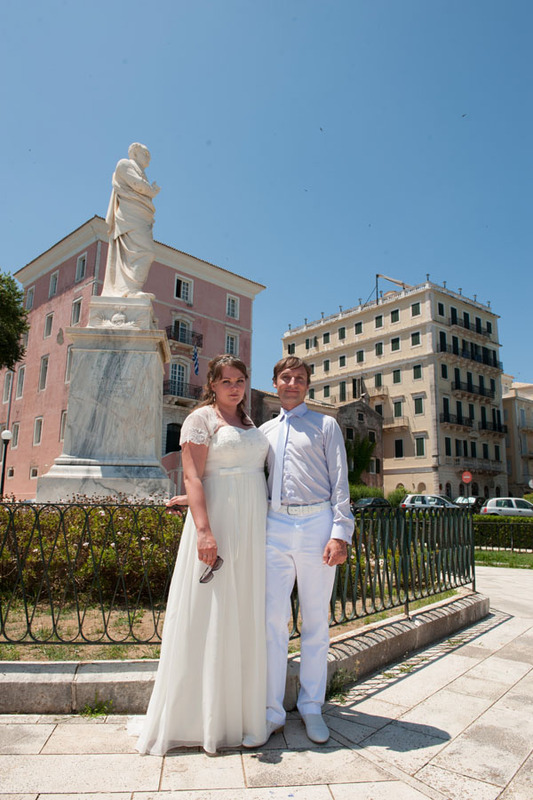 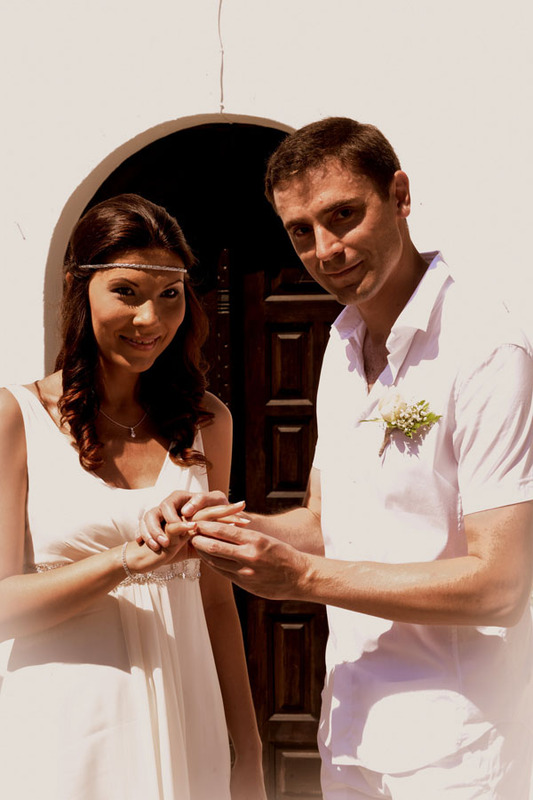 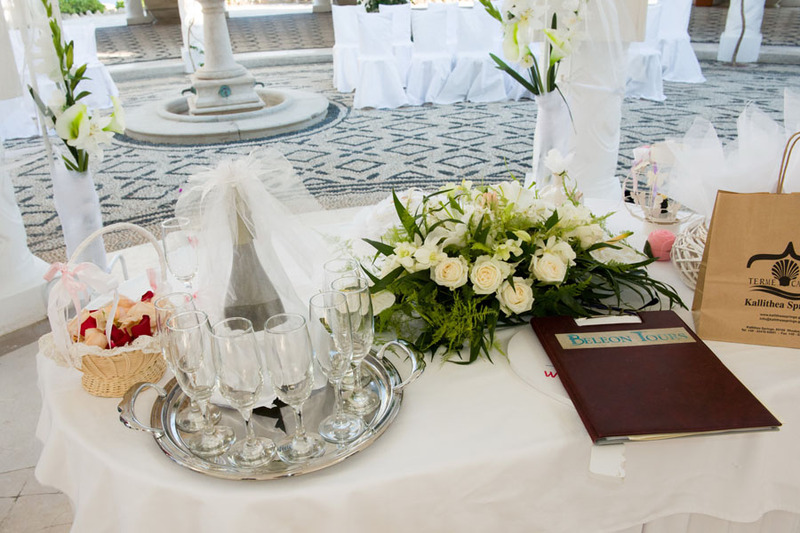 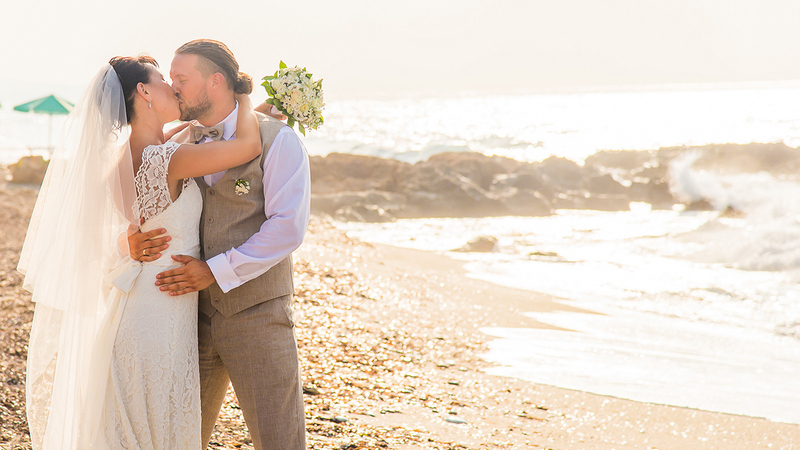 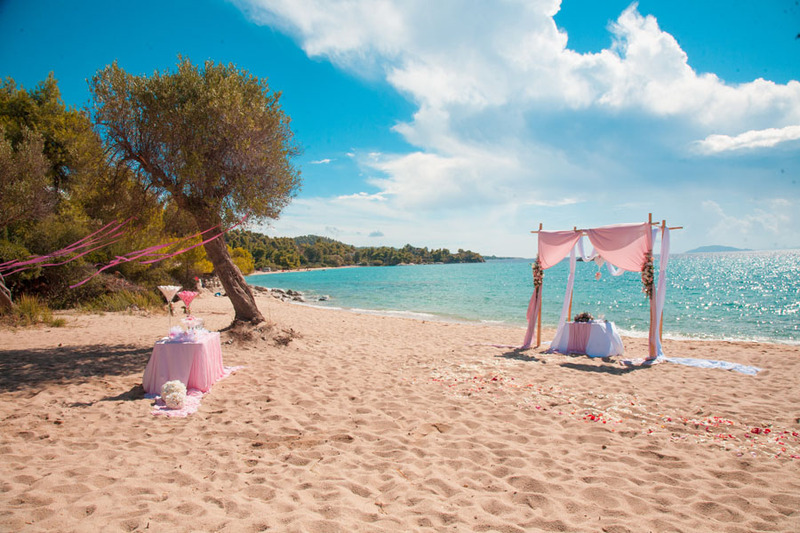 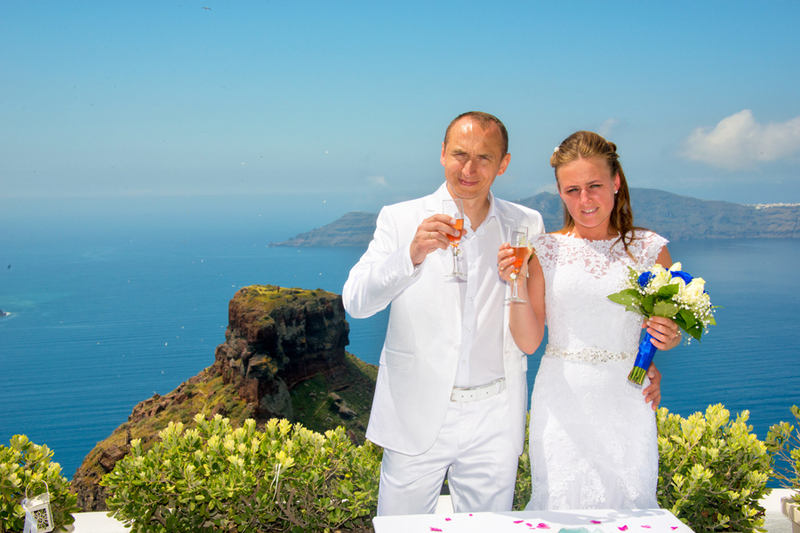 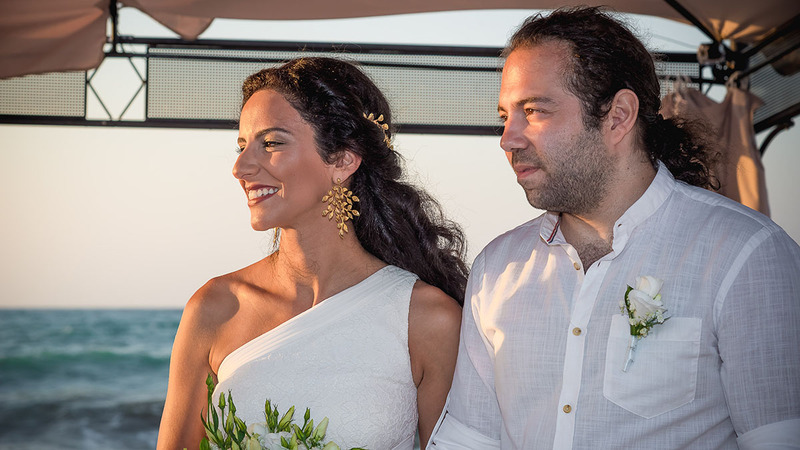 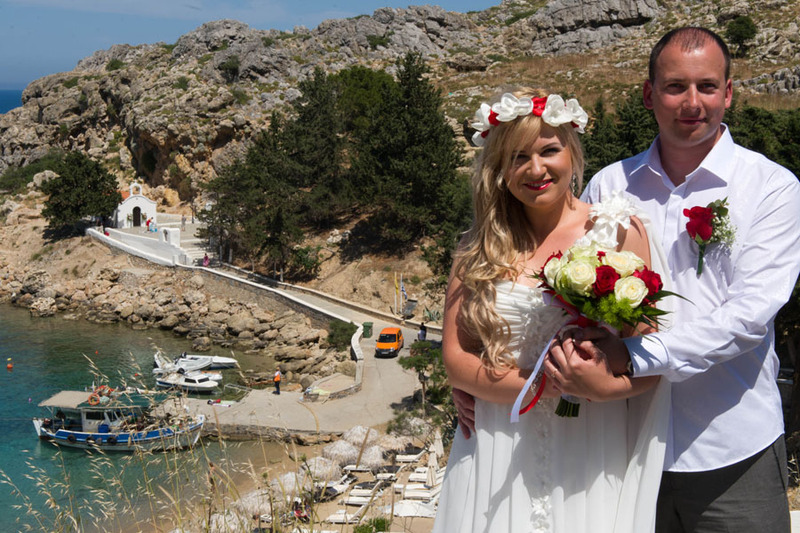 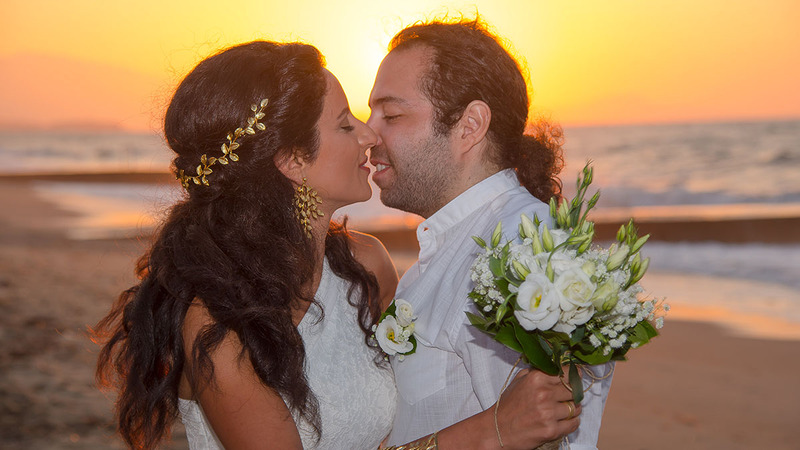 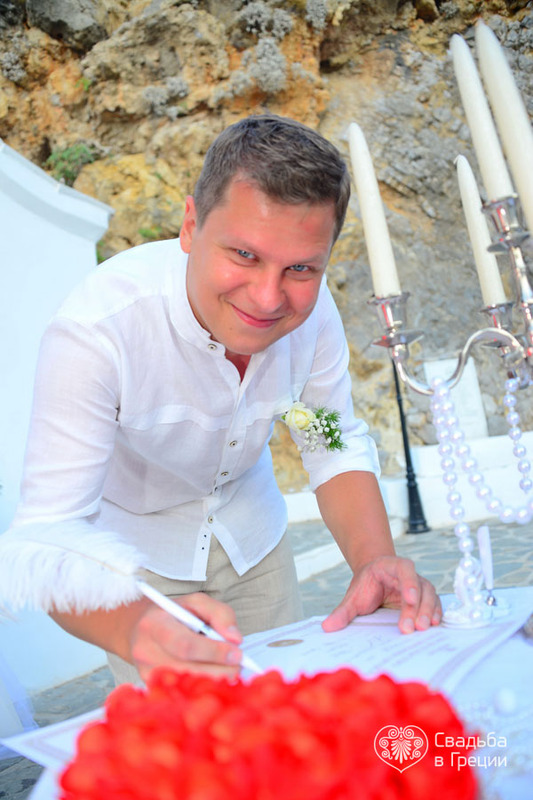 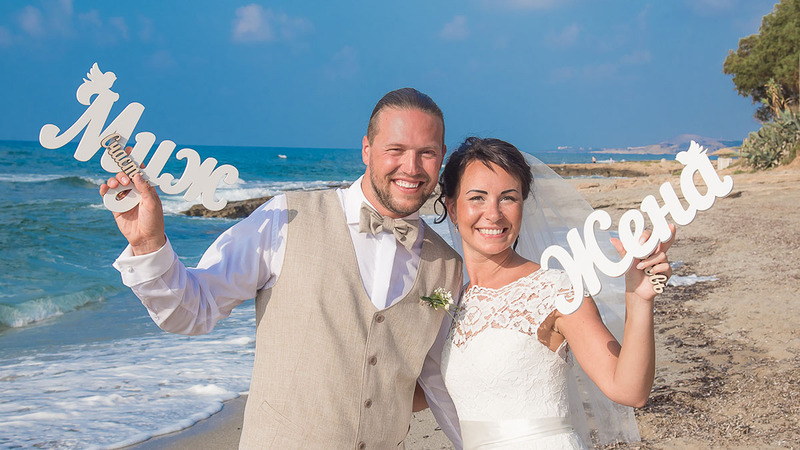 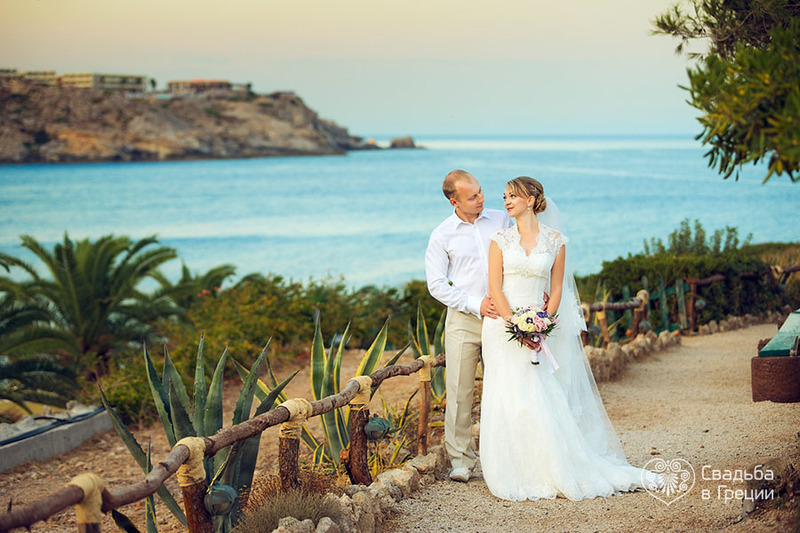 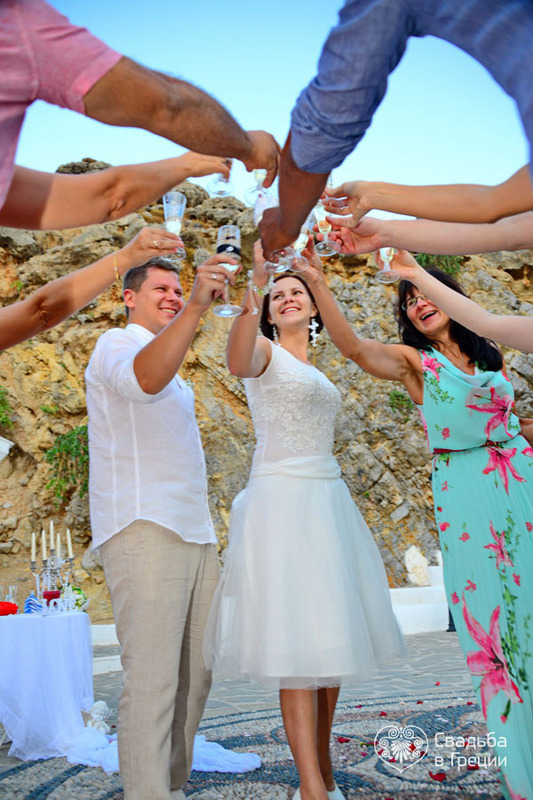 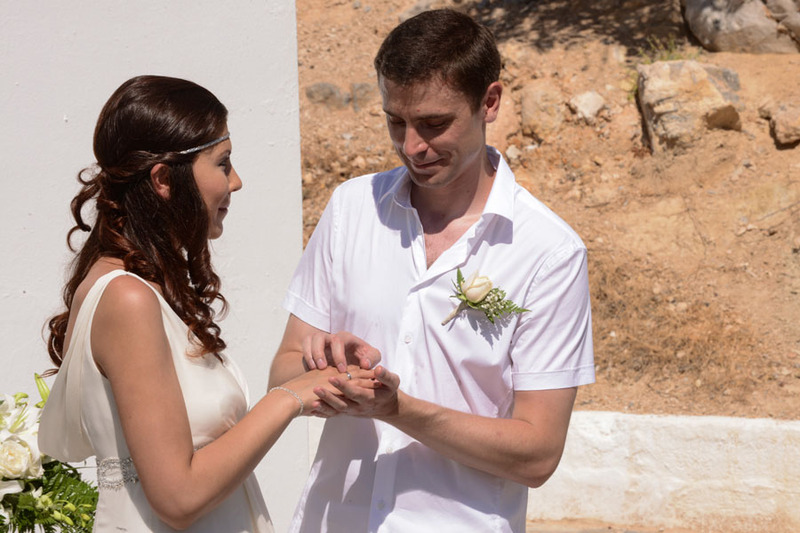 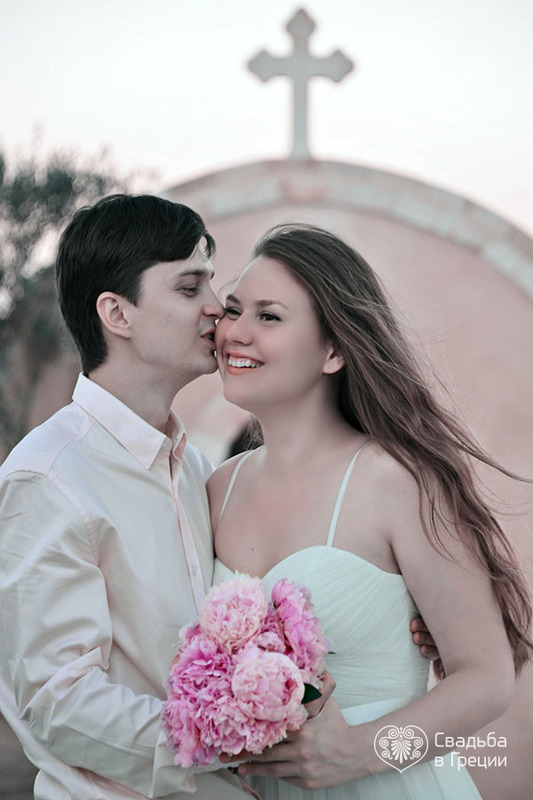 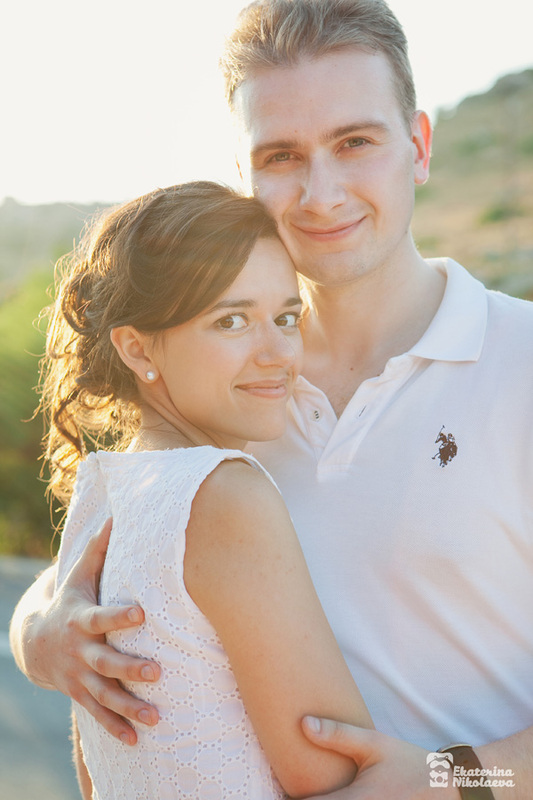 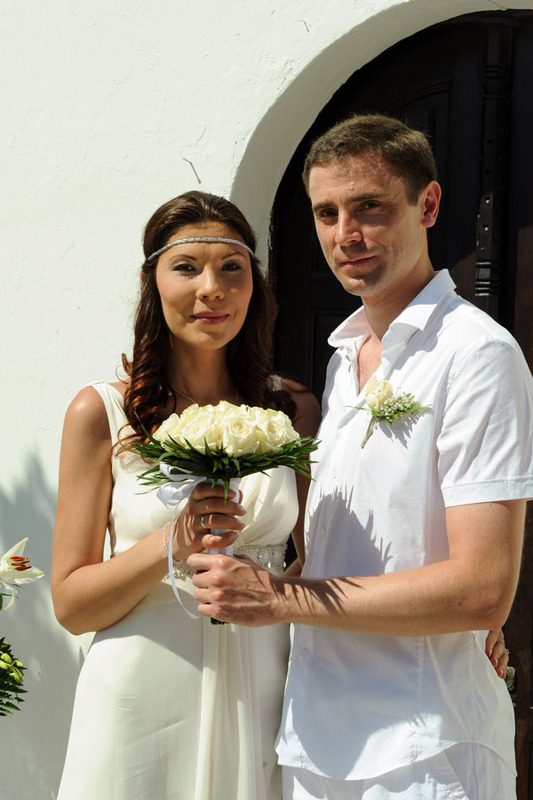 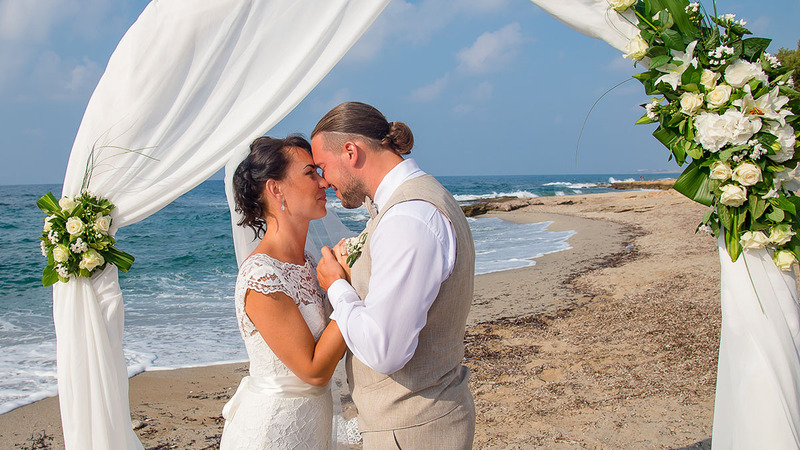 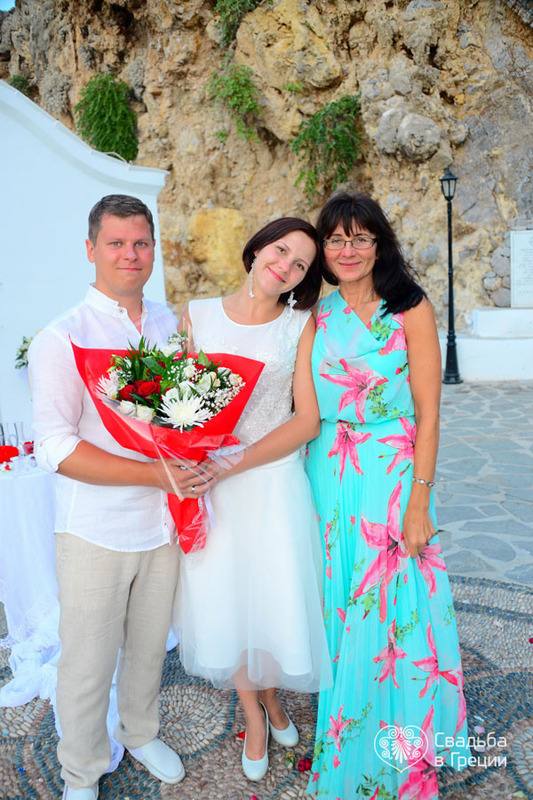 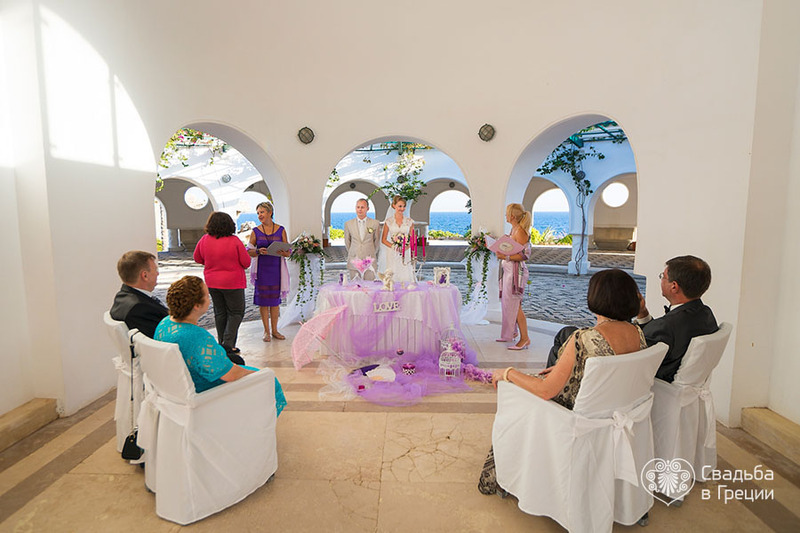 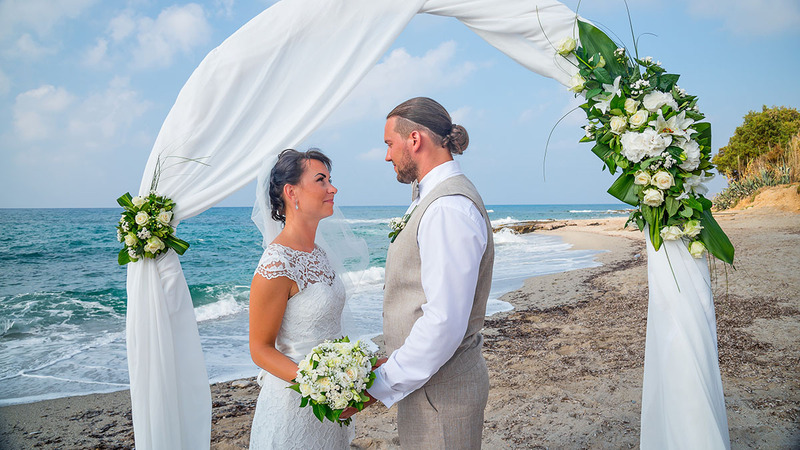 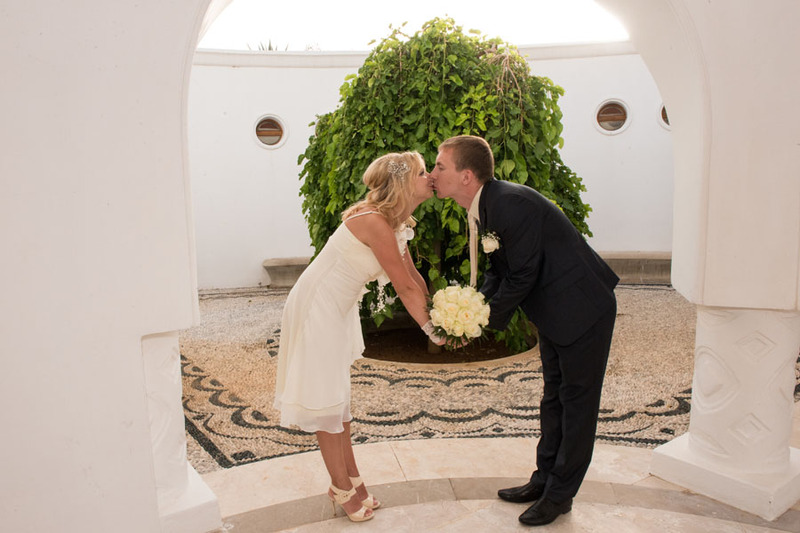 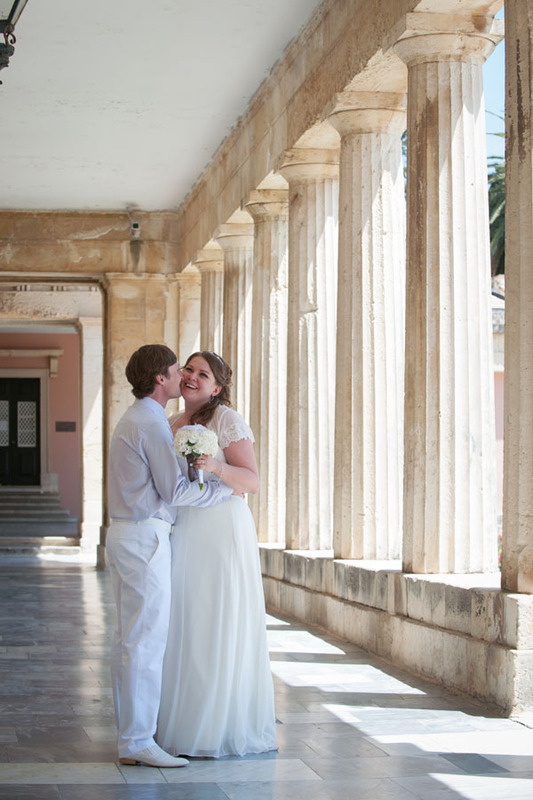 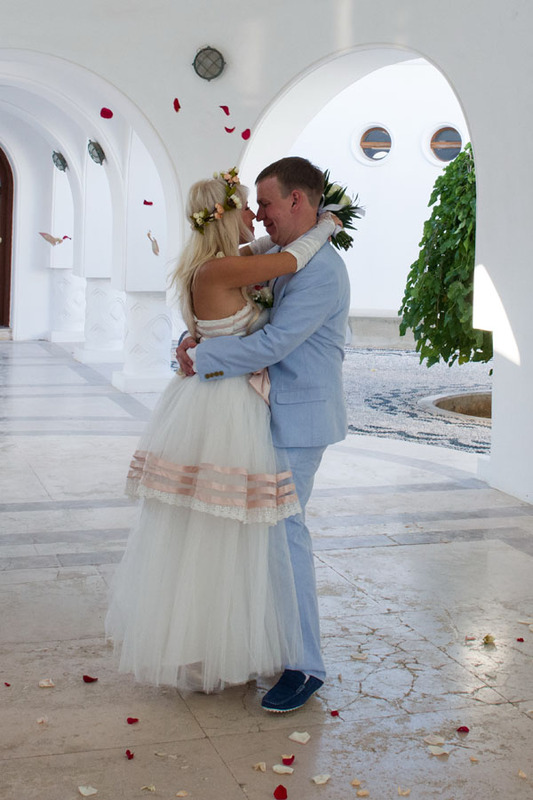 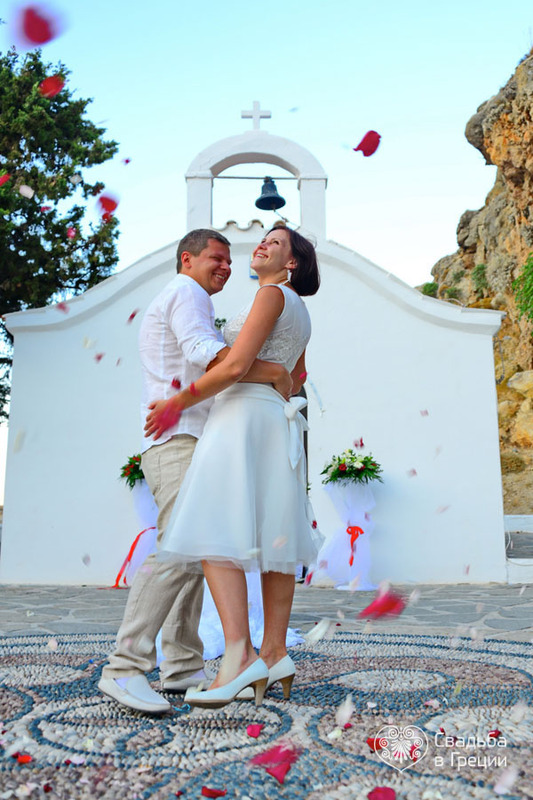 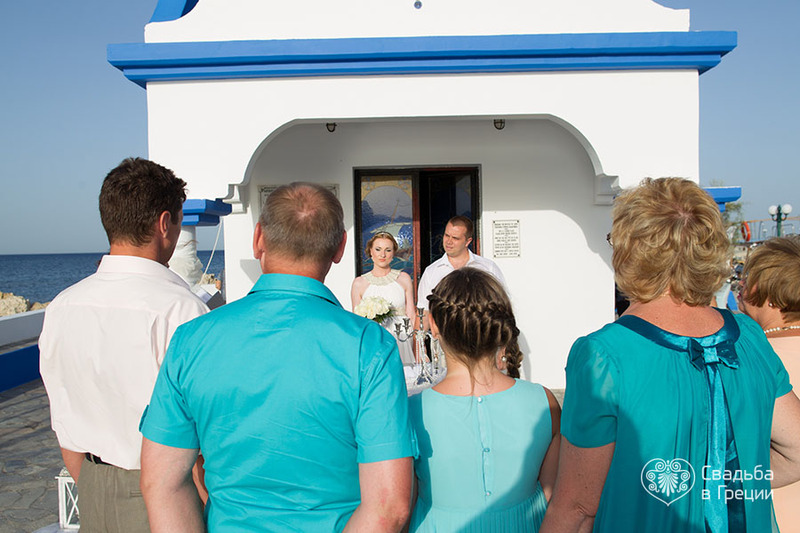 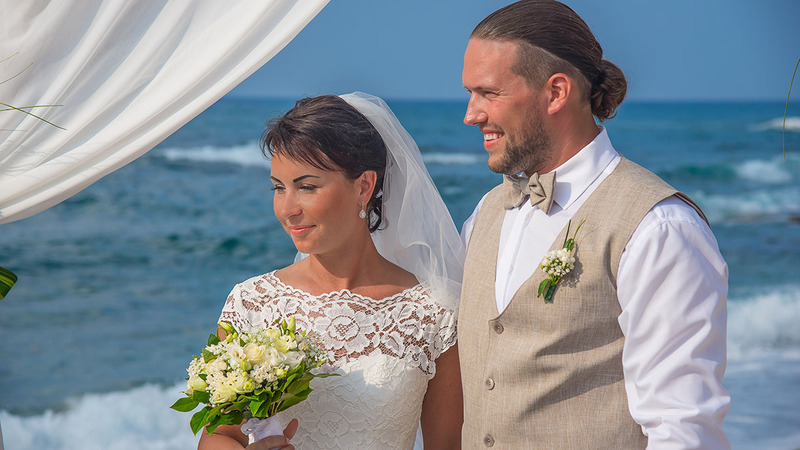 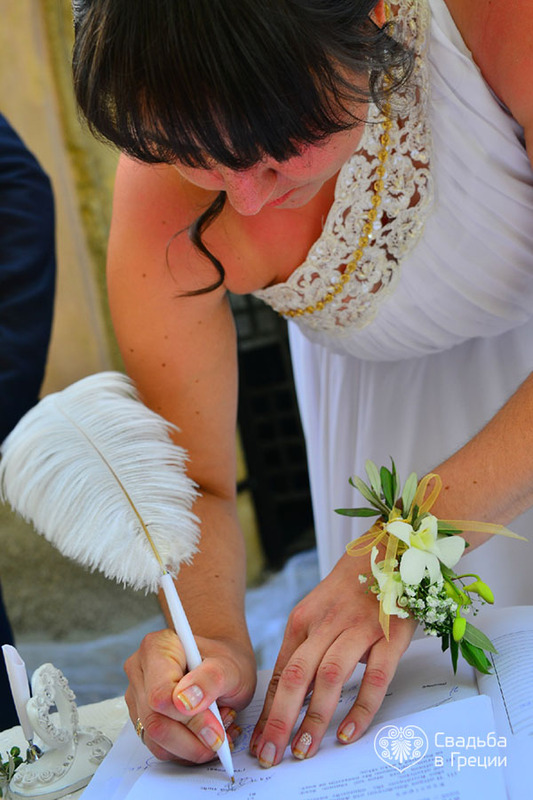 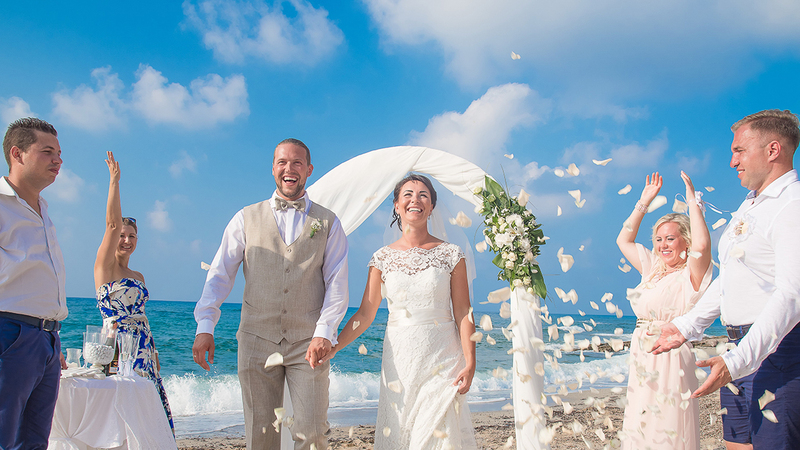 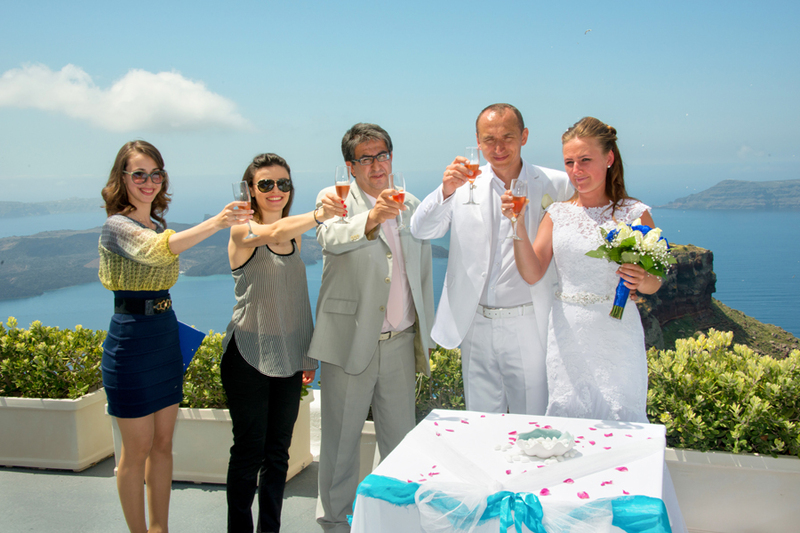 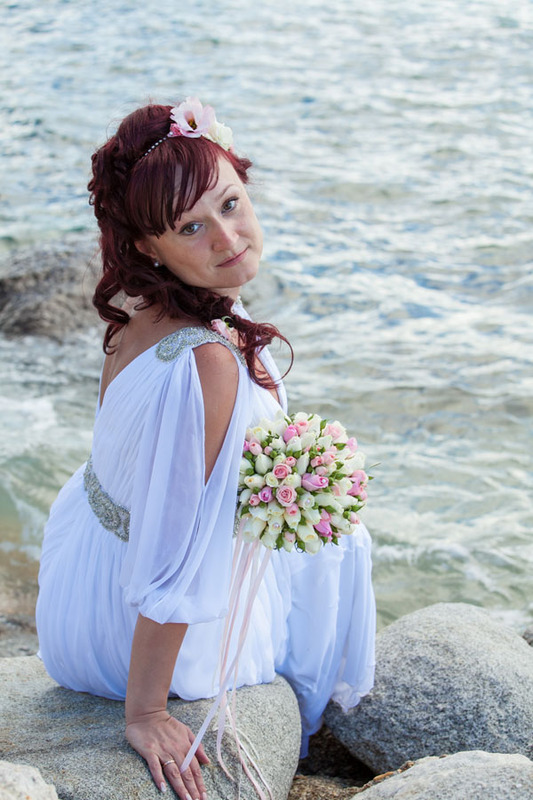 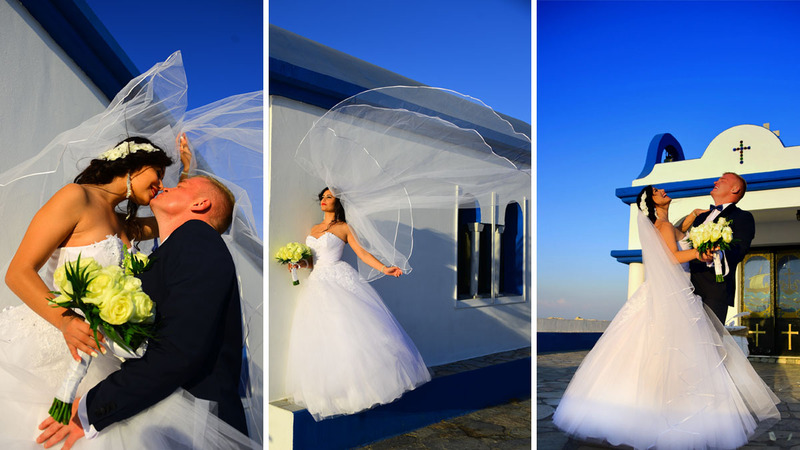 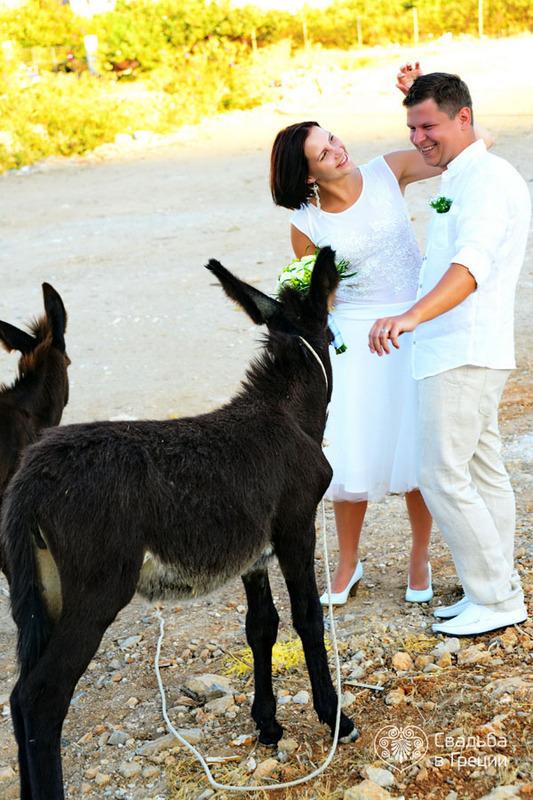 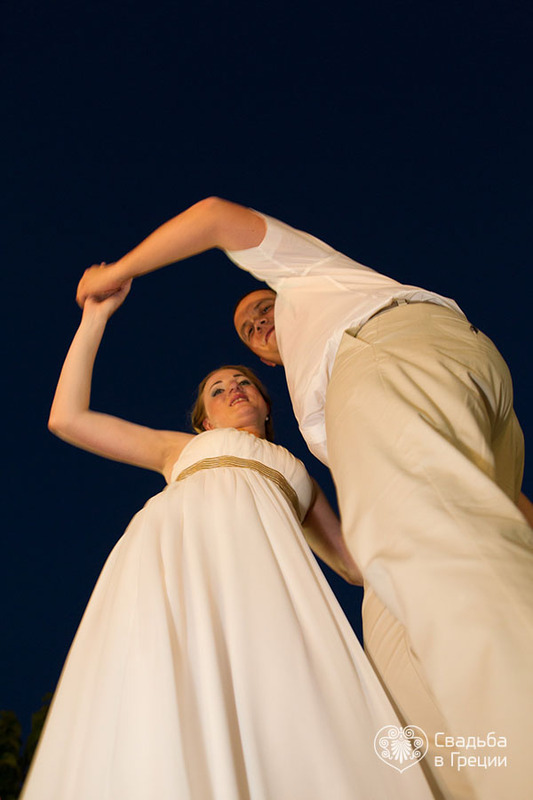 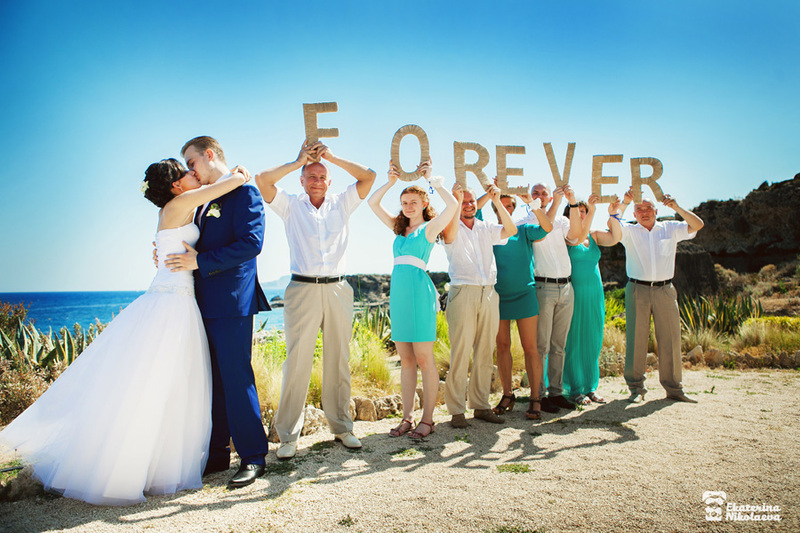 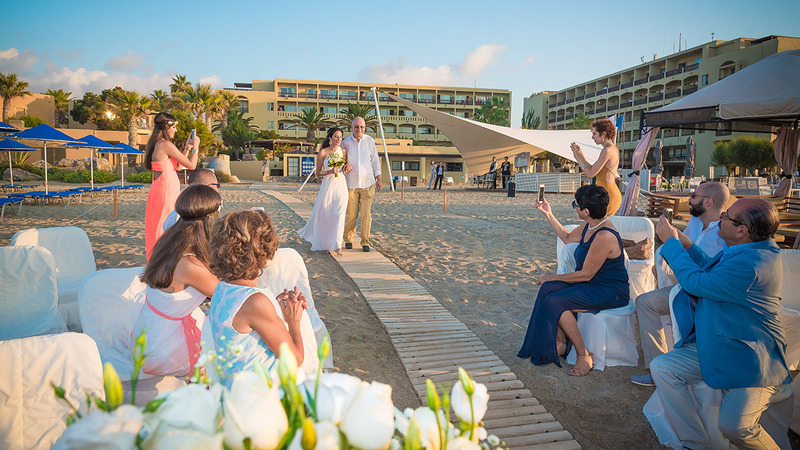 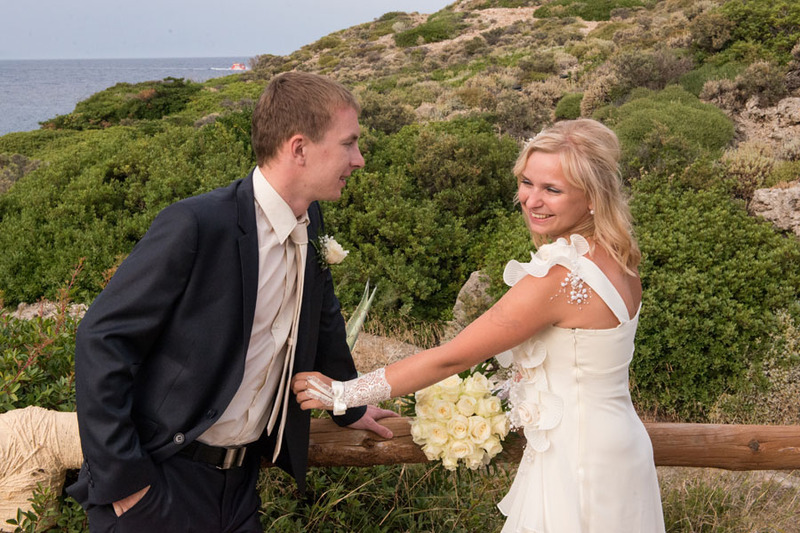 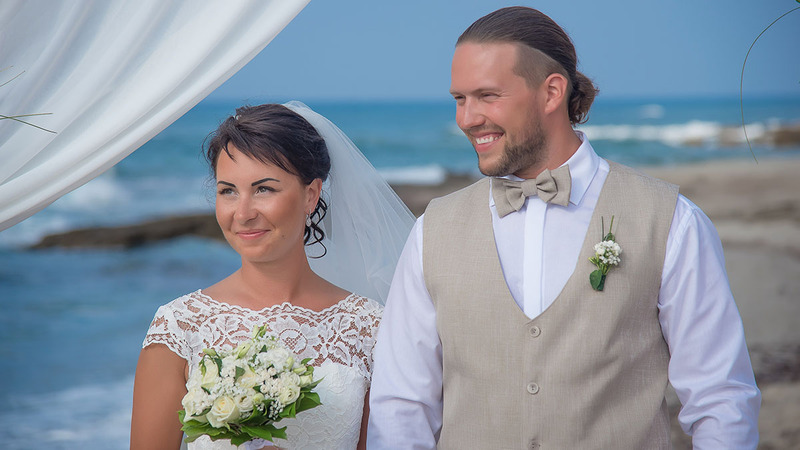 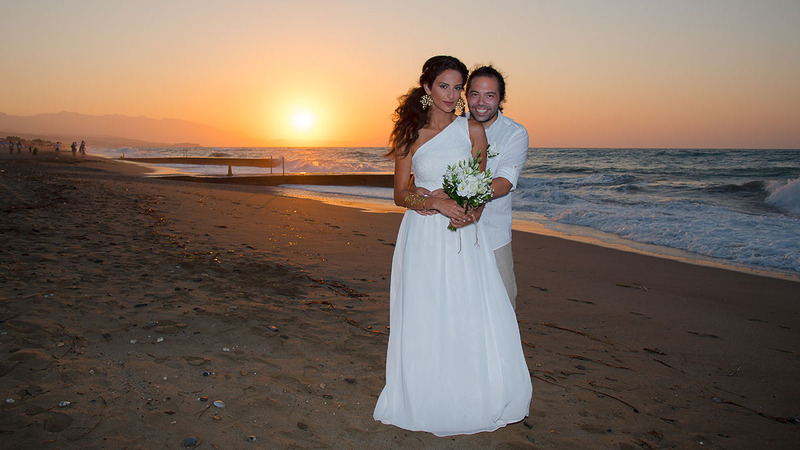 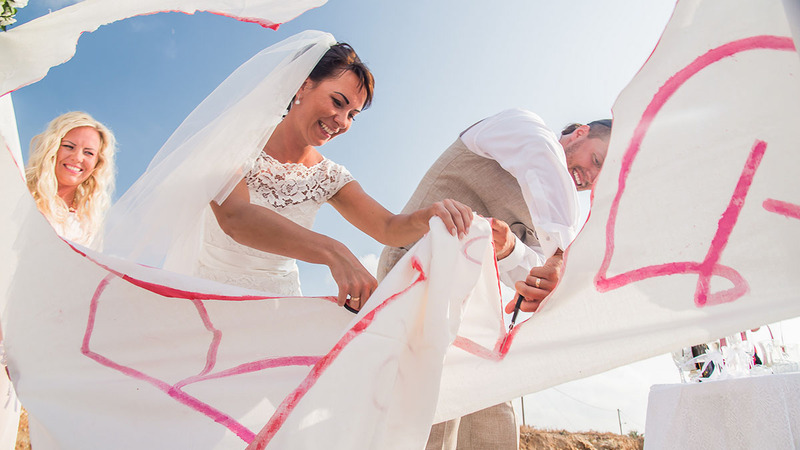 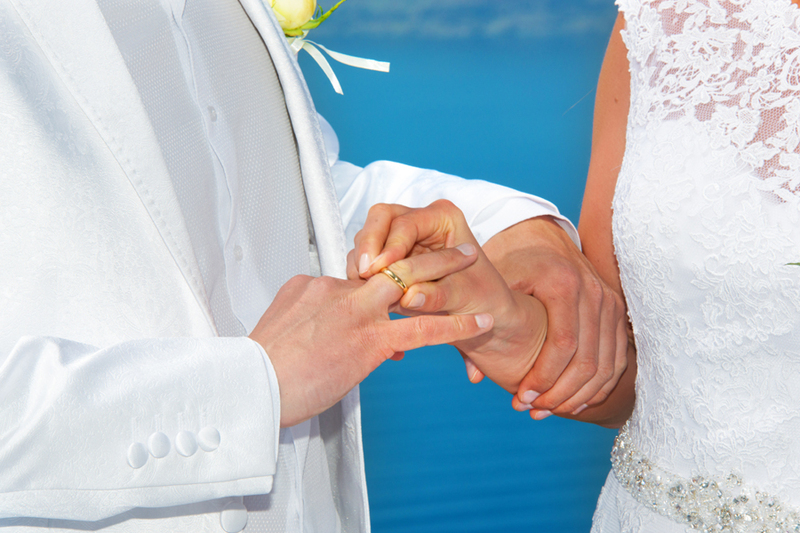 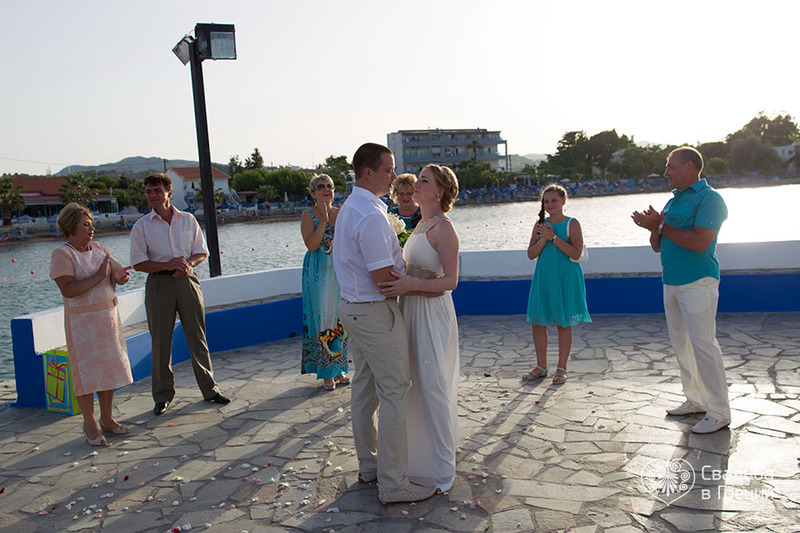 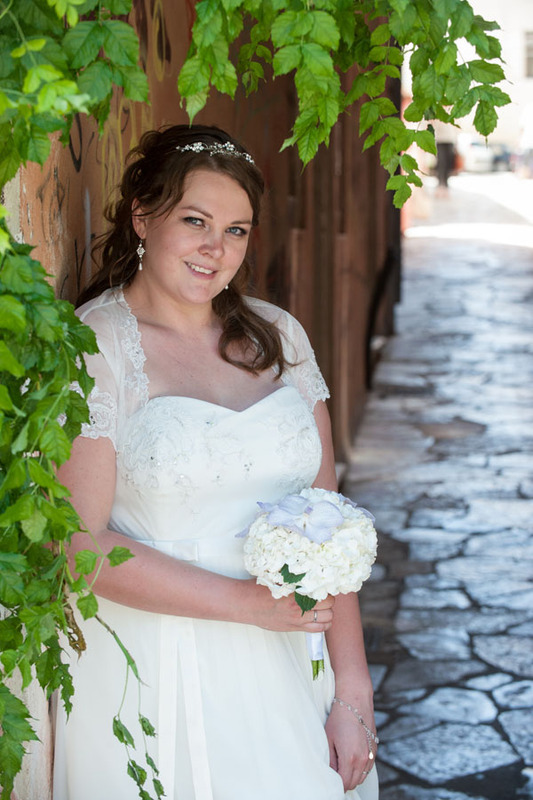 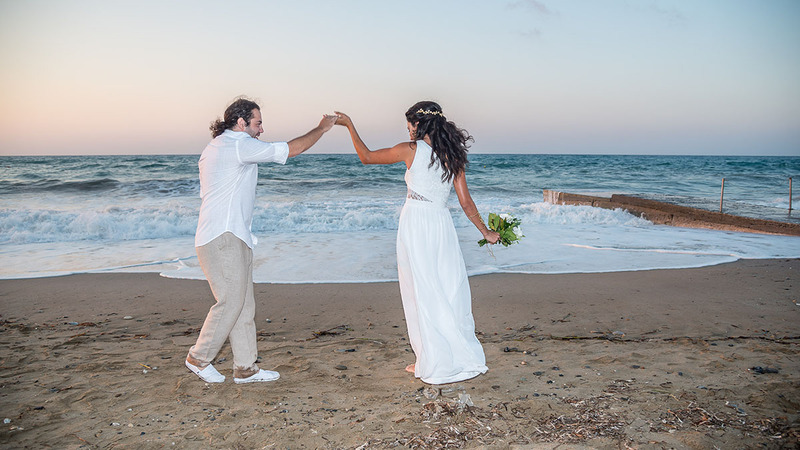 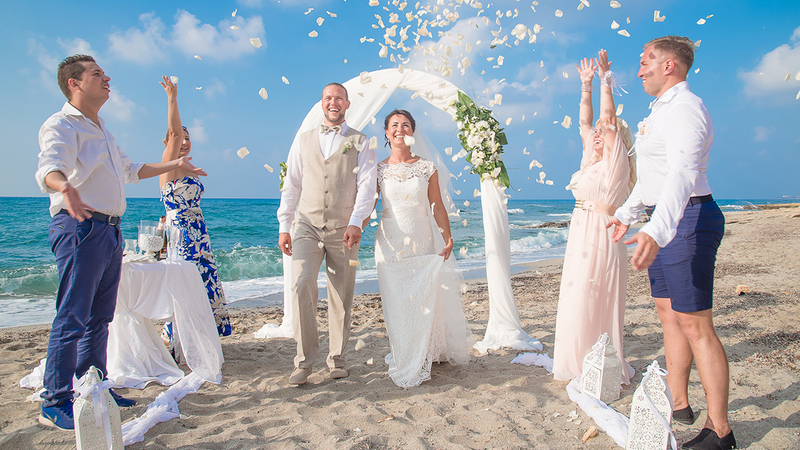 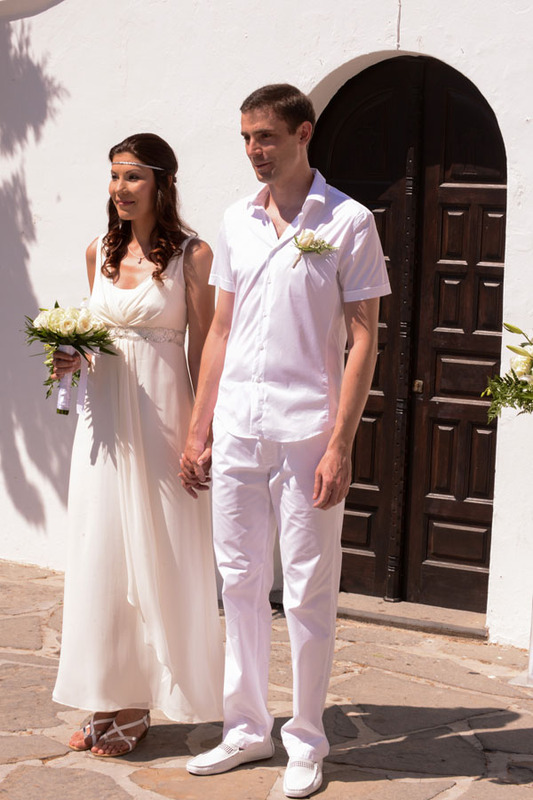 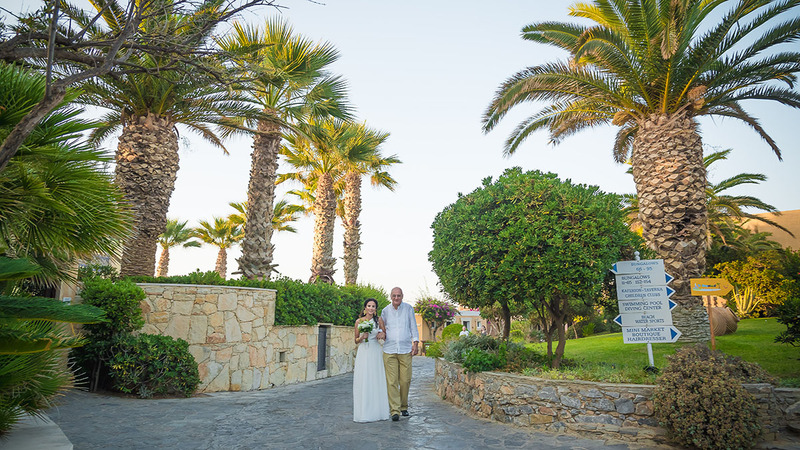 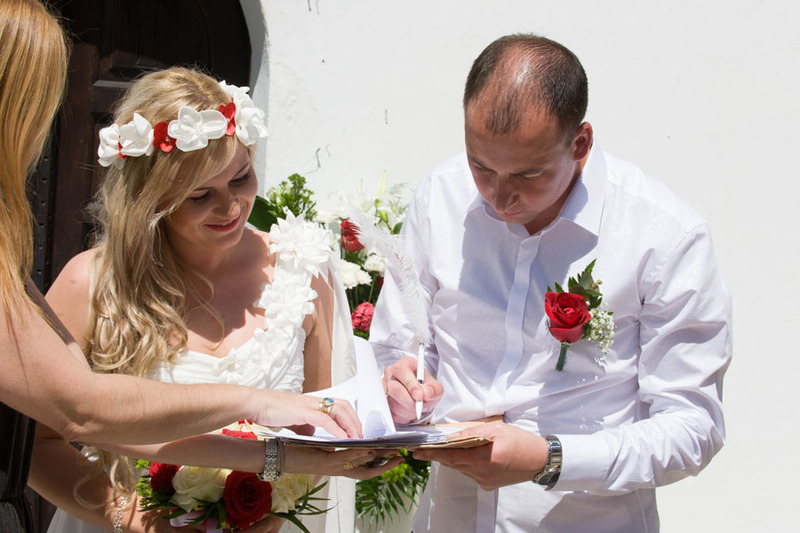 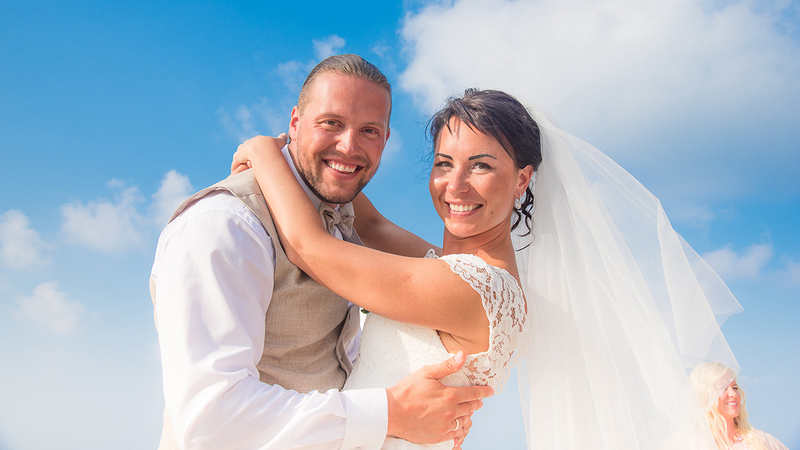 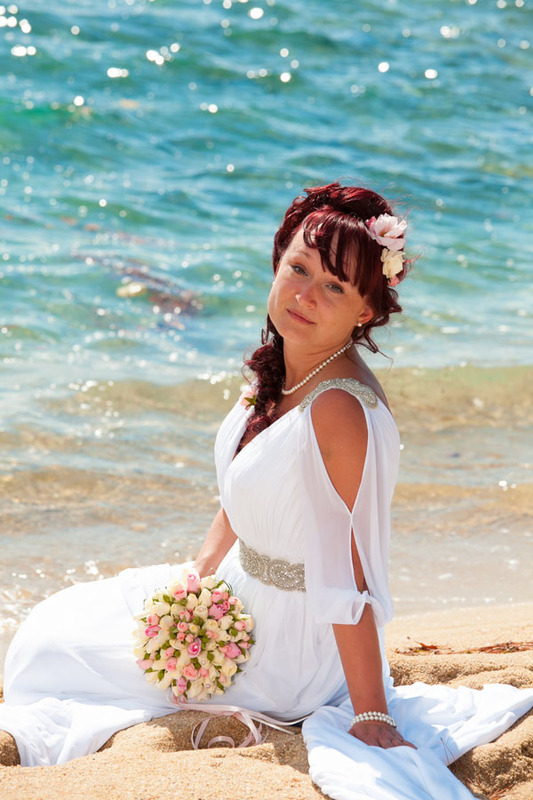 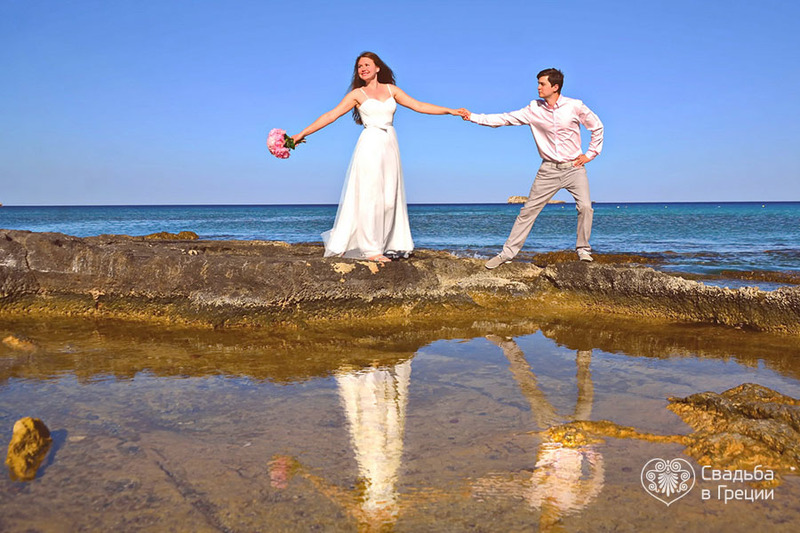 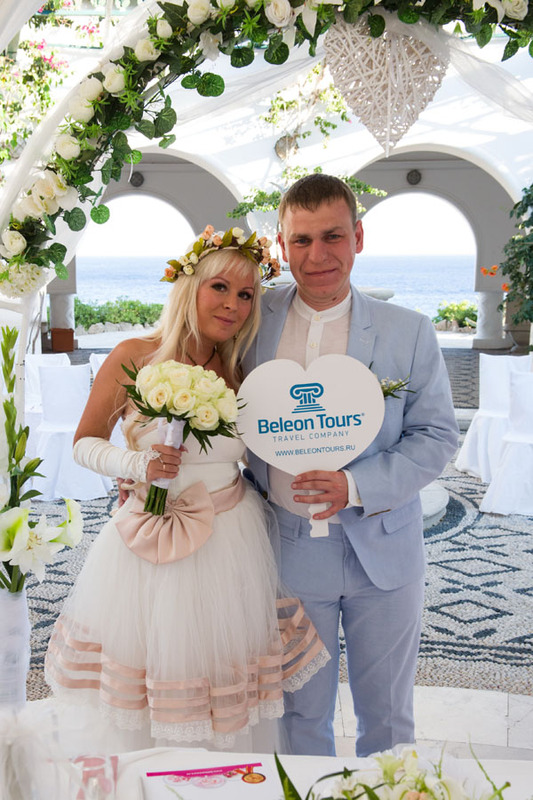 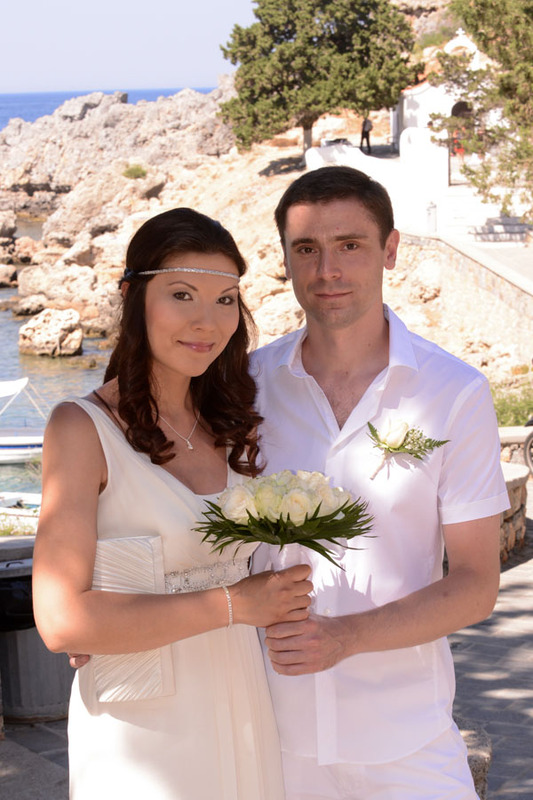 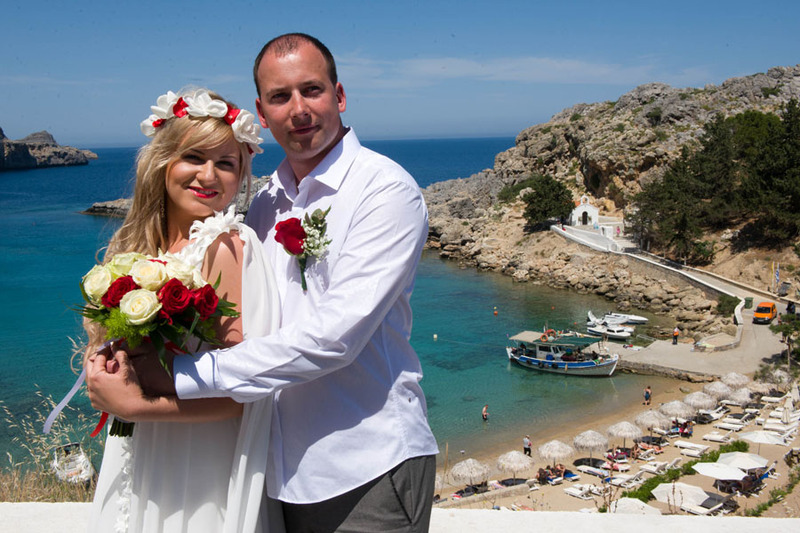 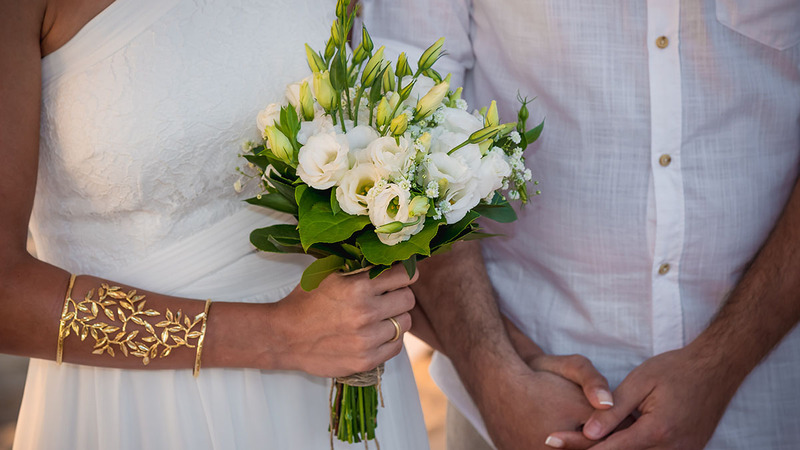 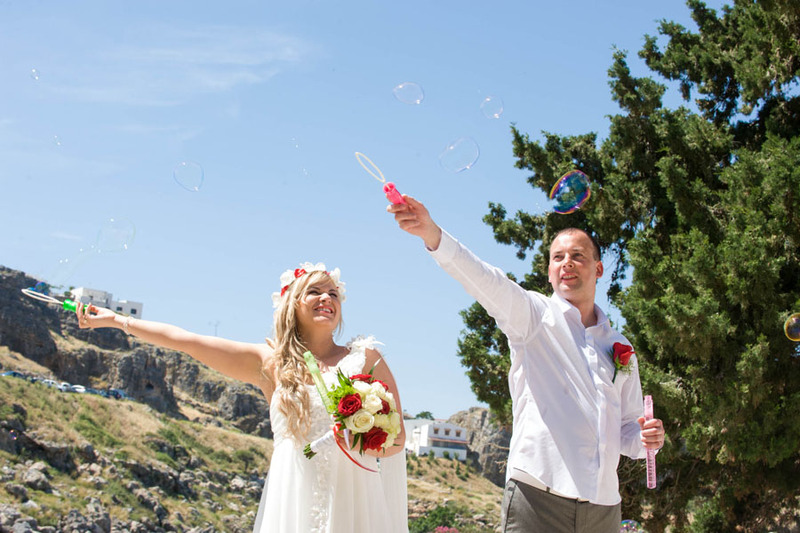 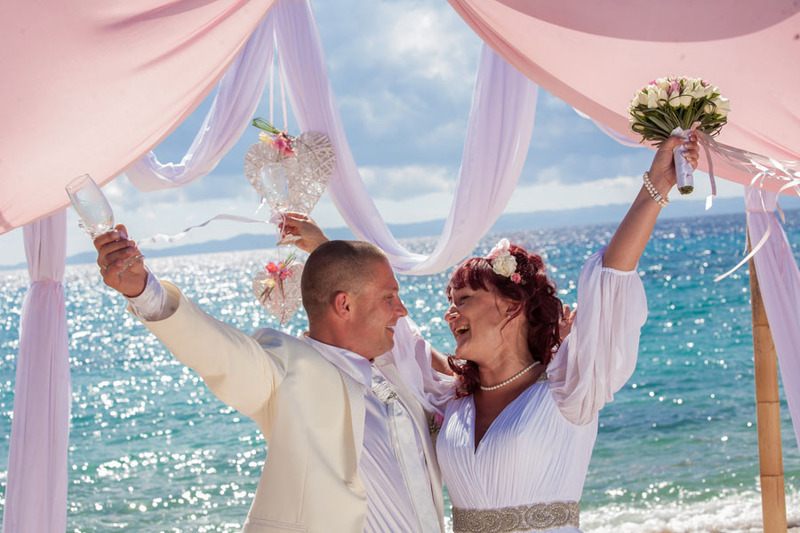 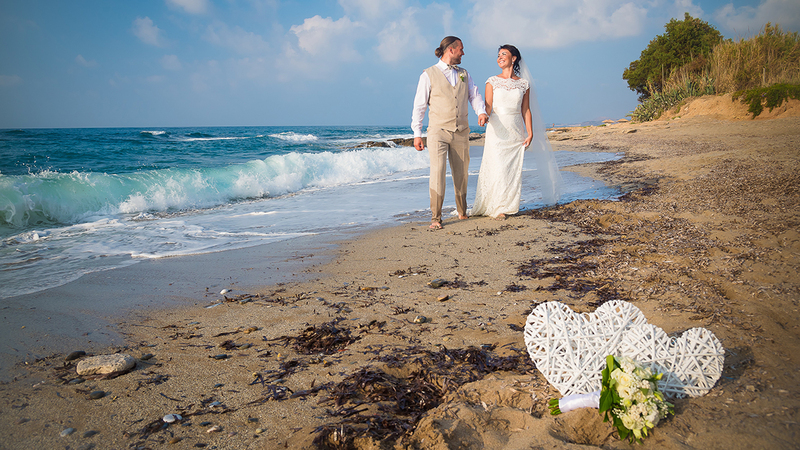 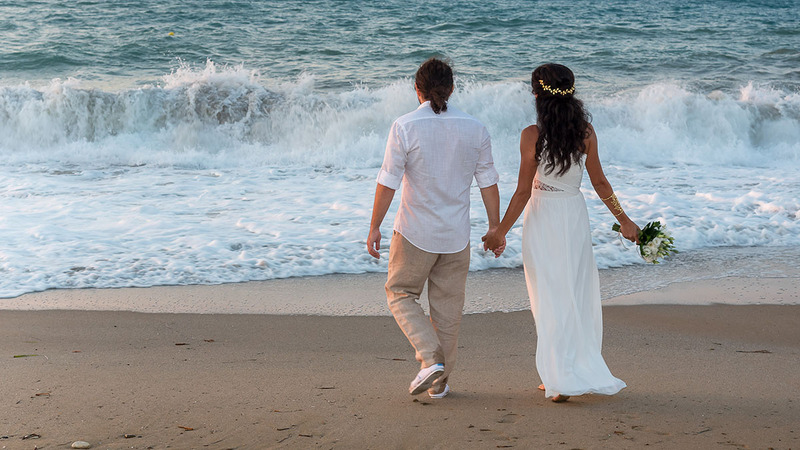 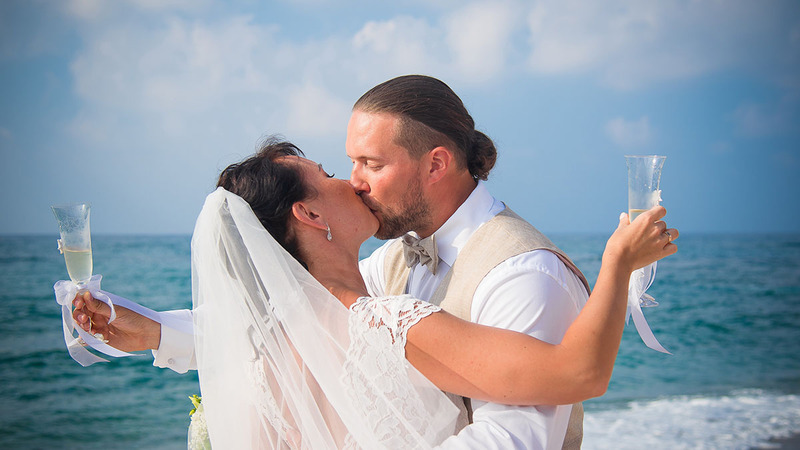 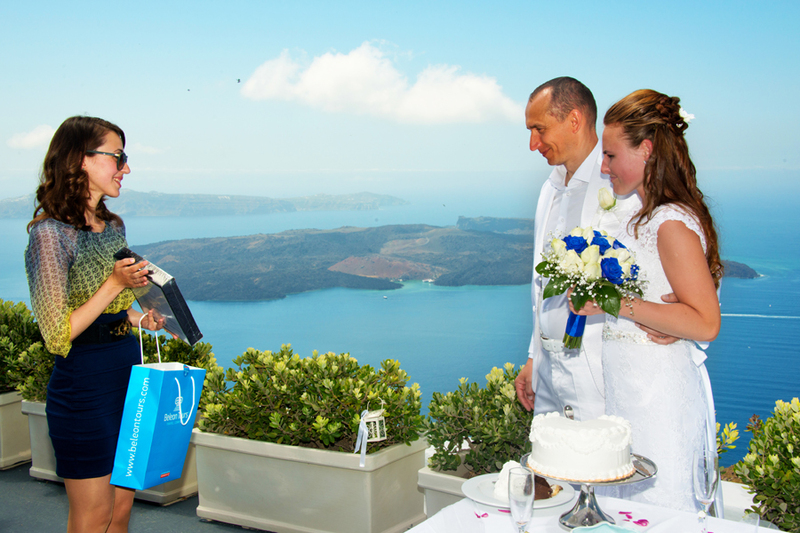 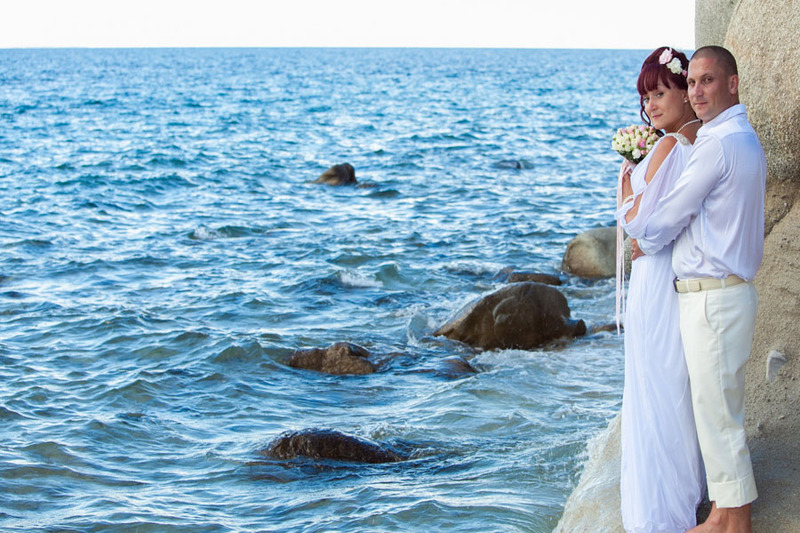 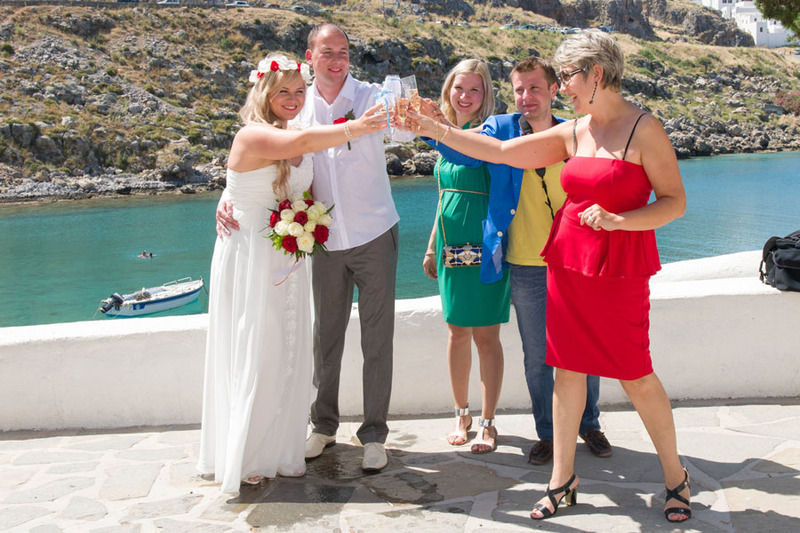 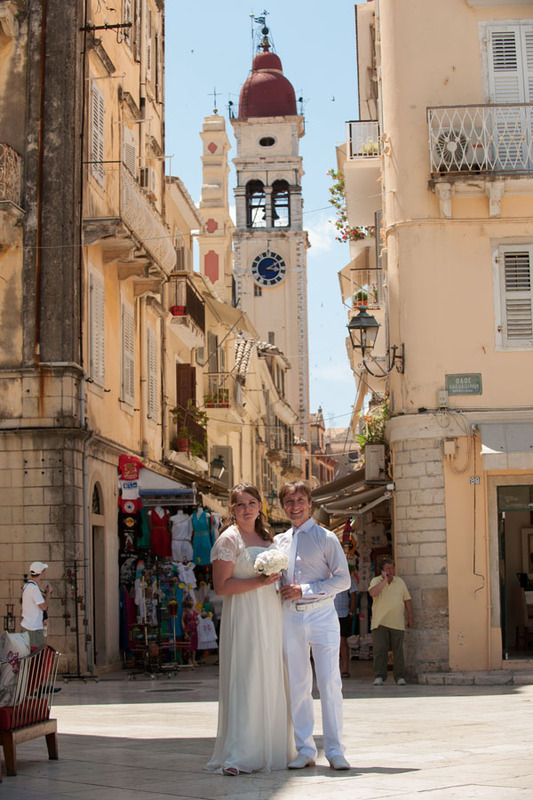 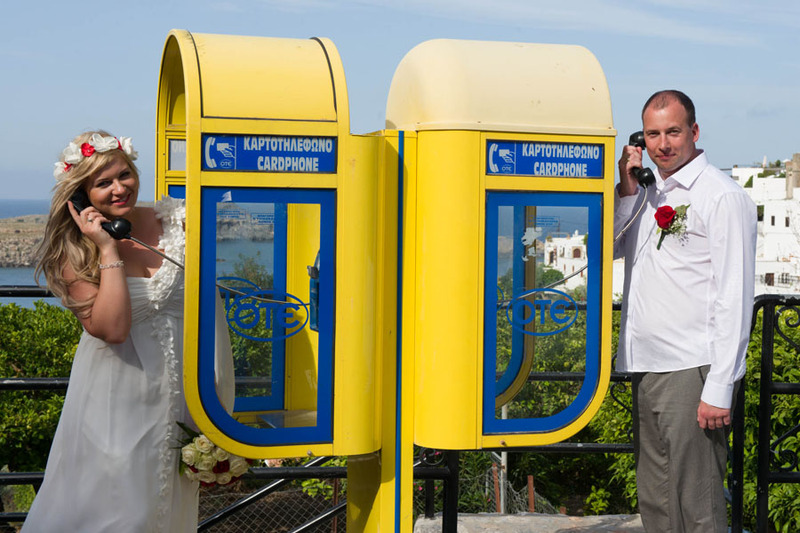 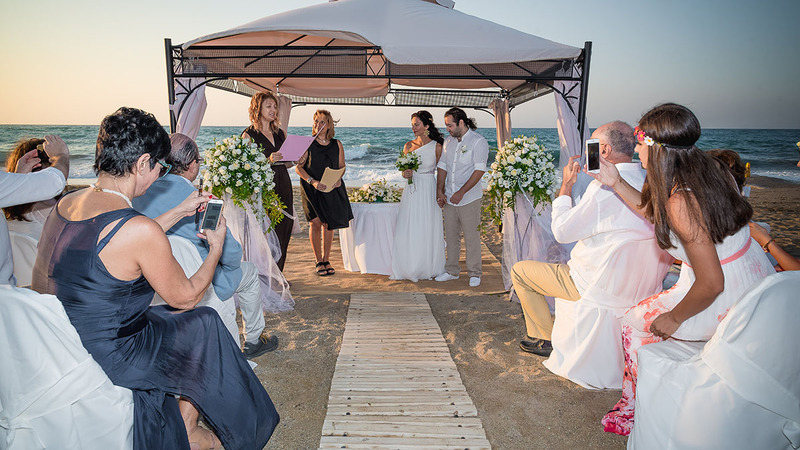 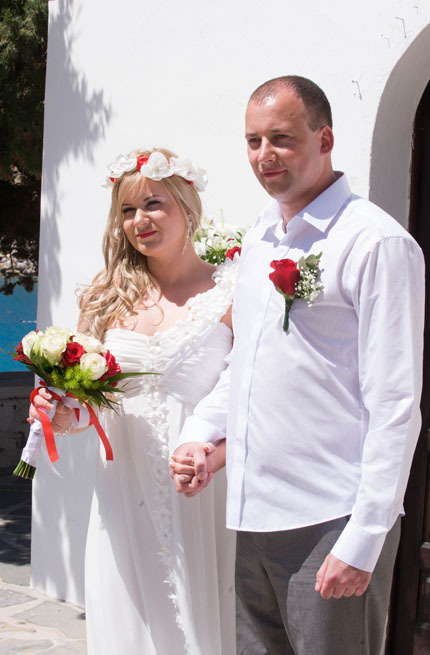 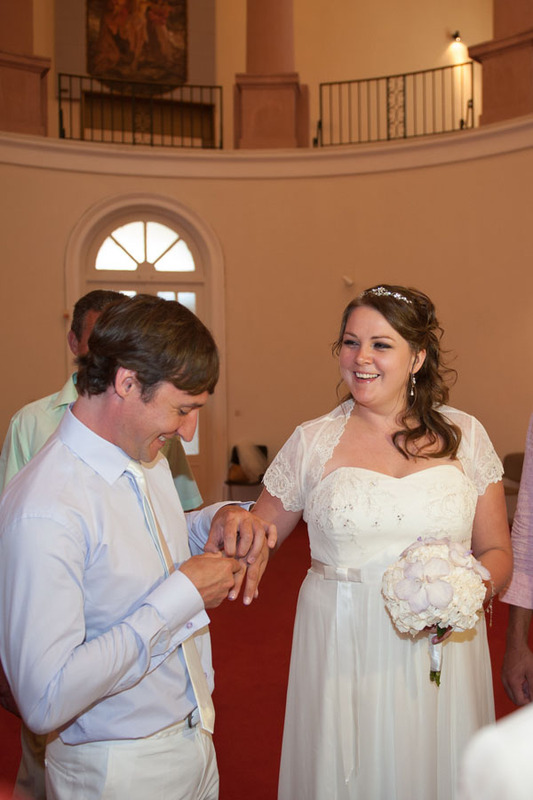 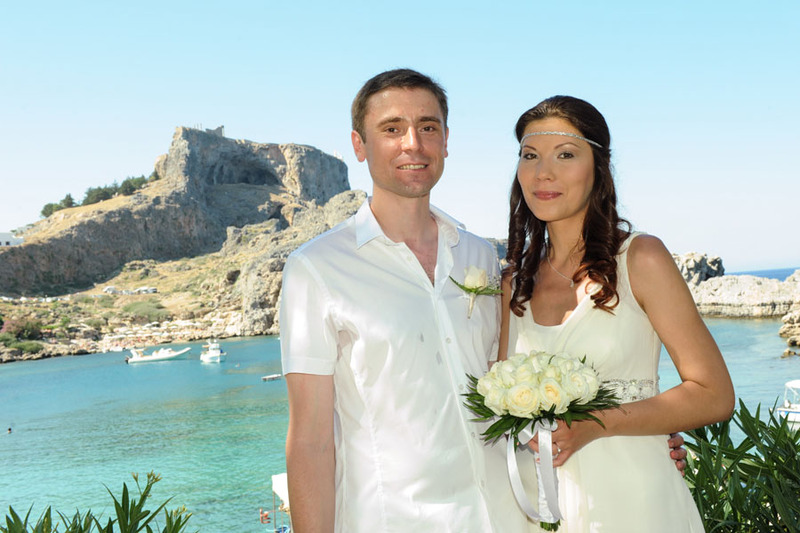 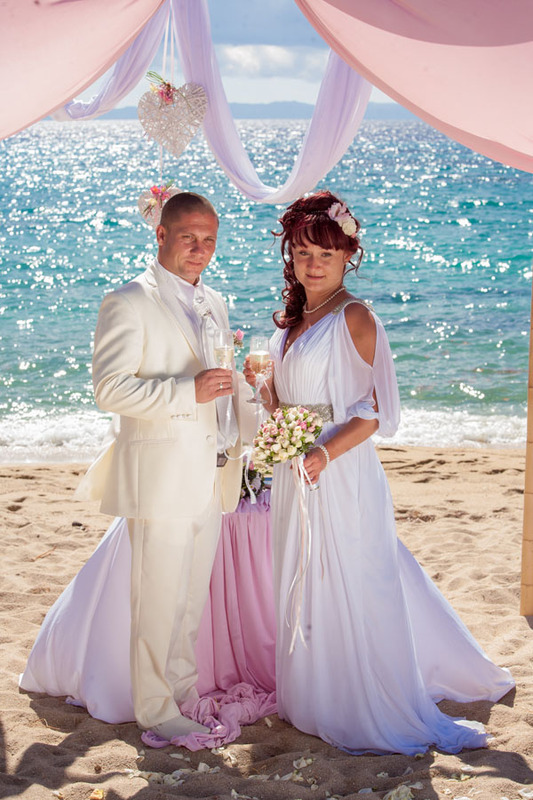 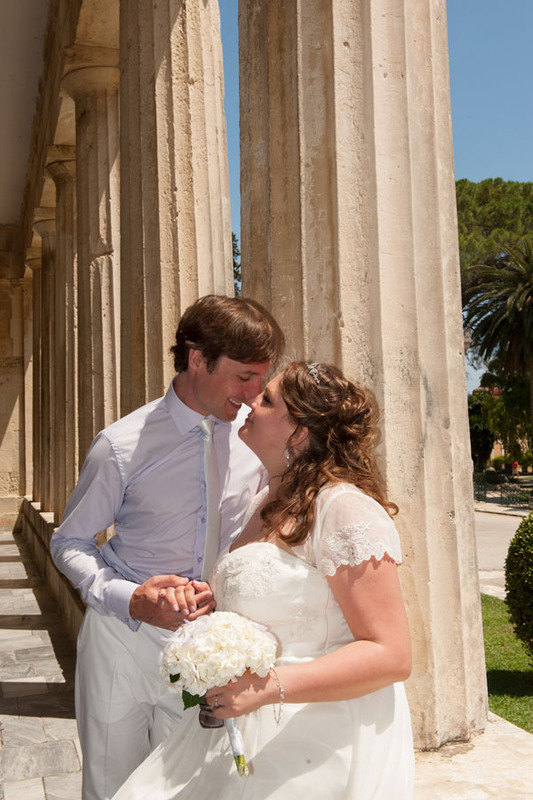 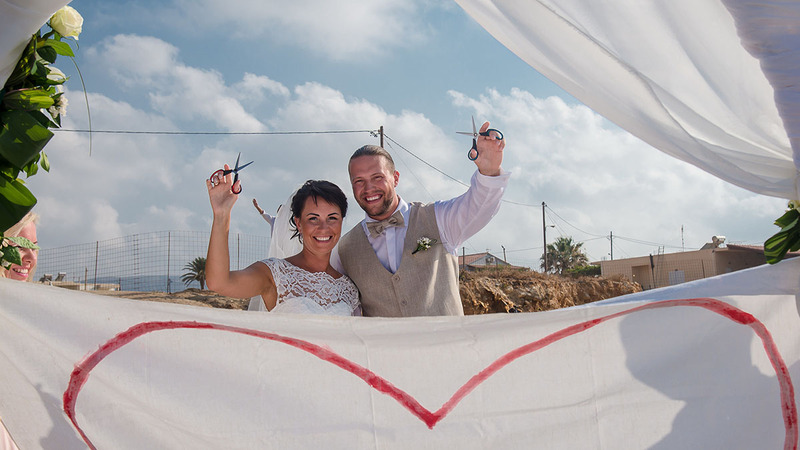 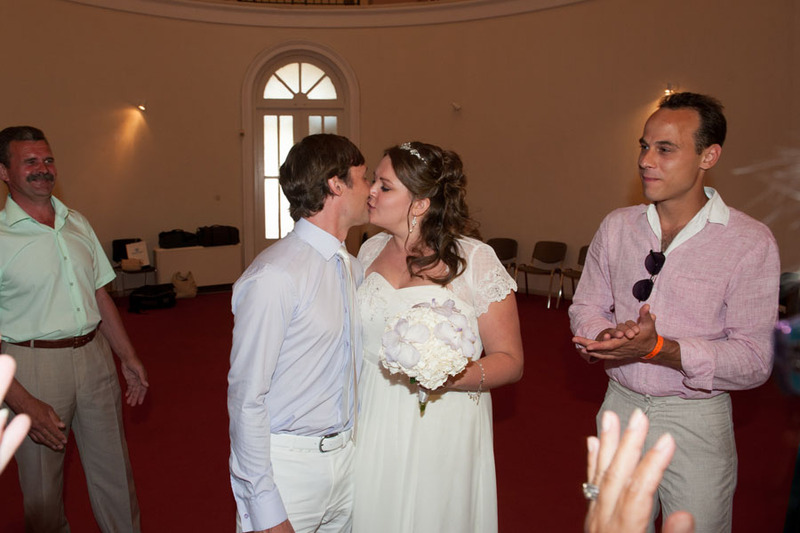 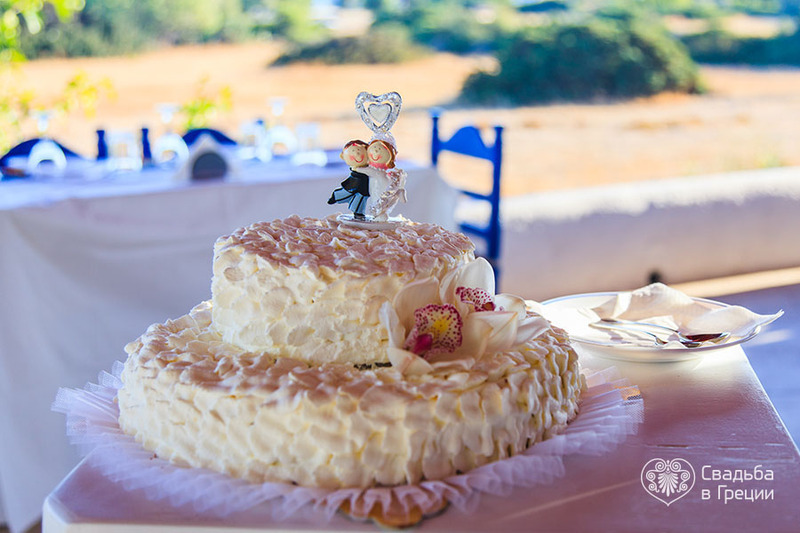 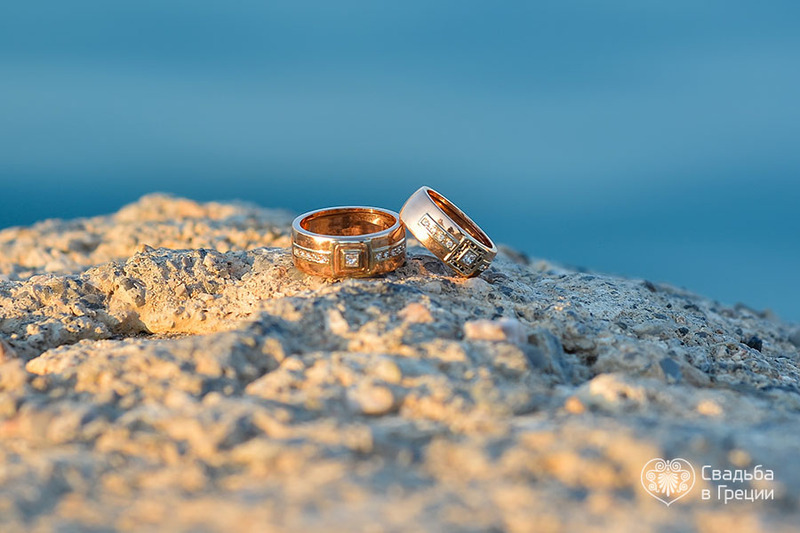 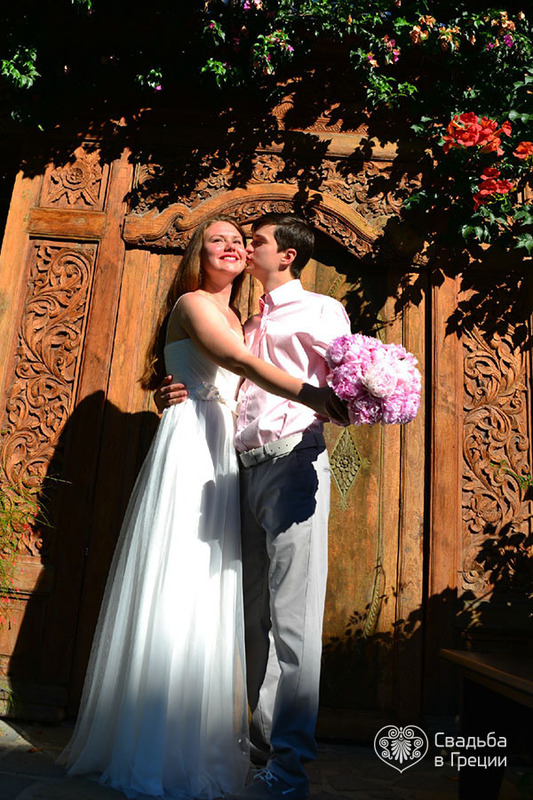 A civil marriage in Greece is exactly what you need! 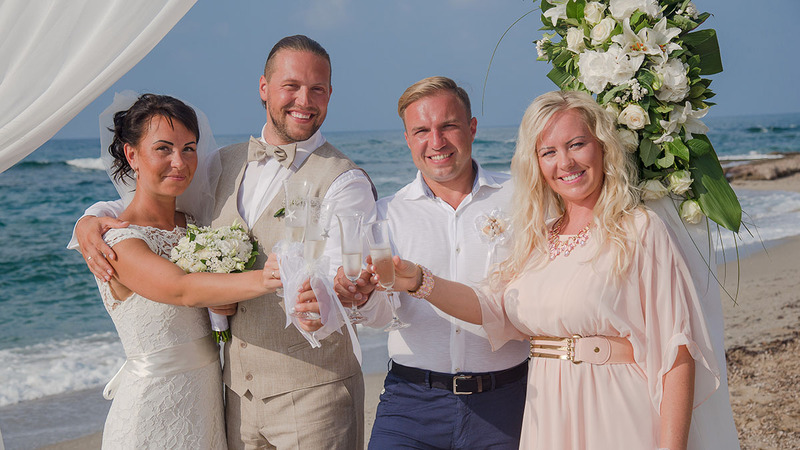 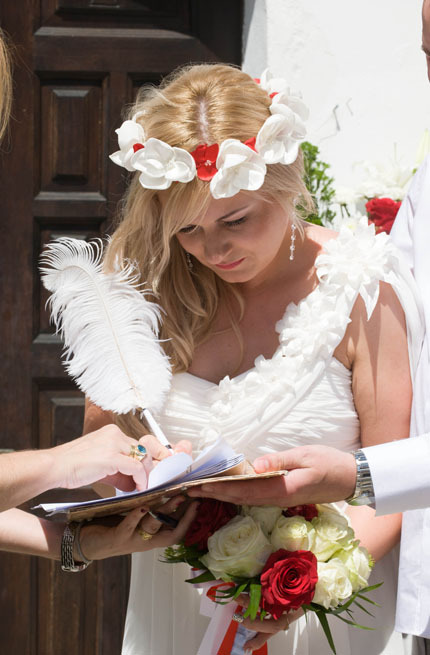 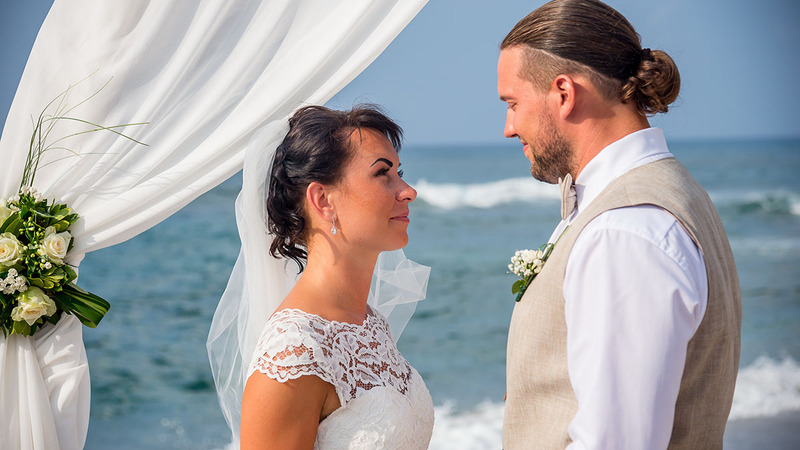 Registration of your marriage in a country wrapped in myths and legends will become a fairytale of love memory of which will be cherished by your family. 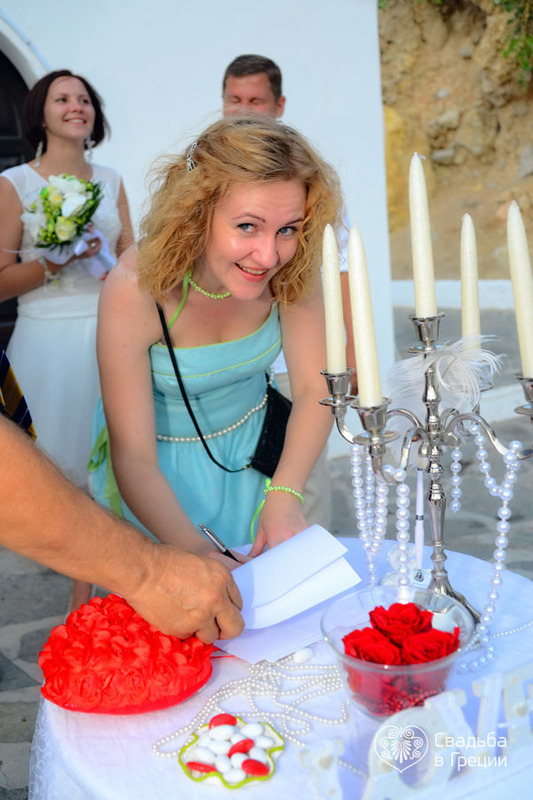 You will need some paperwork to do, in order to make a civil wedding in Greece real. 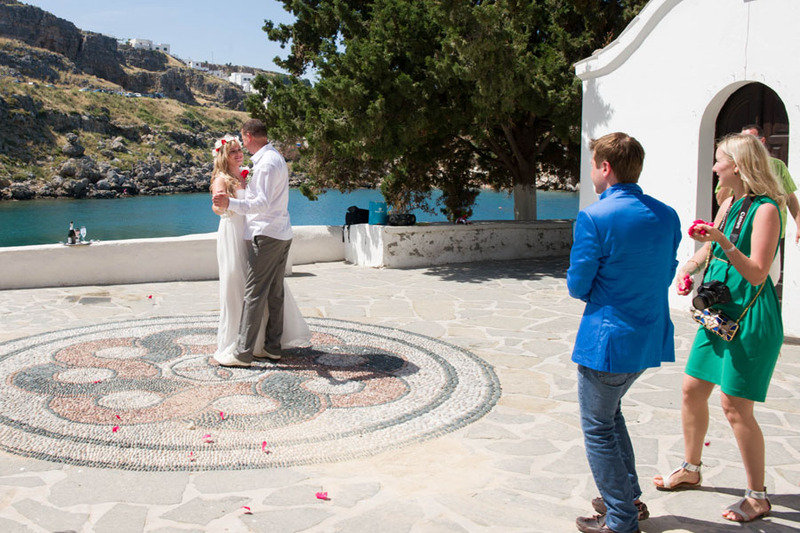 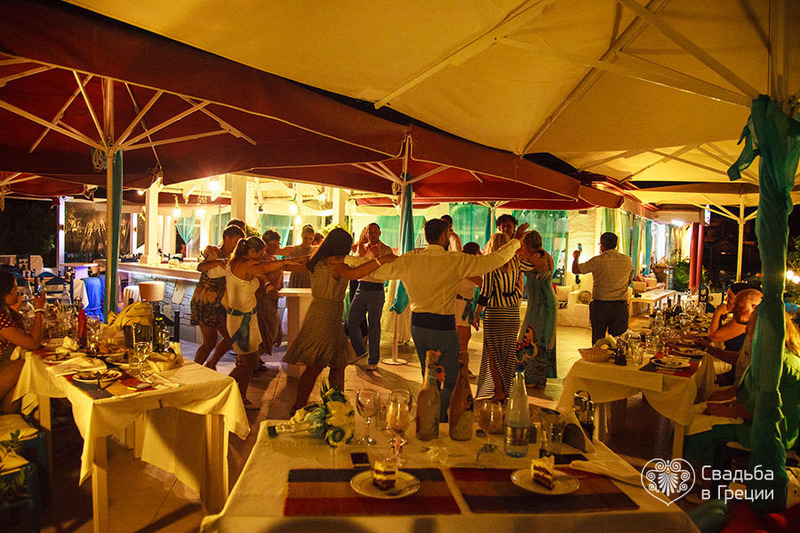 But it is nothing compared to what awaits you on the fabulous Greek wedding venue. 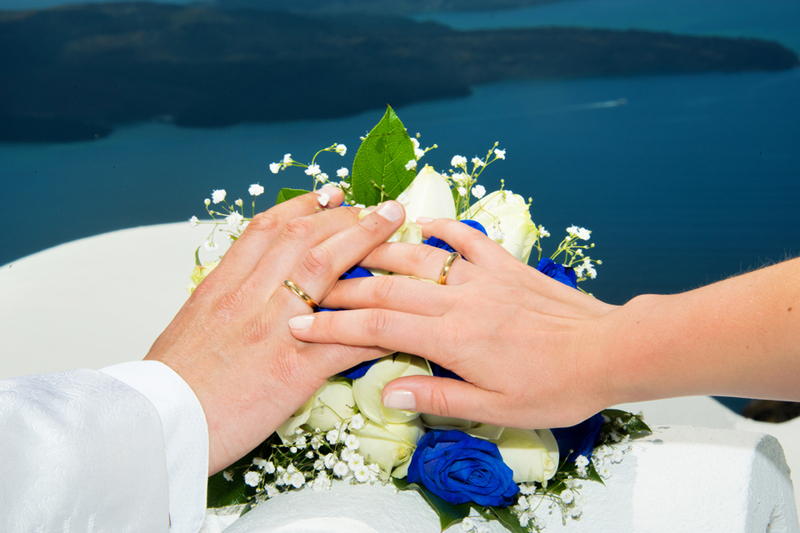 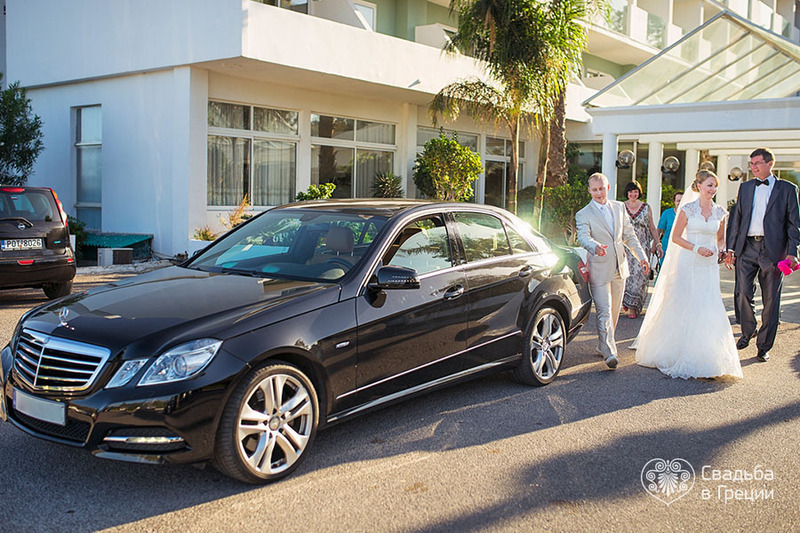 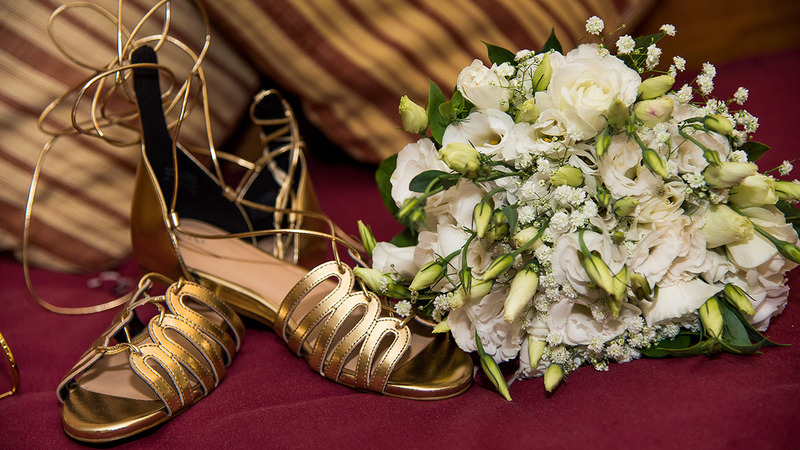 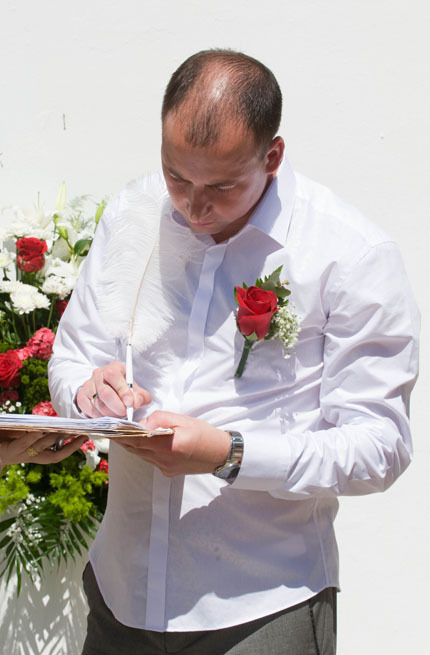 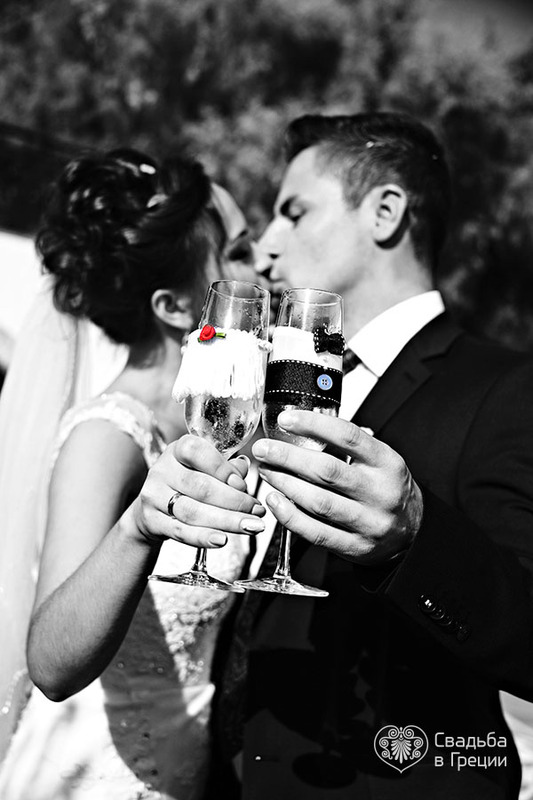 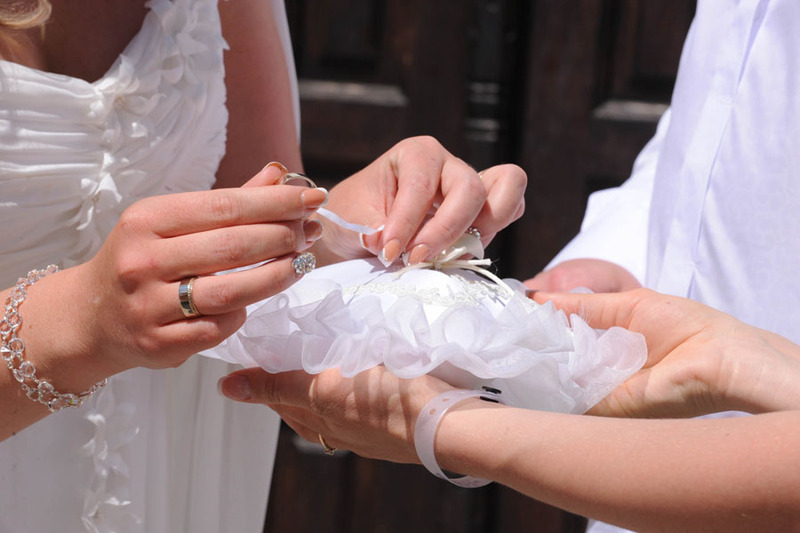 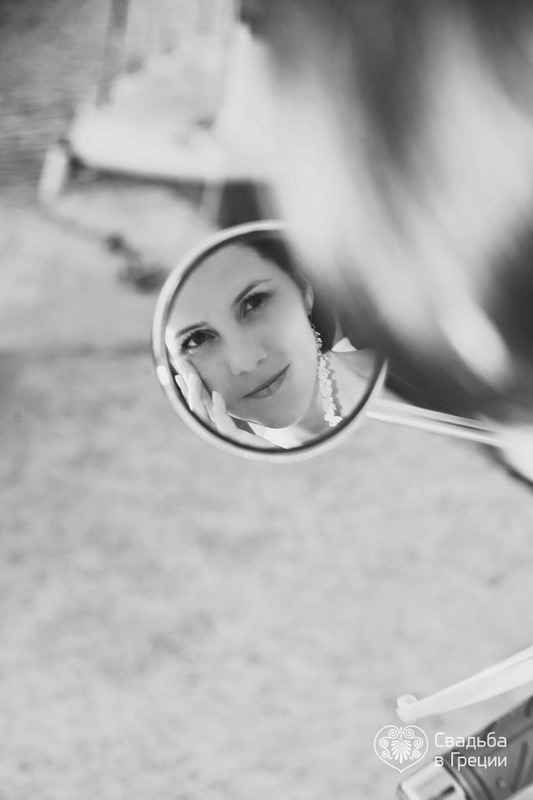 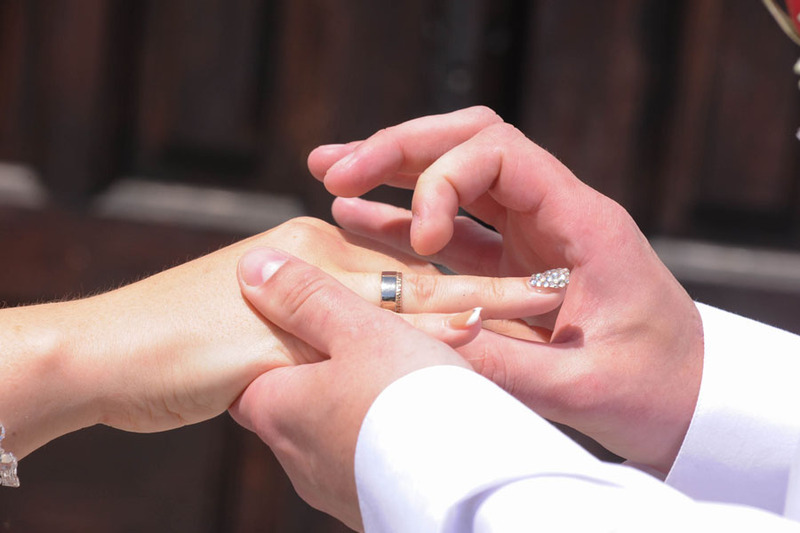 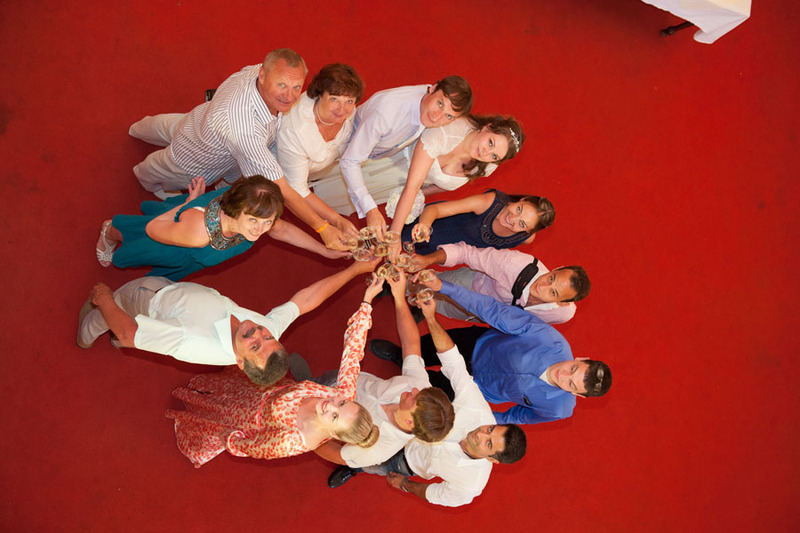 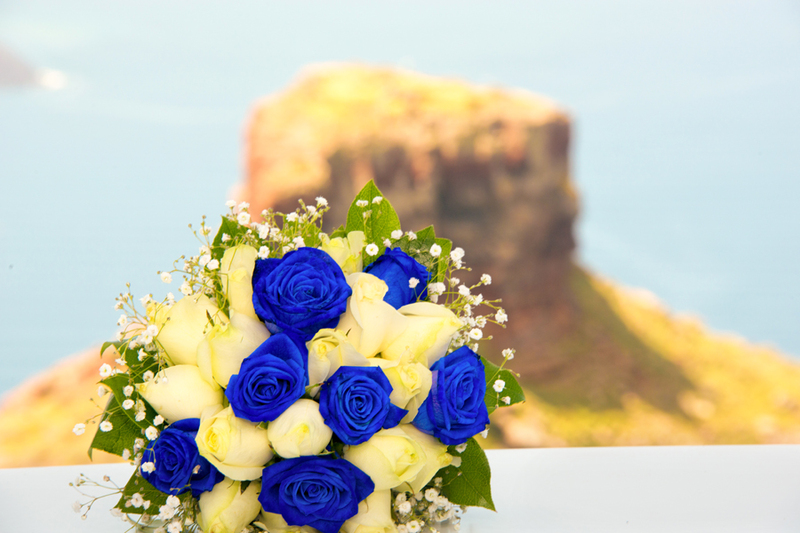 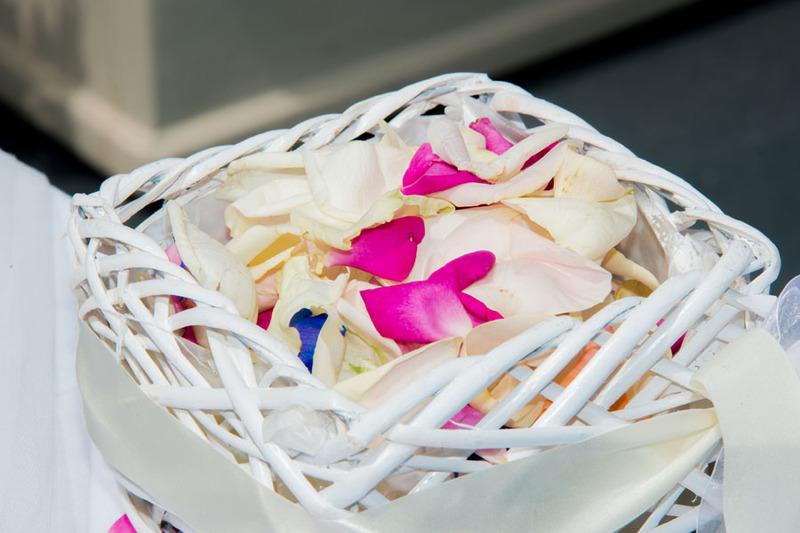 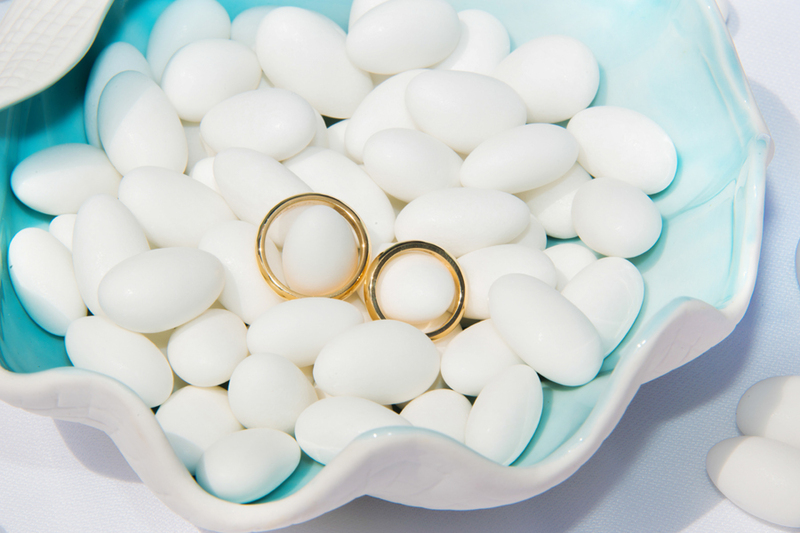 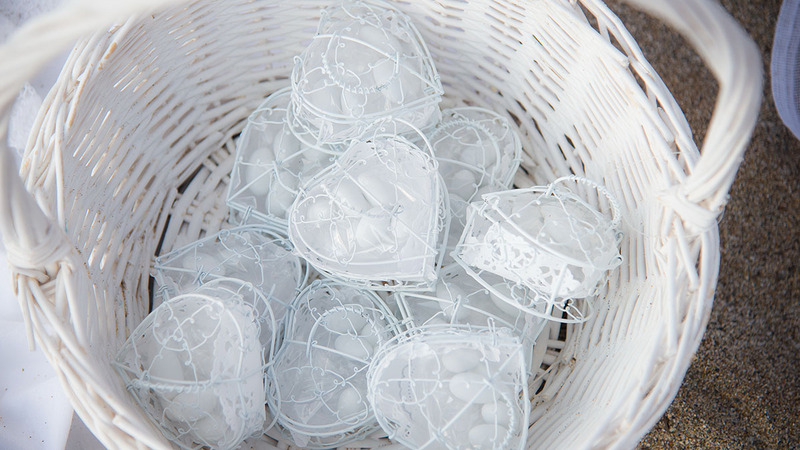 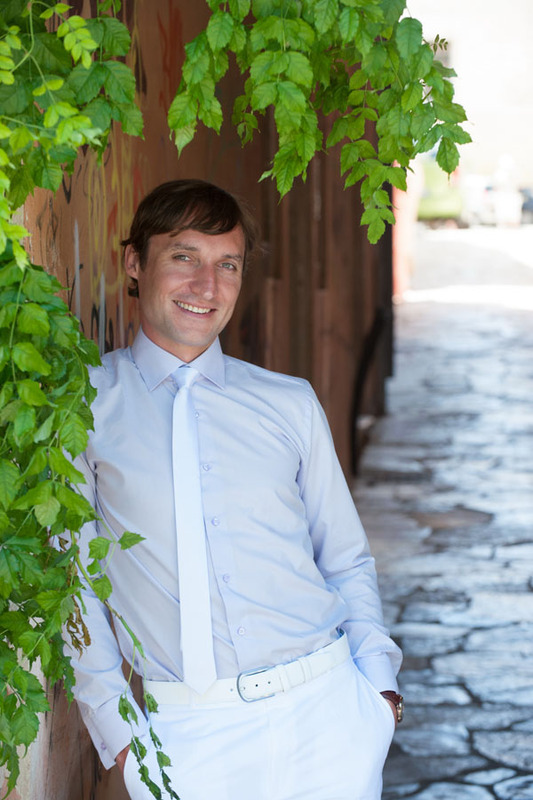 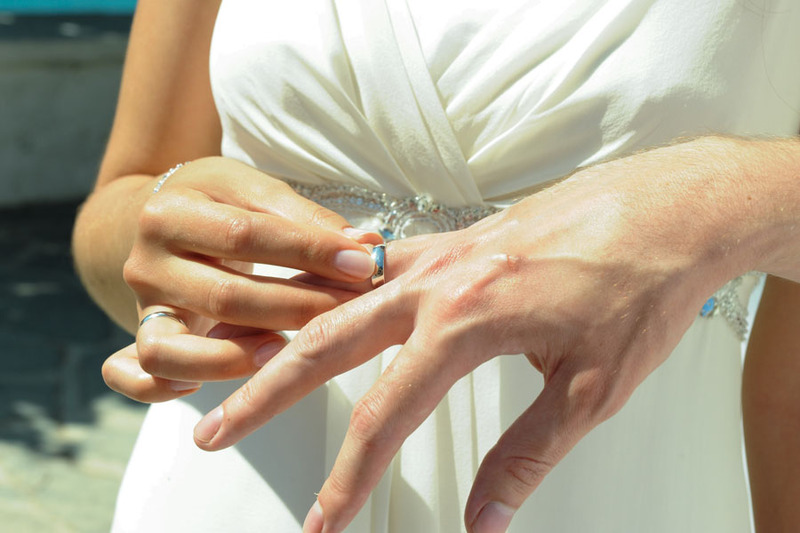 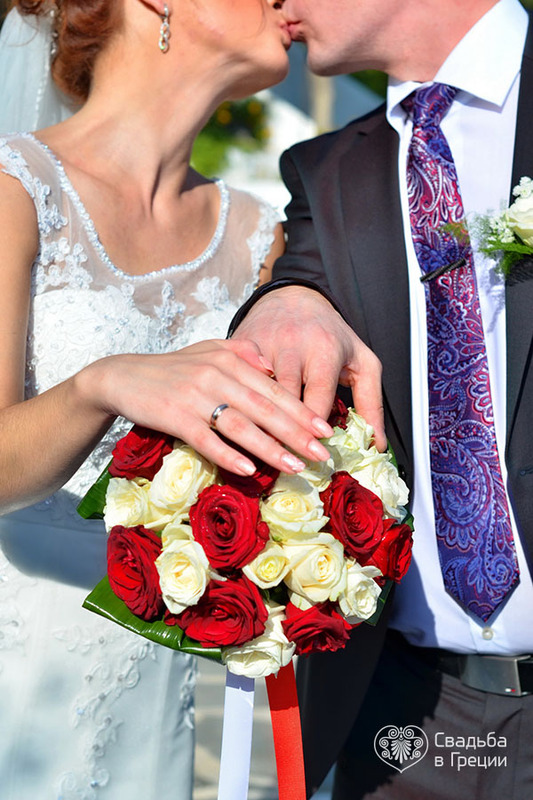 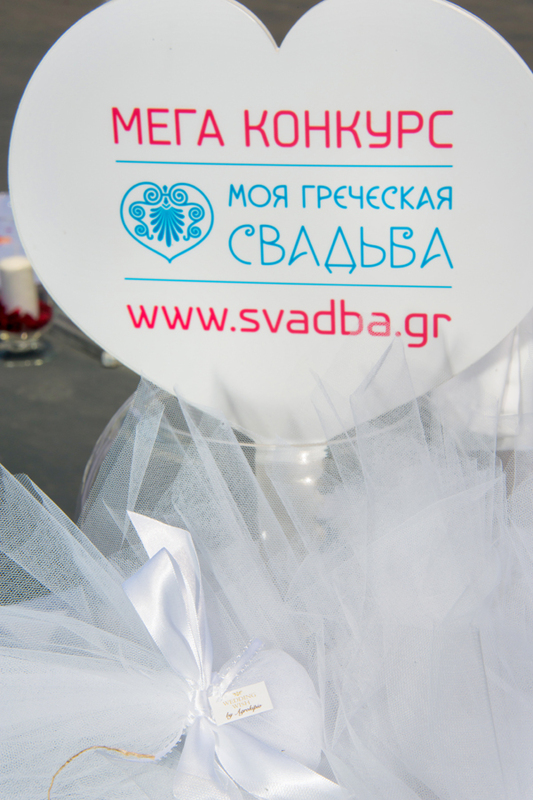 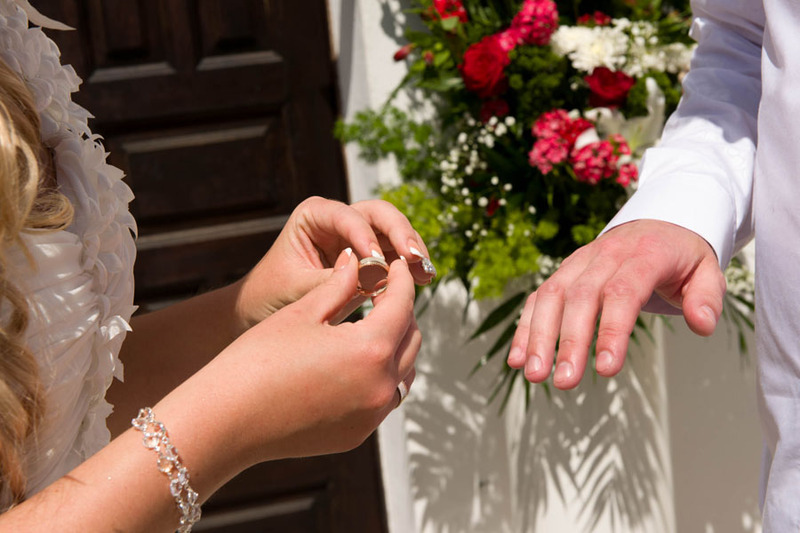 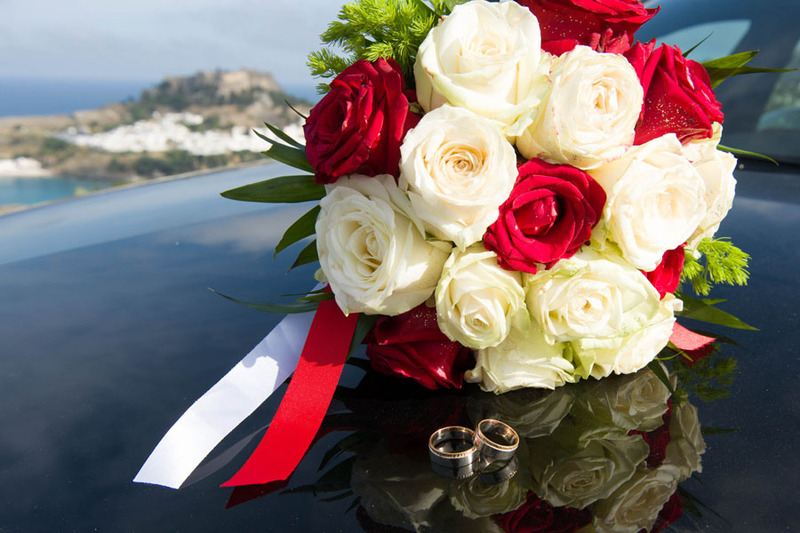 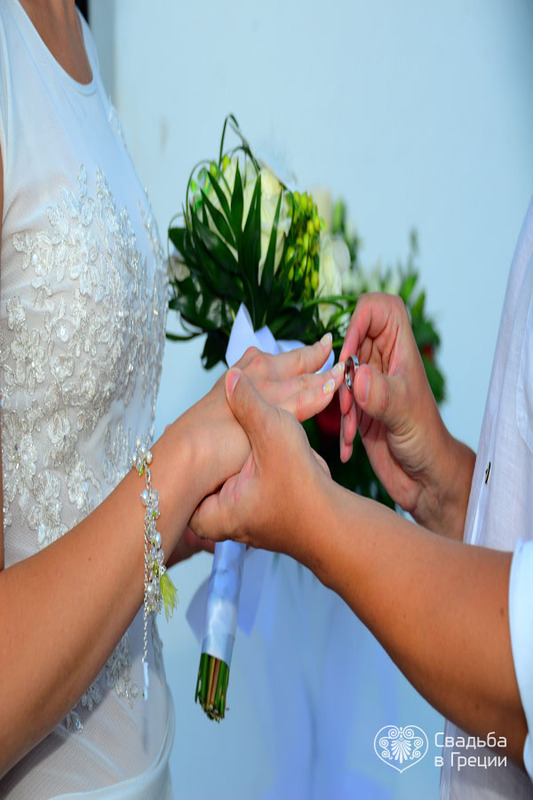 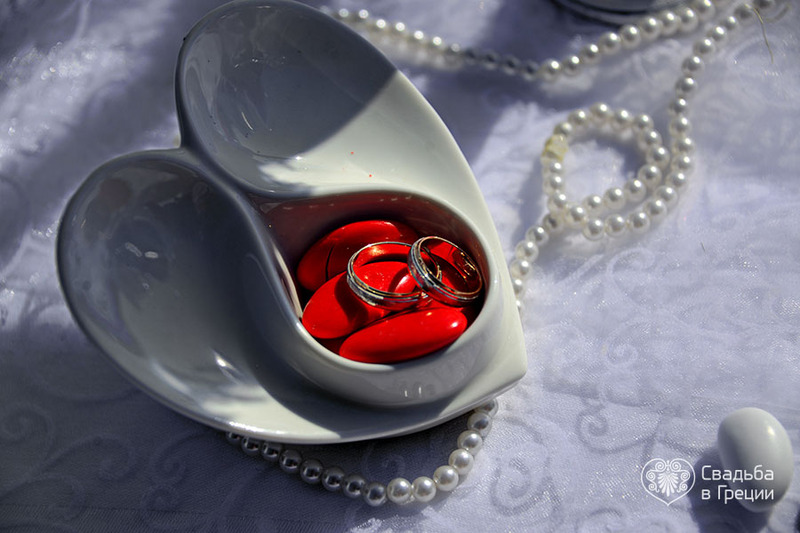 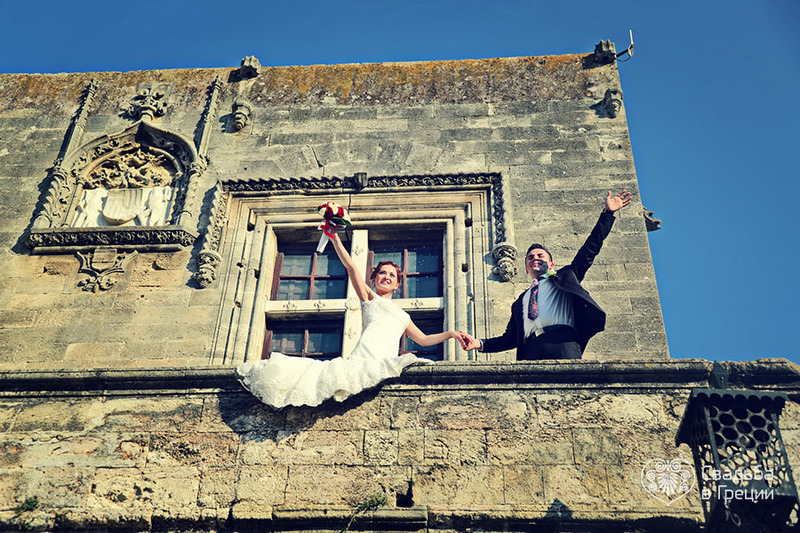 We will handle all organizational problems concerning your civil marriage in Greece! 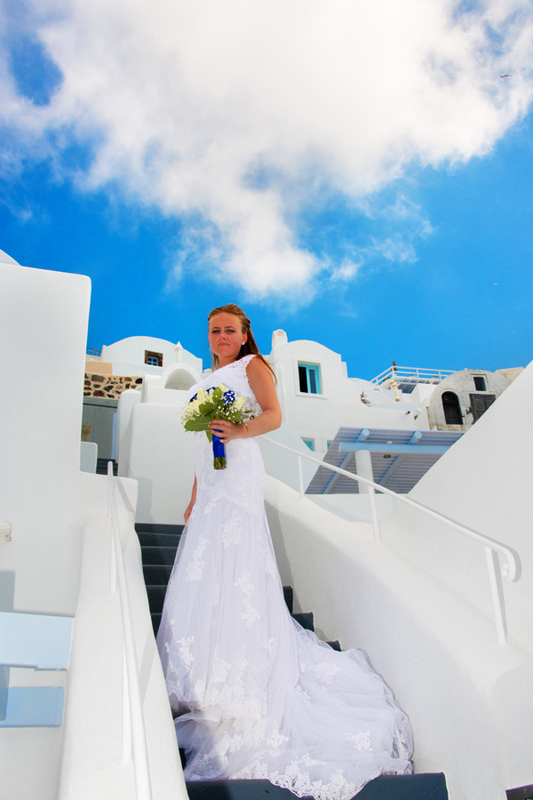 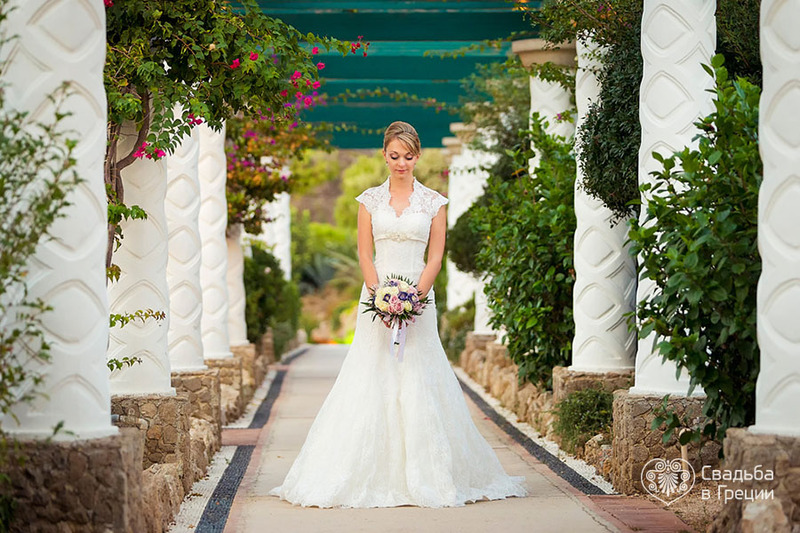 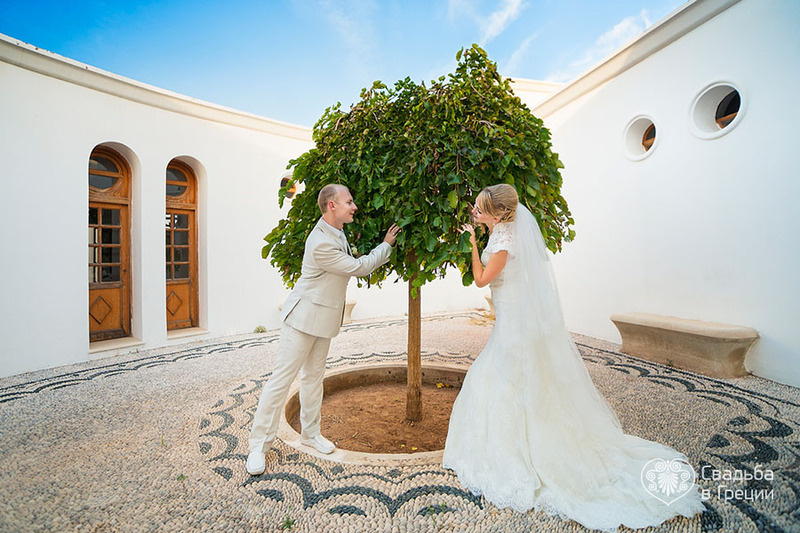 Greece is one of the most popular countries that couples all over the world choose as a location for their official wedding. 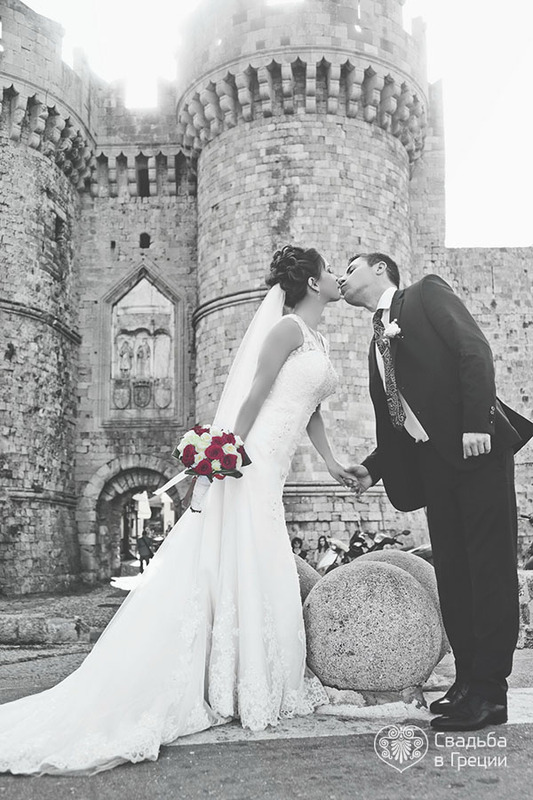 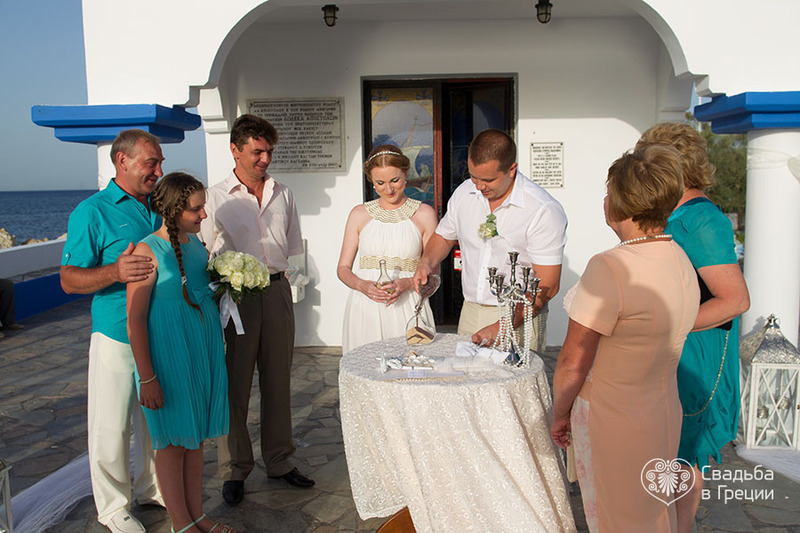 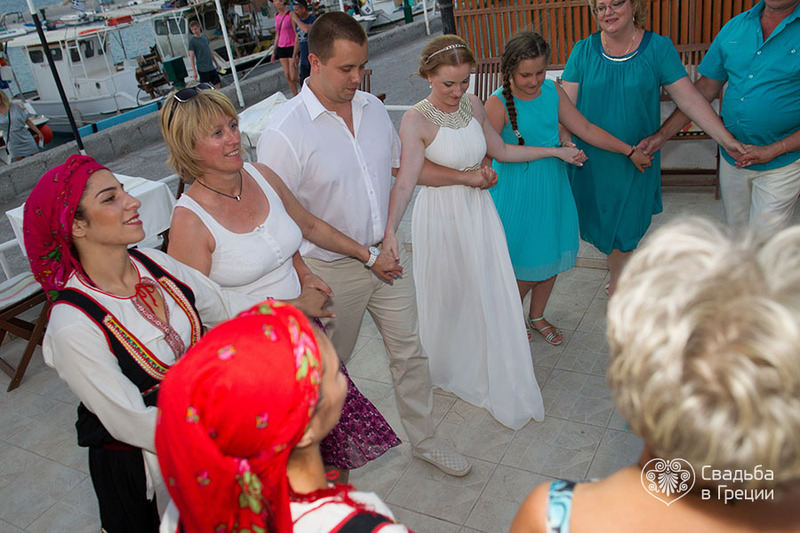 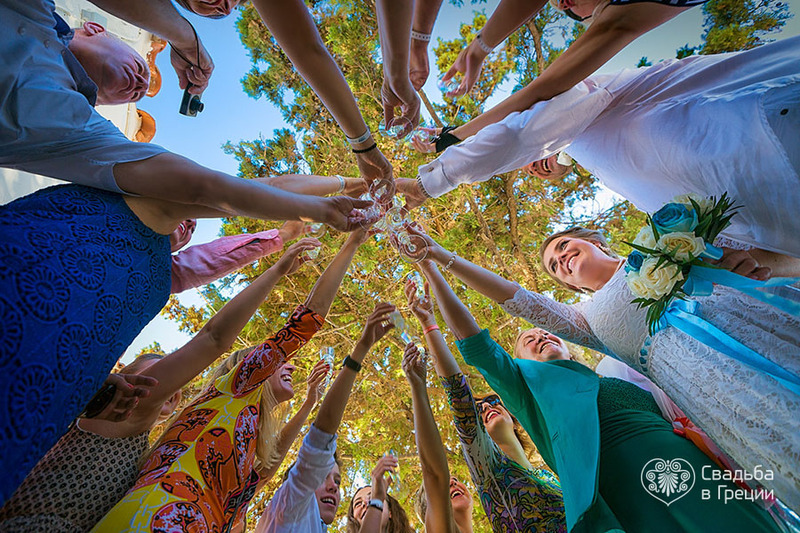 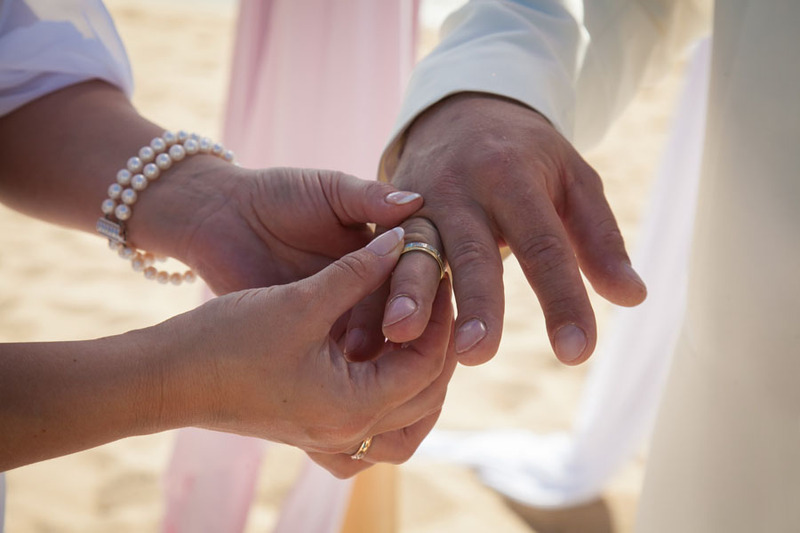 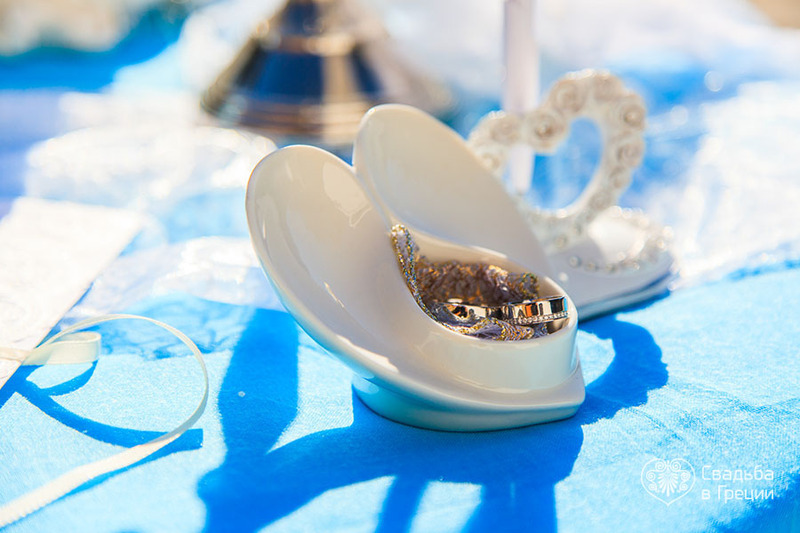 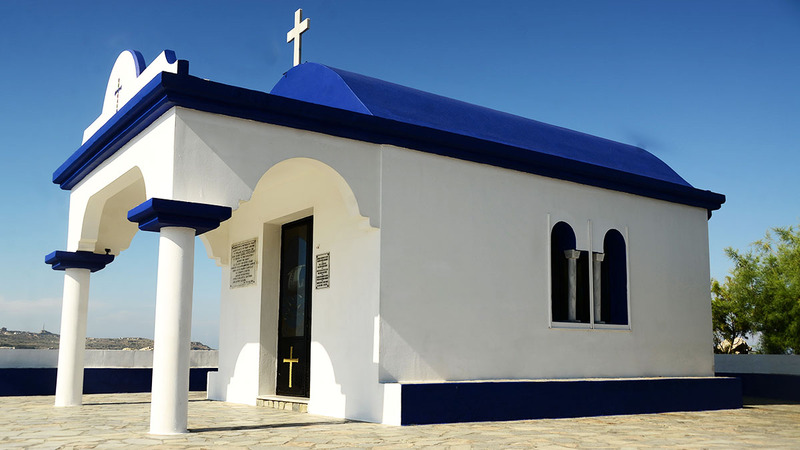 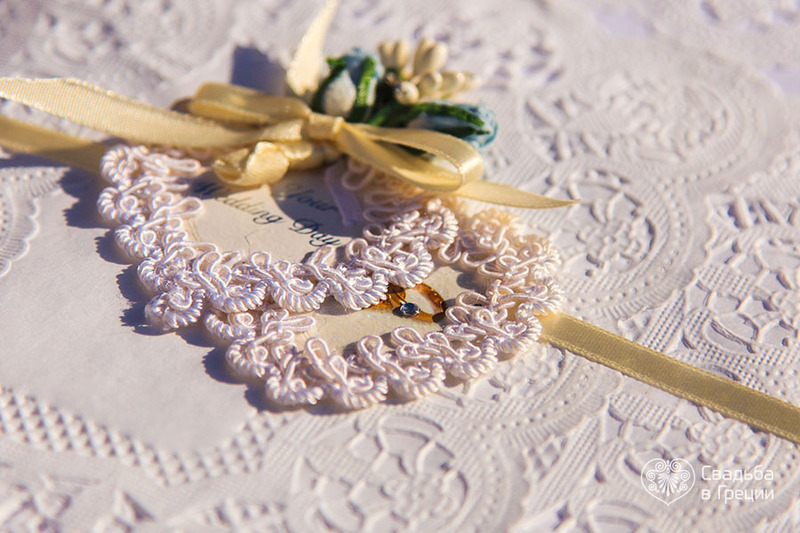 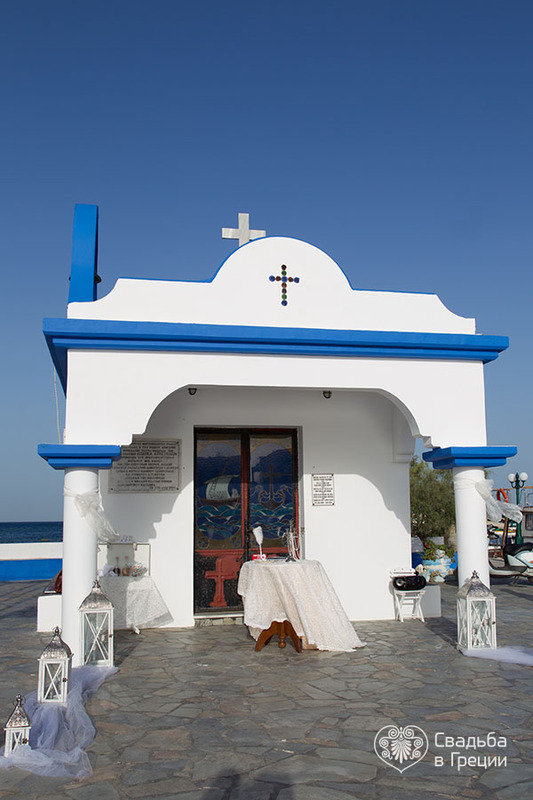 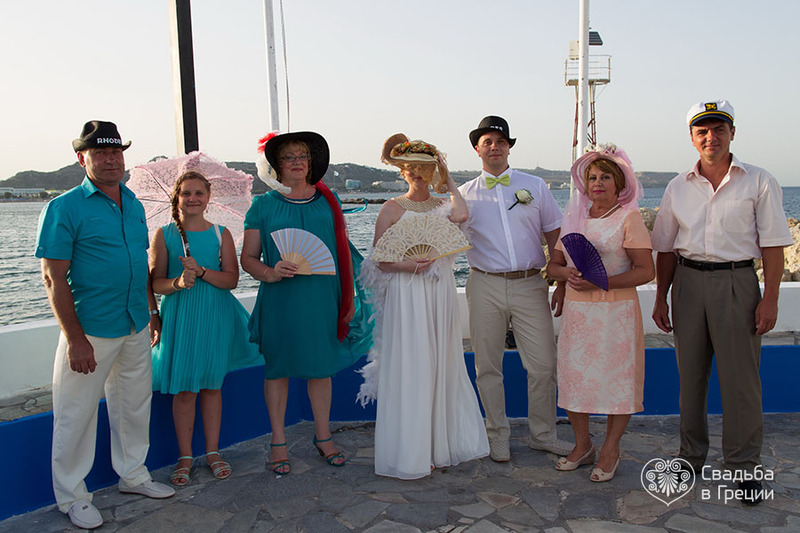 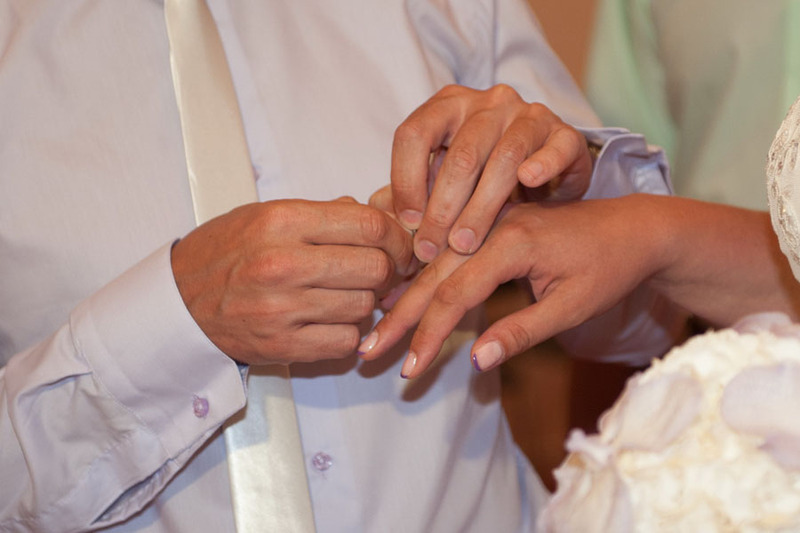 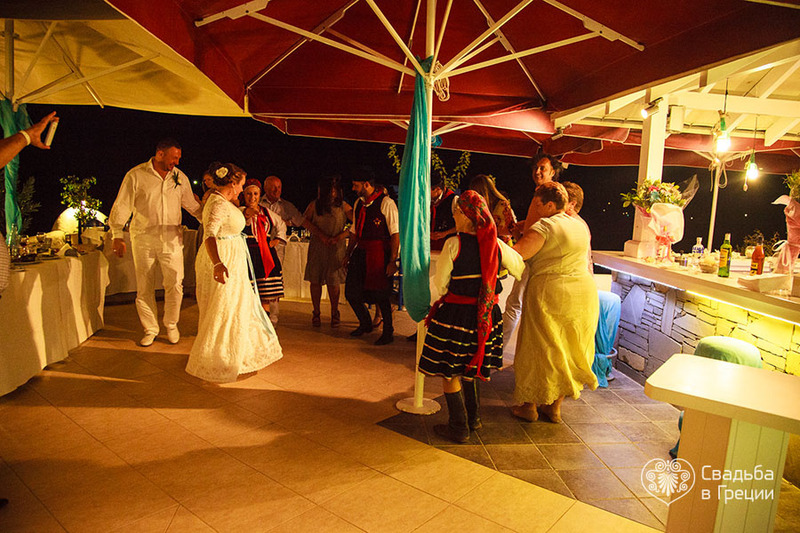 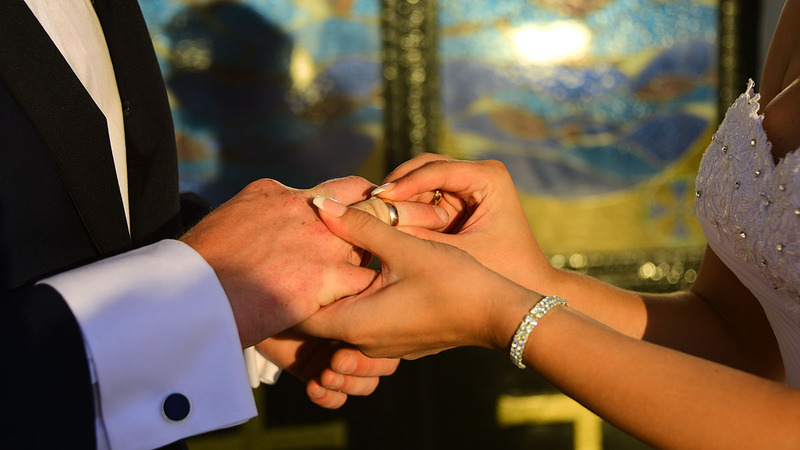 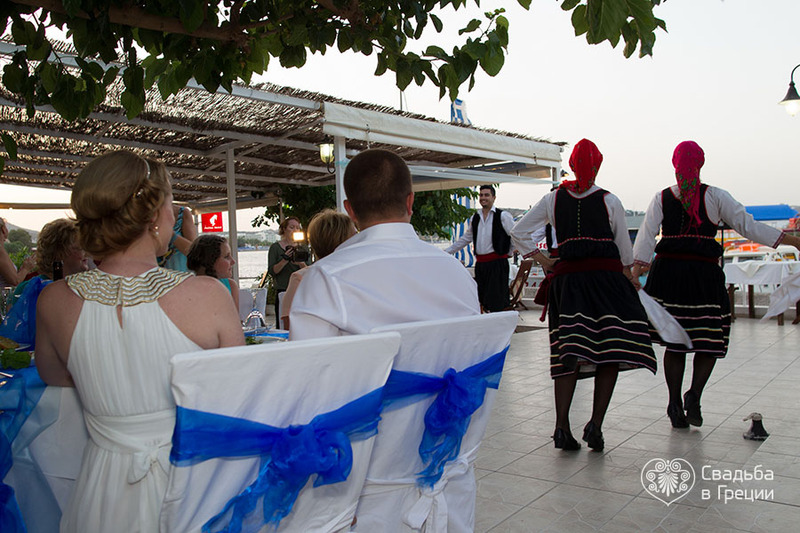 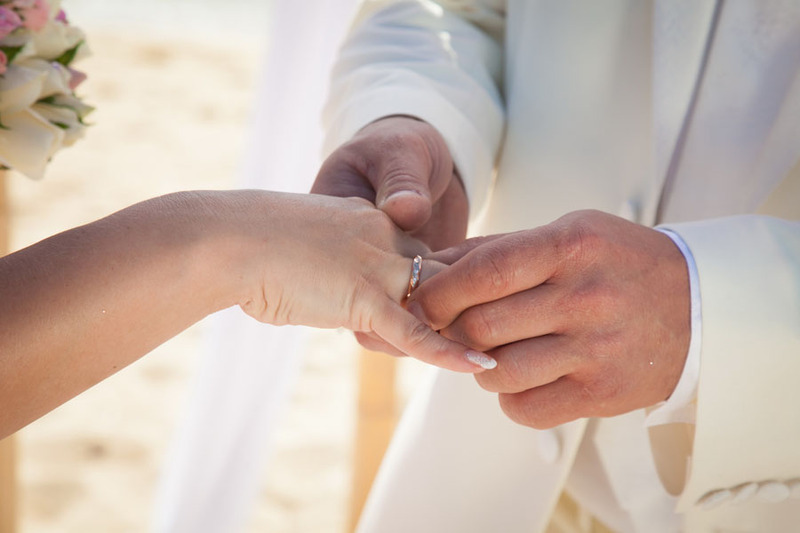 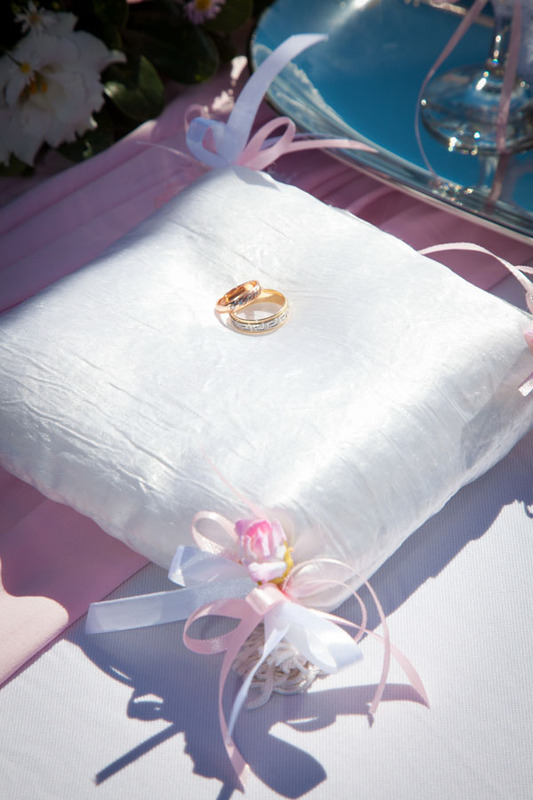 Official marriages conducted in Greece are recognized in most of the countries. 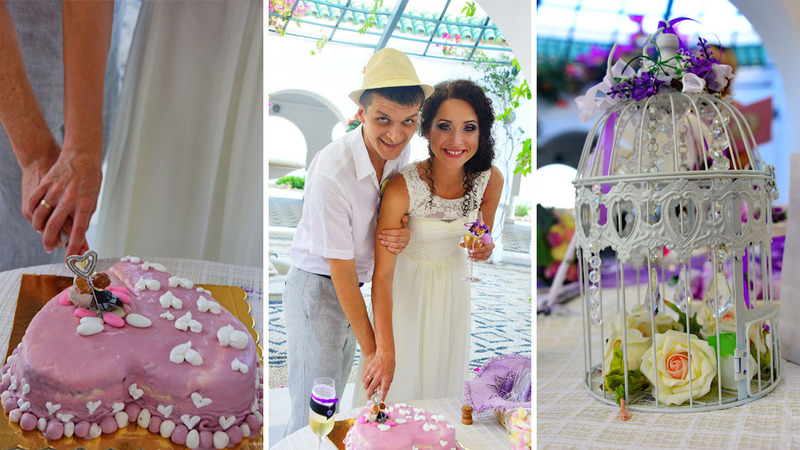 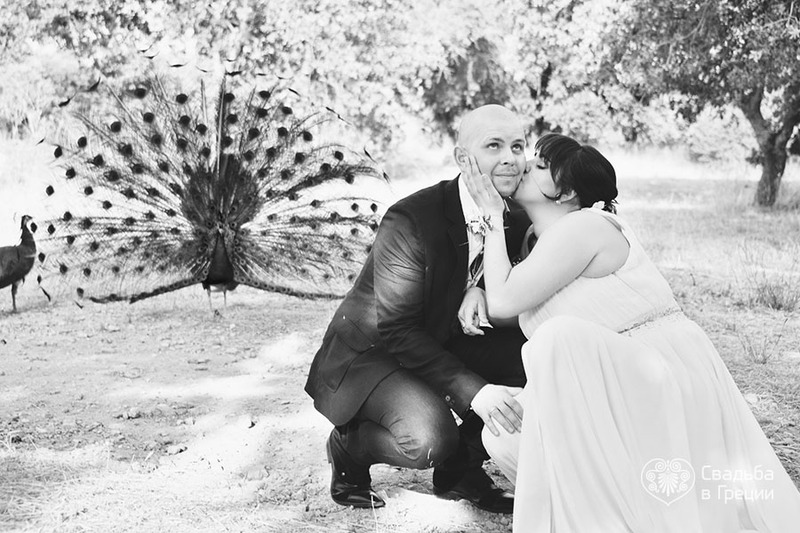 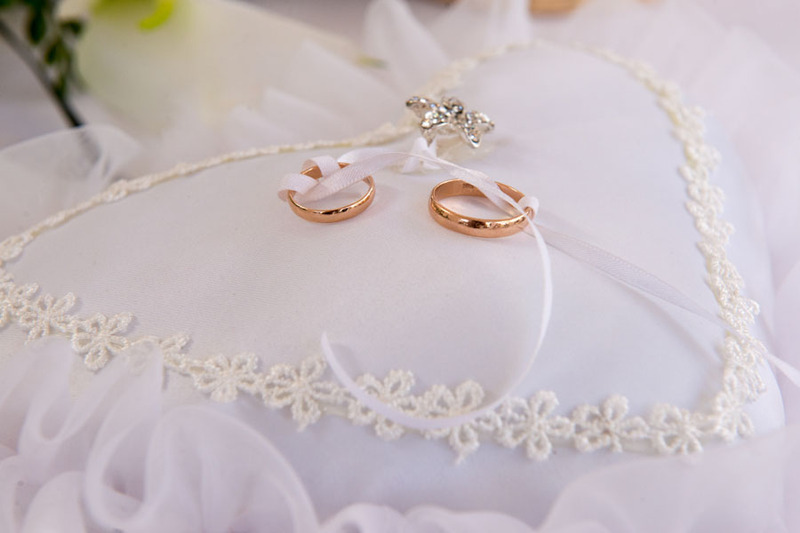 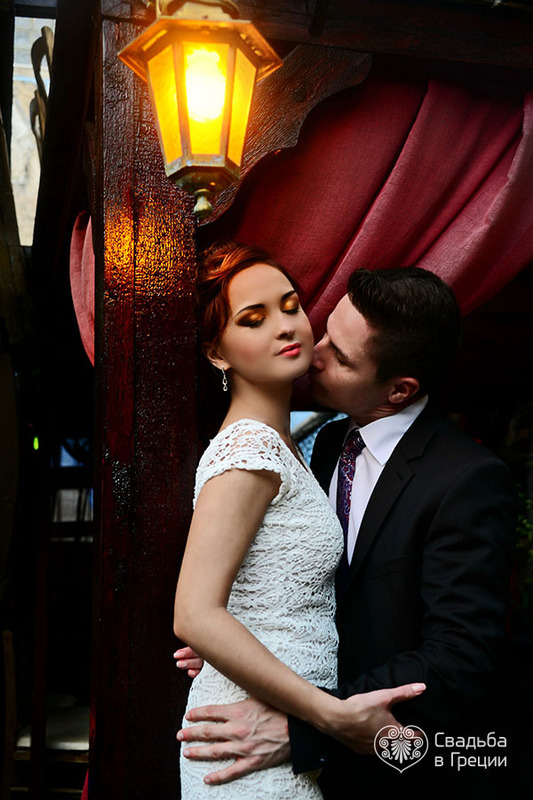 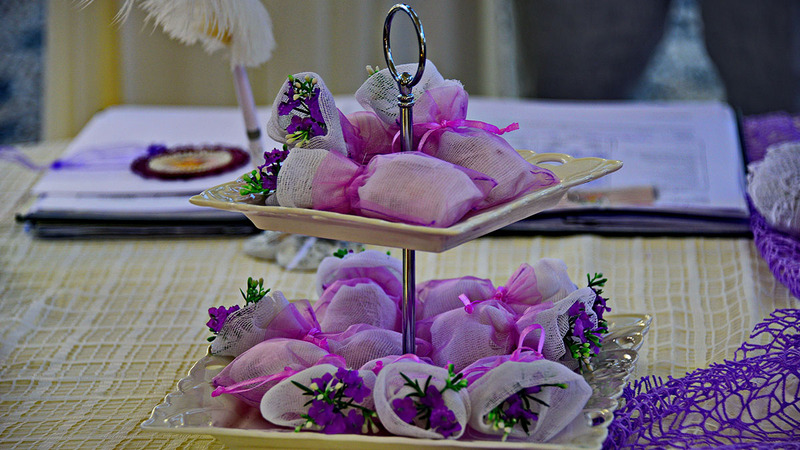 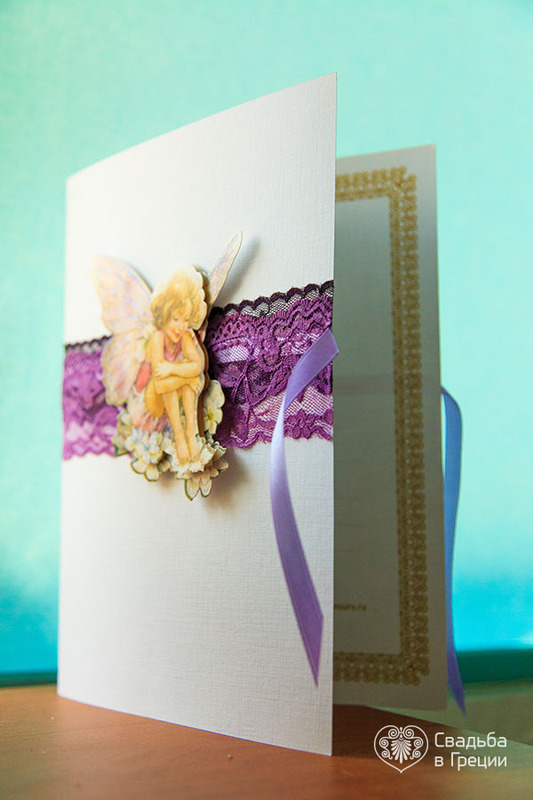 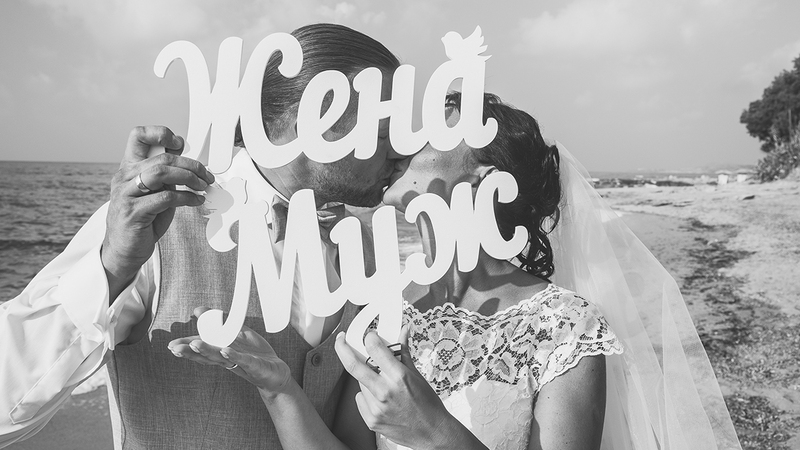 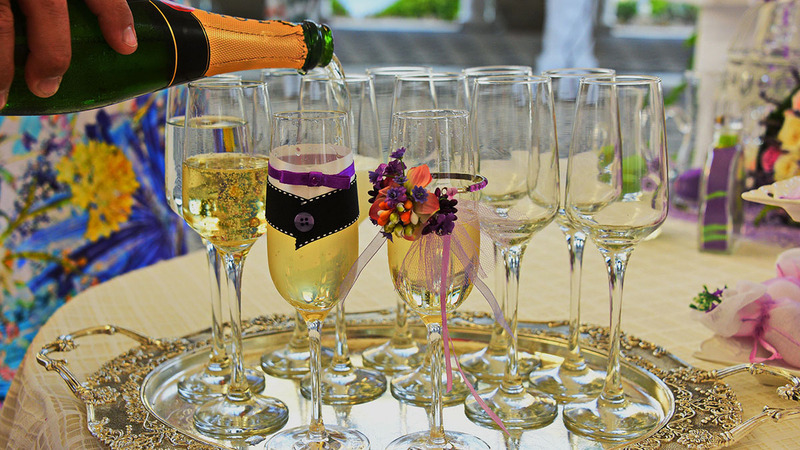 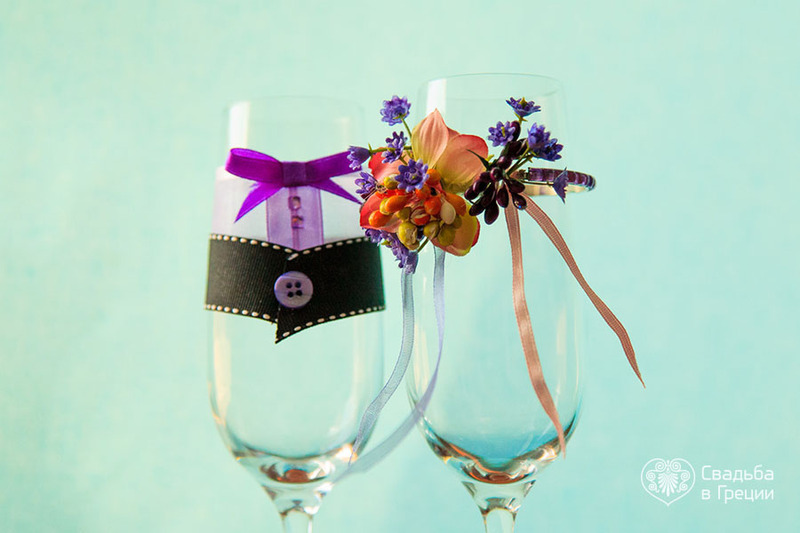 Such a wedding will become really something special for the couple and their guests. 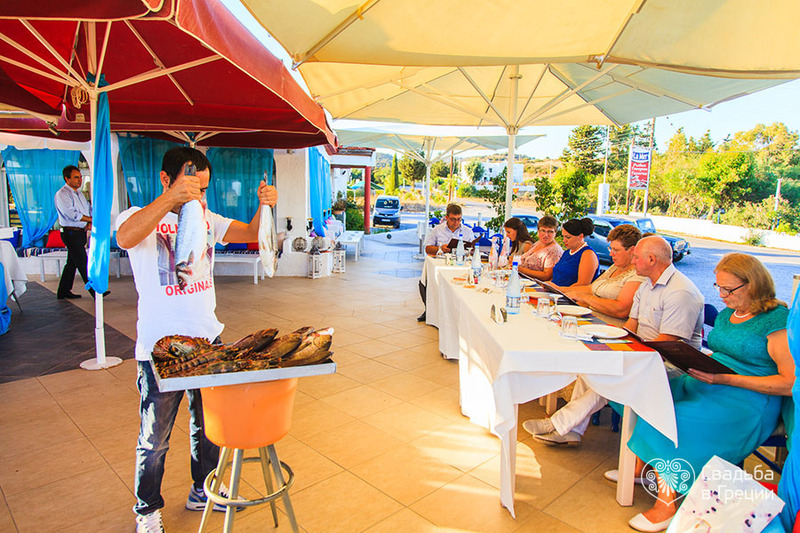 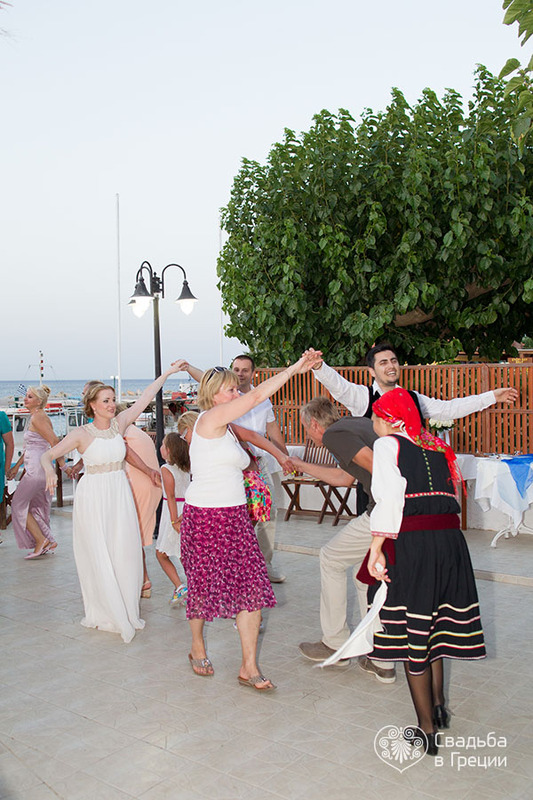 Moreover, Greece is famous for its hospitable local people. 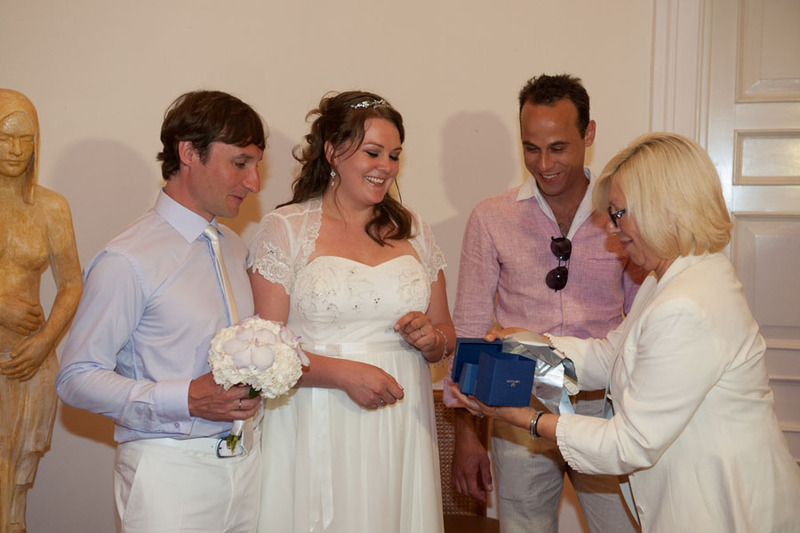 The mayor of the city who hosts the ceremony comes to congratulate the newlyweds. 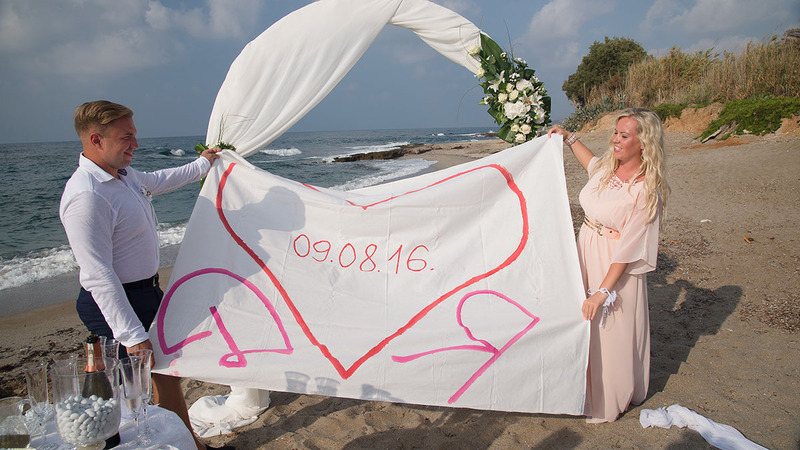 Passers-by do not usually miss a change to say their heartfelt wishes to the couple. 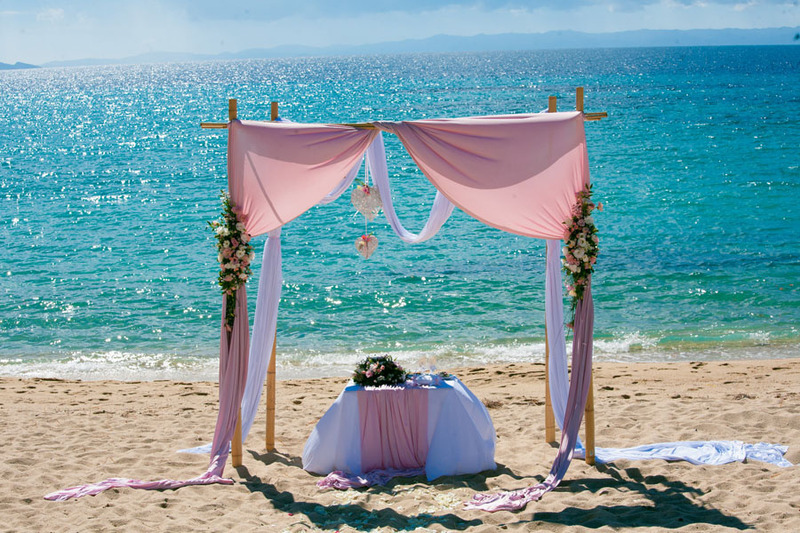 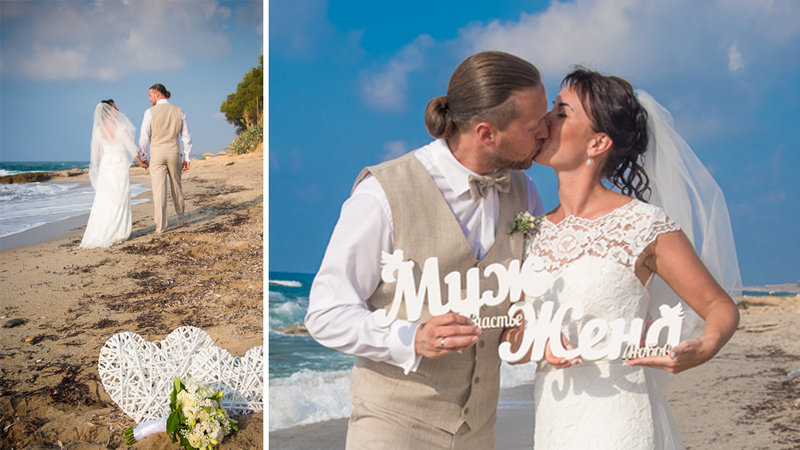 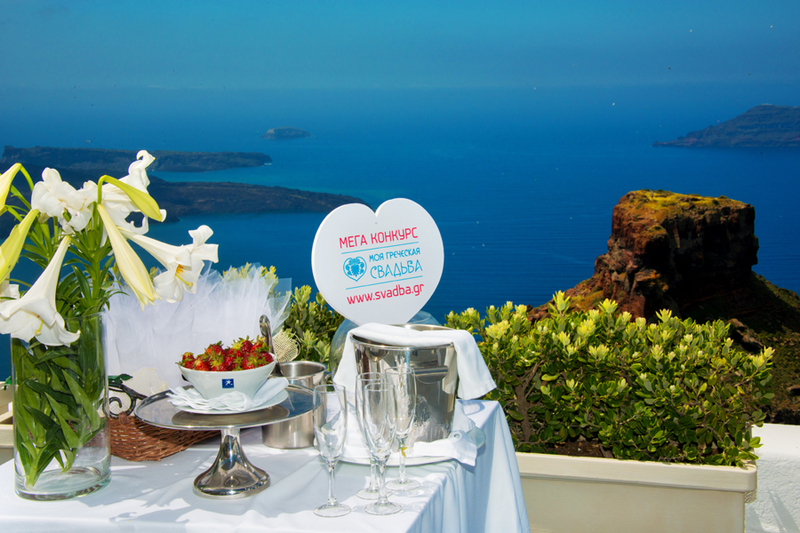 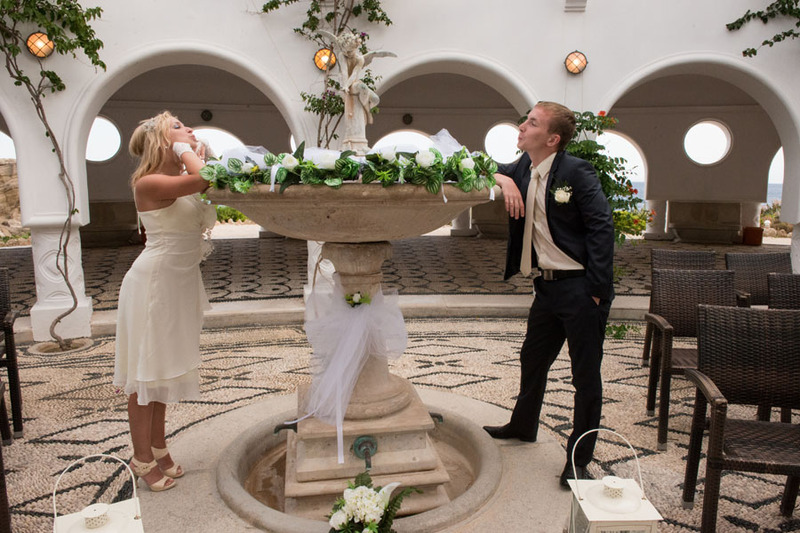 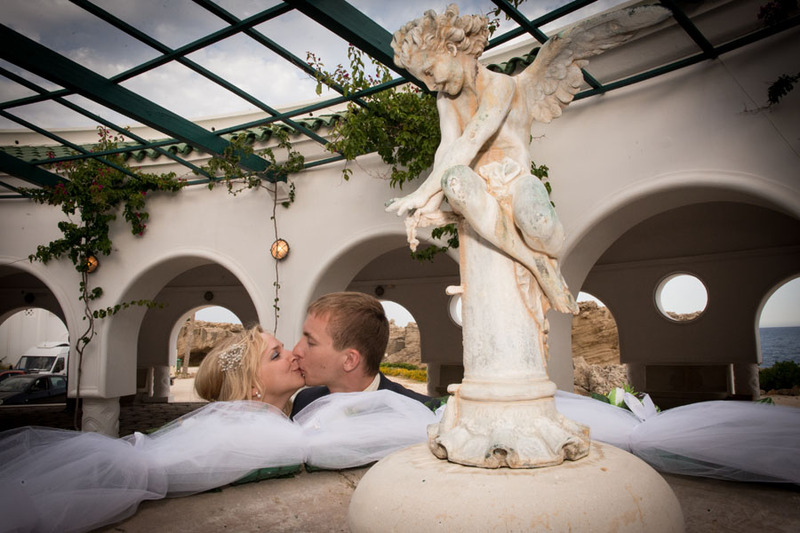 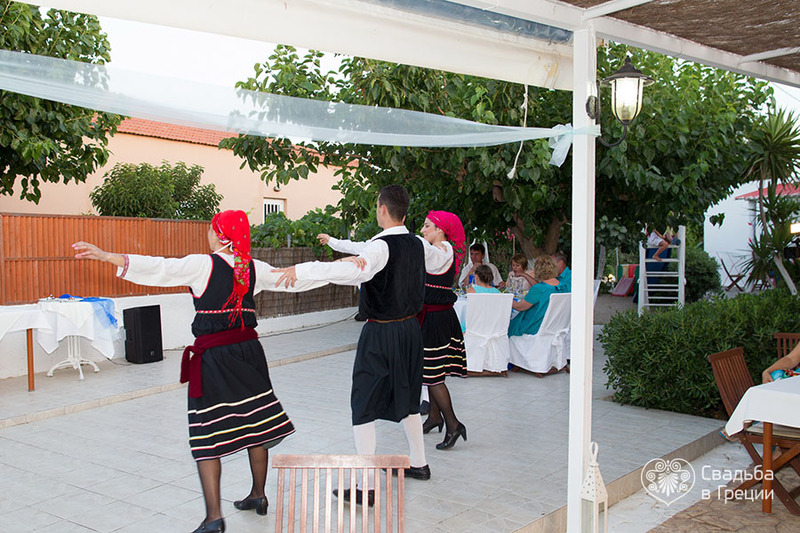 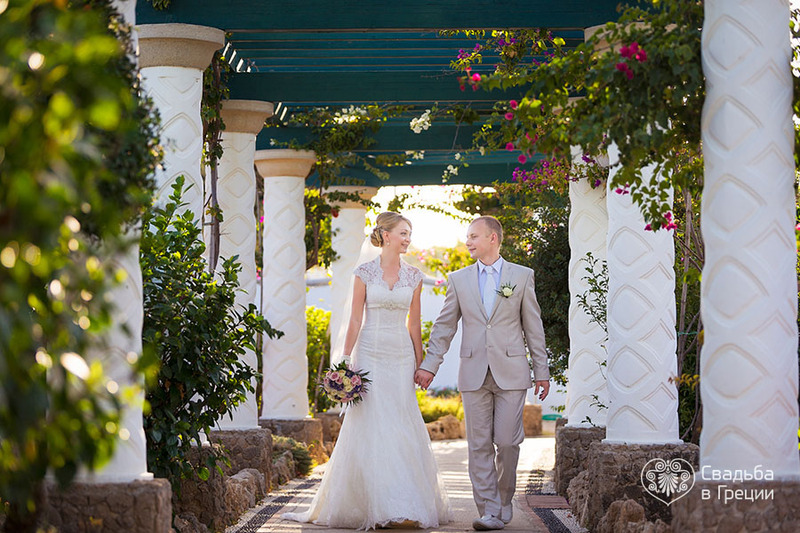 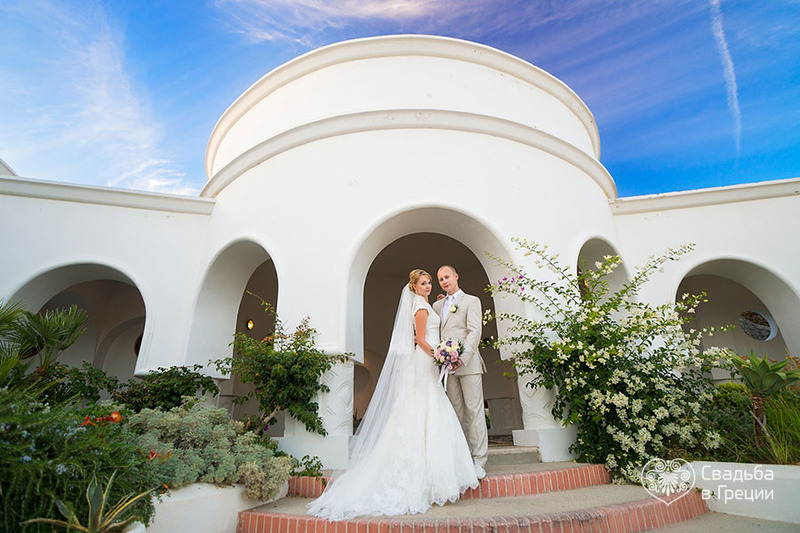 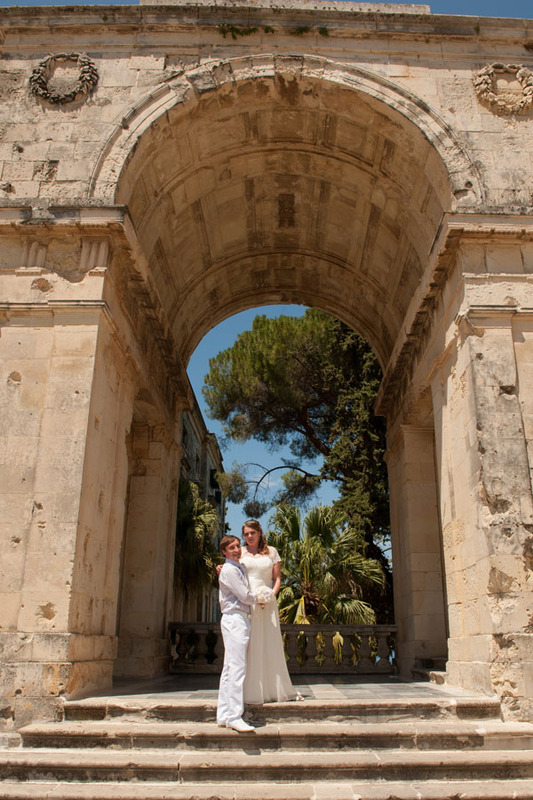 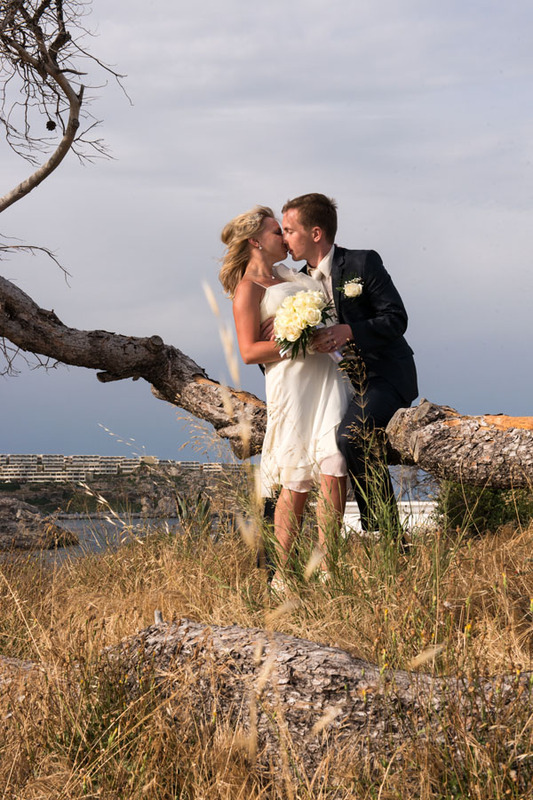 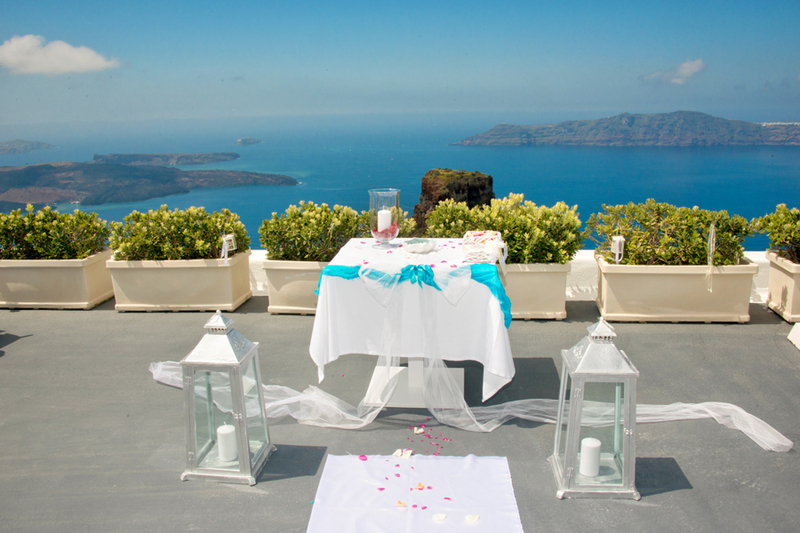 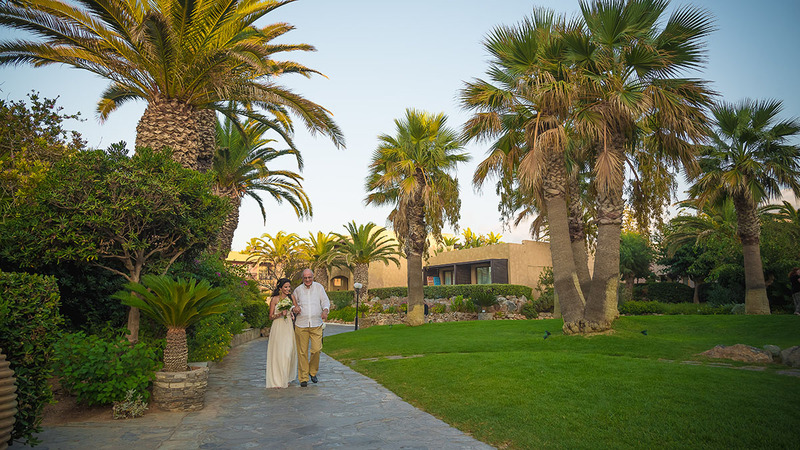 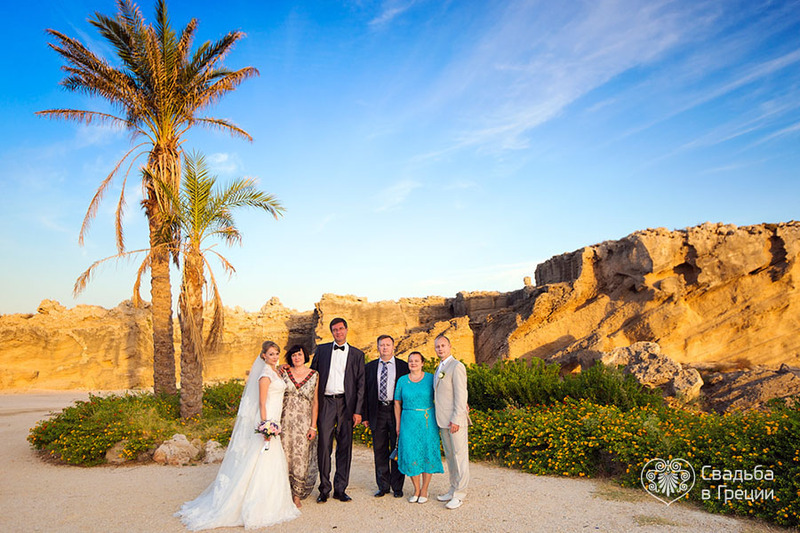 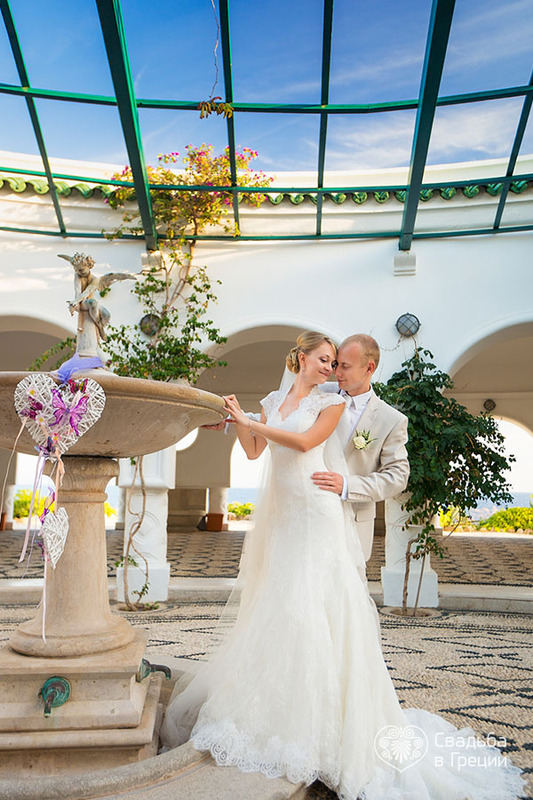 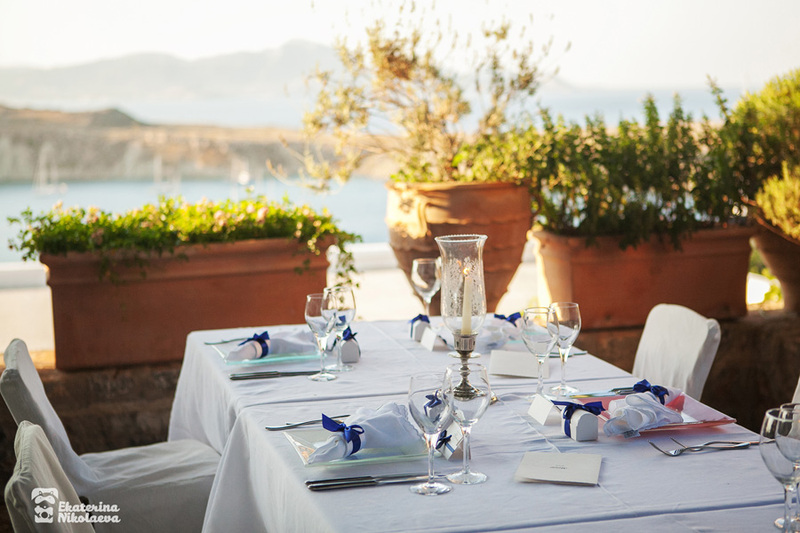 Thanks to its variety of scenery and landscapes here in Greece you can find an ideal location for your theme wedding. 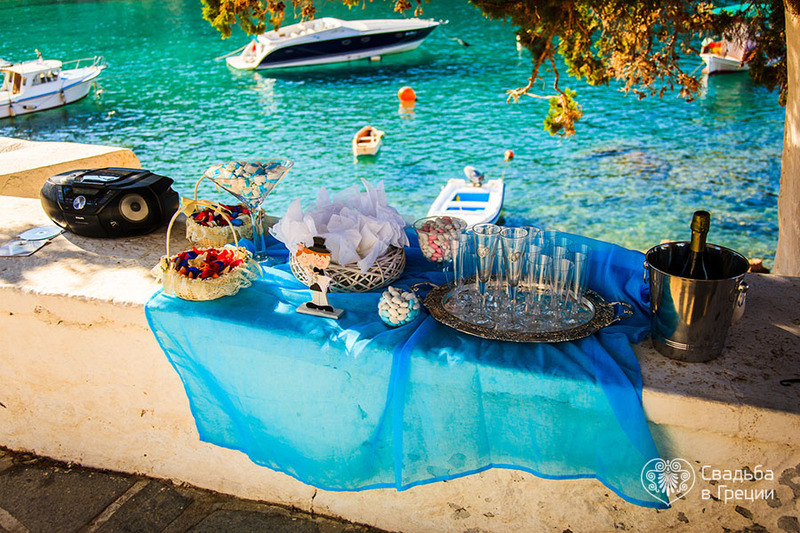 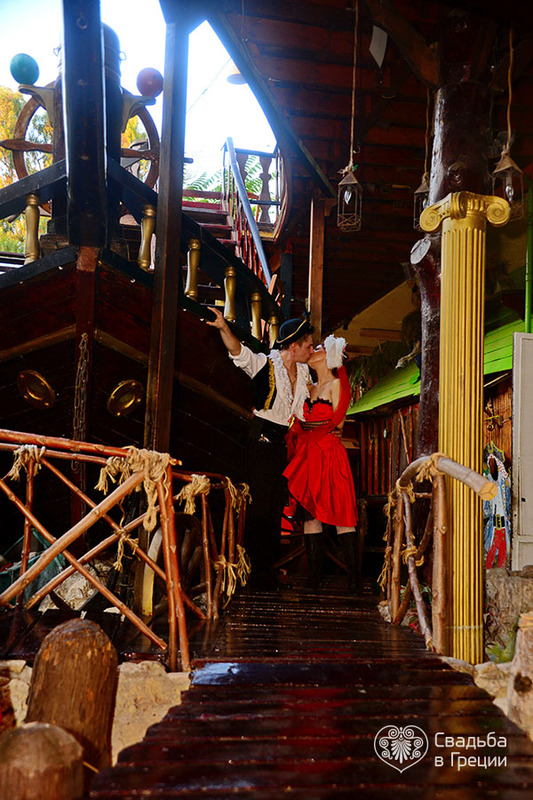 Whether it is a wedding in an antique, traditional Greek, olive tree, apple, vintage, chocolate, coffee, pirate or Hollywood style. 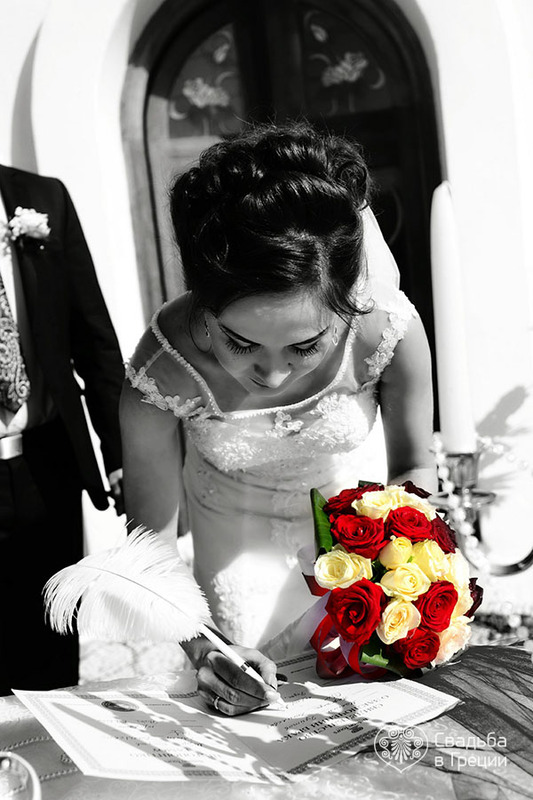 Regardless of your preference an individual script will be written. 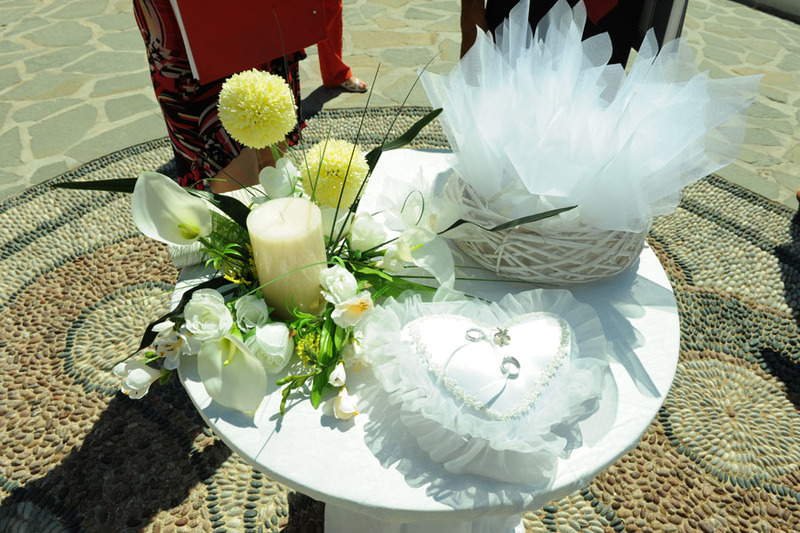 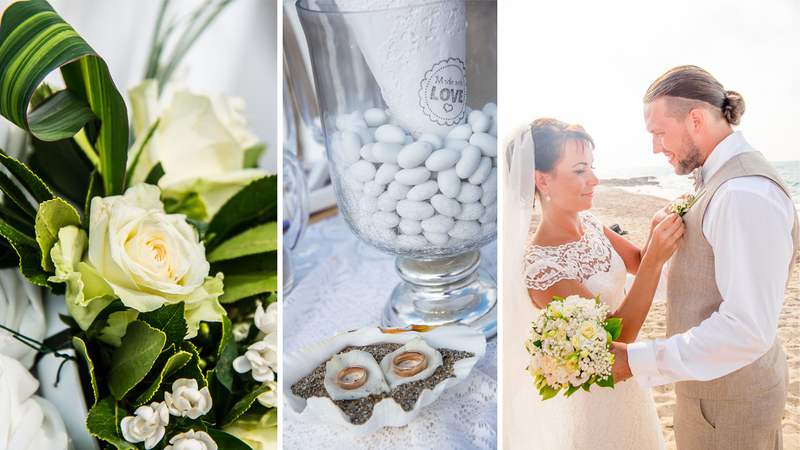 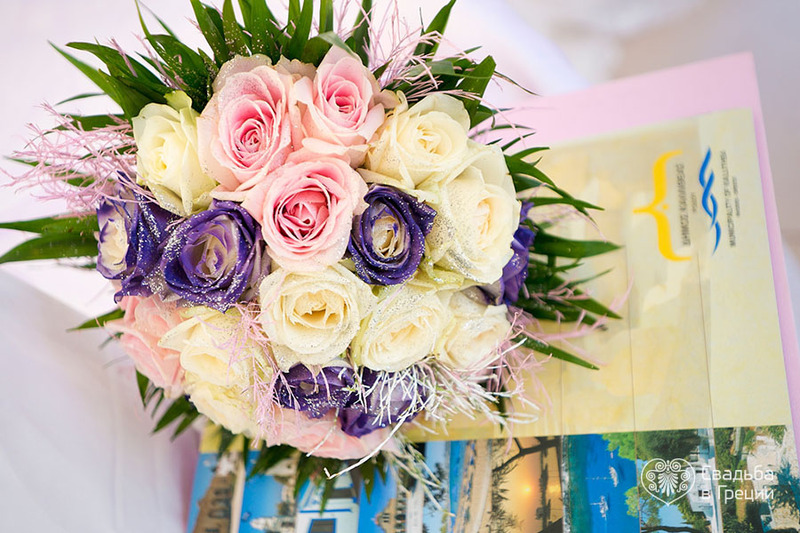 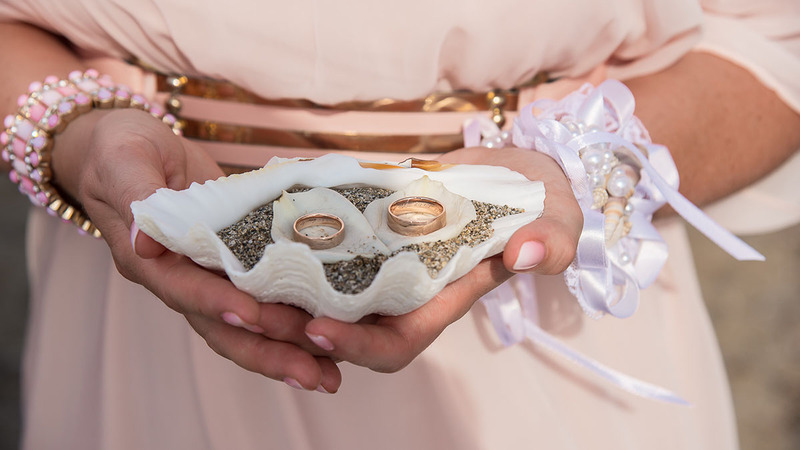 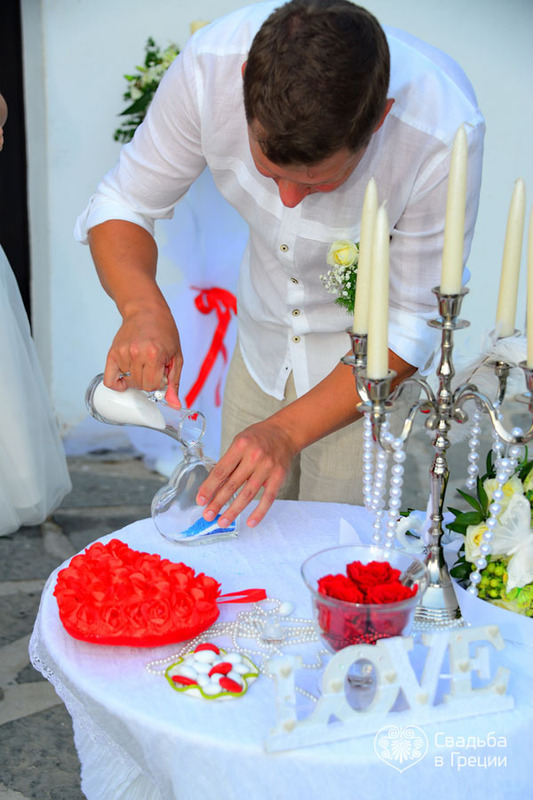 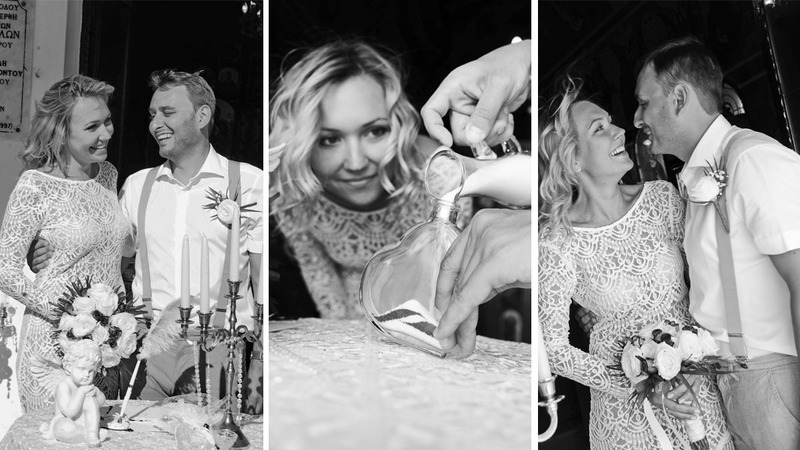 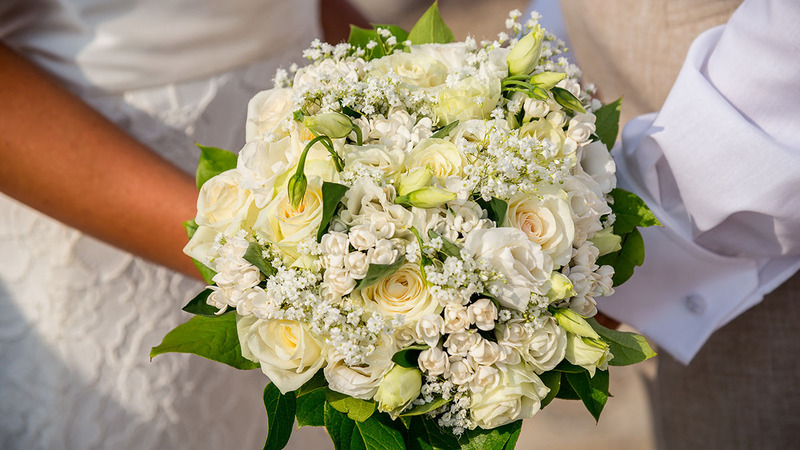 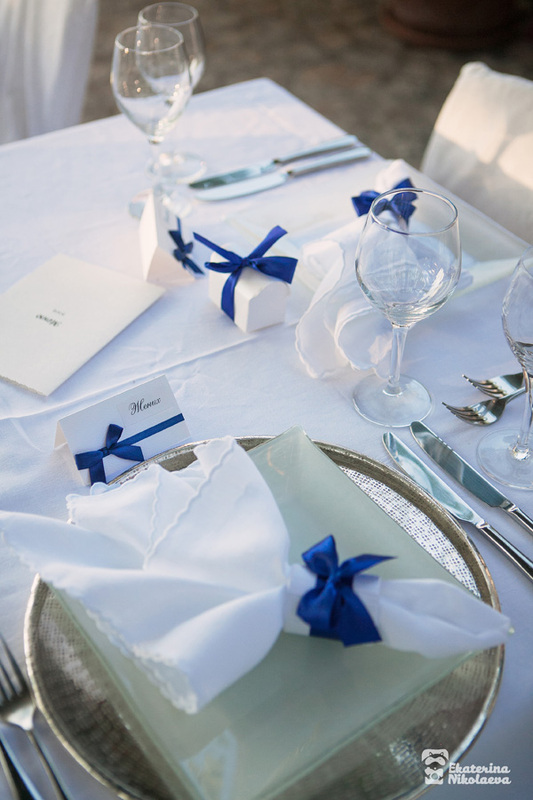 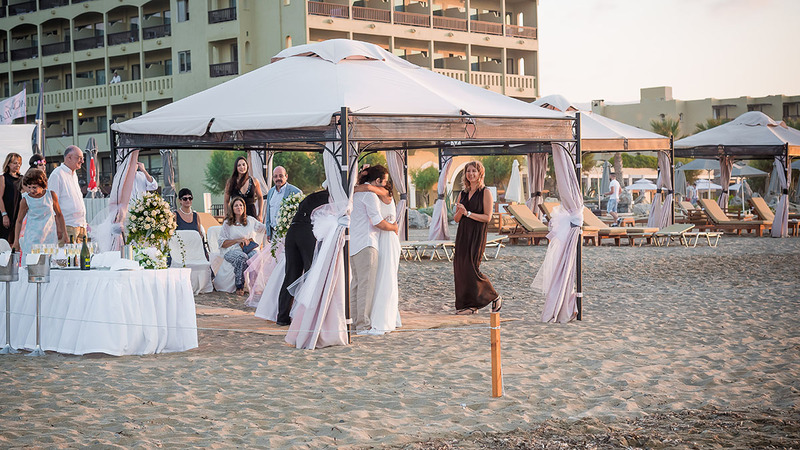 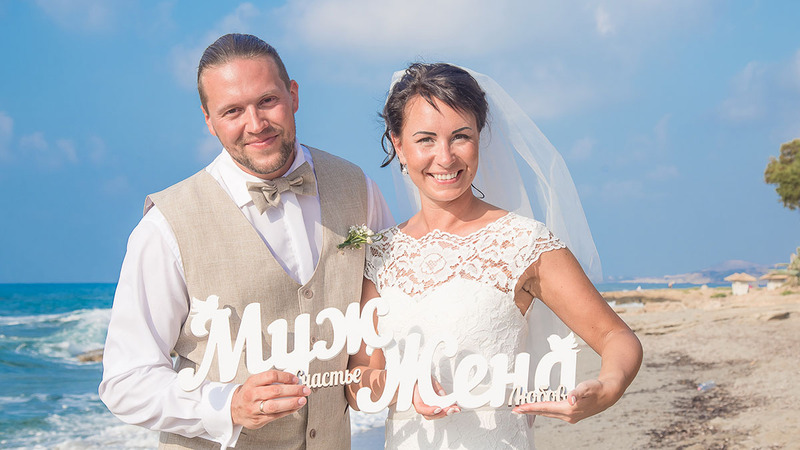 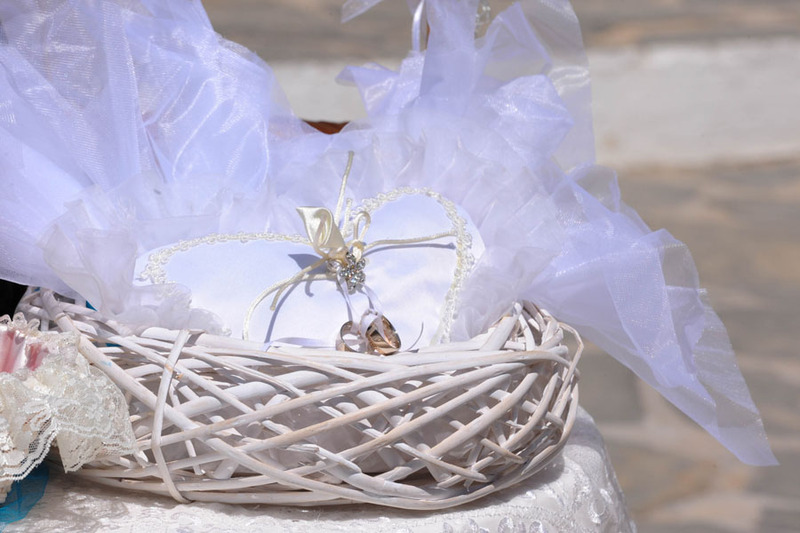 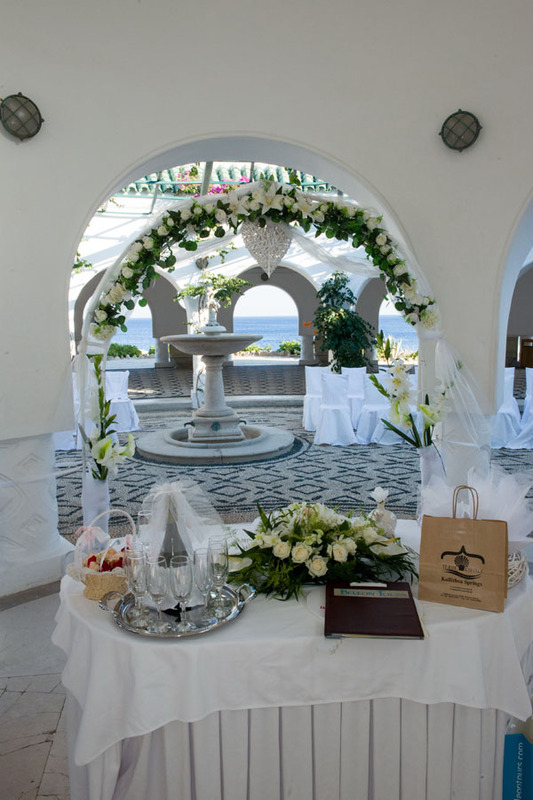 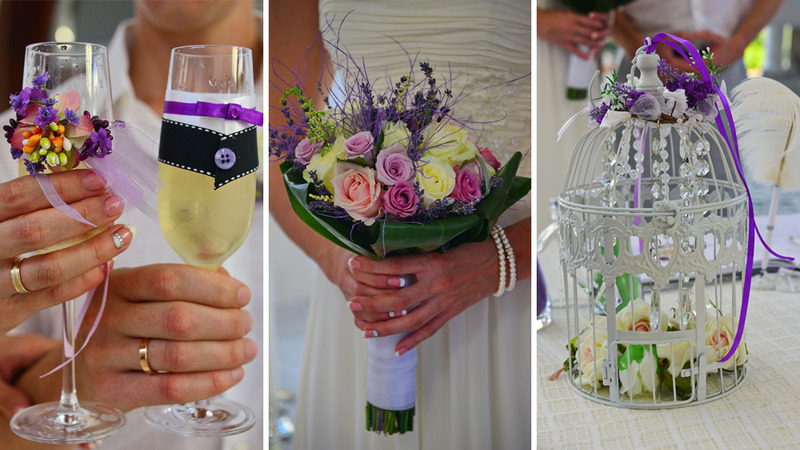 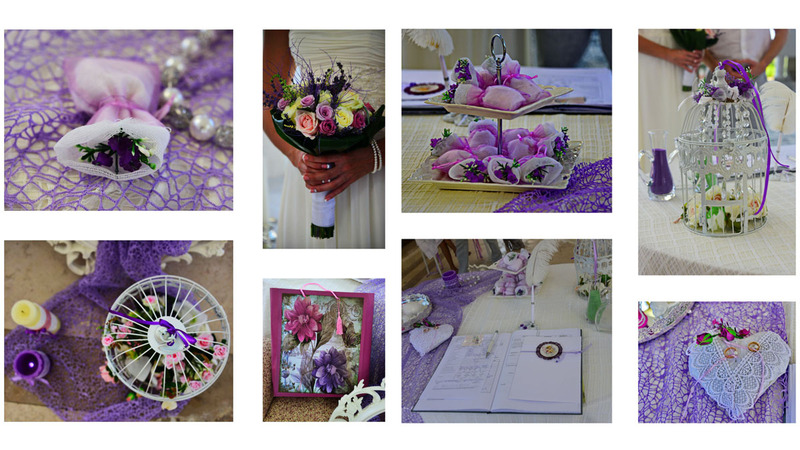 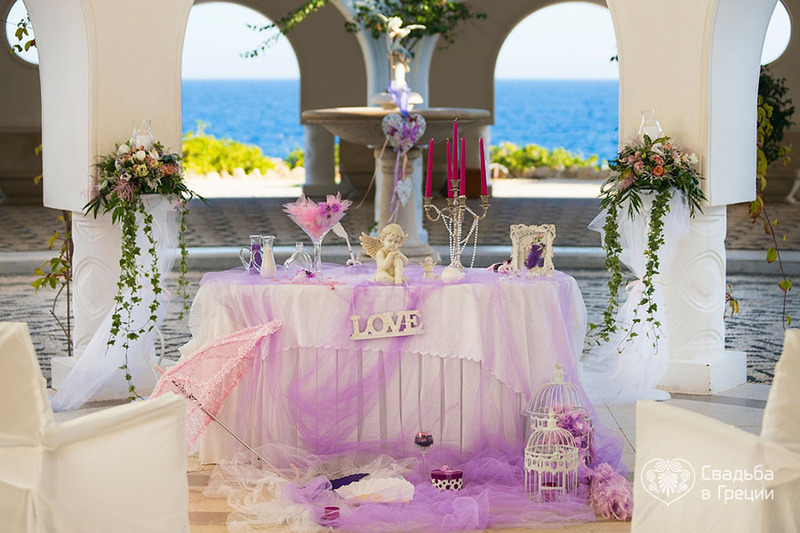 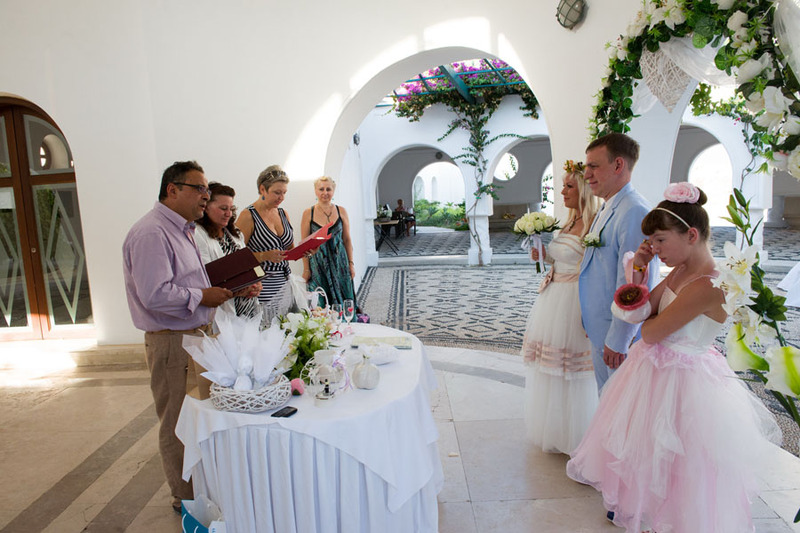 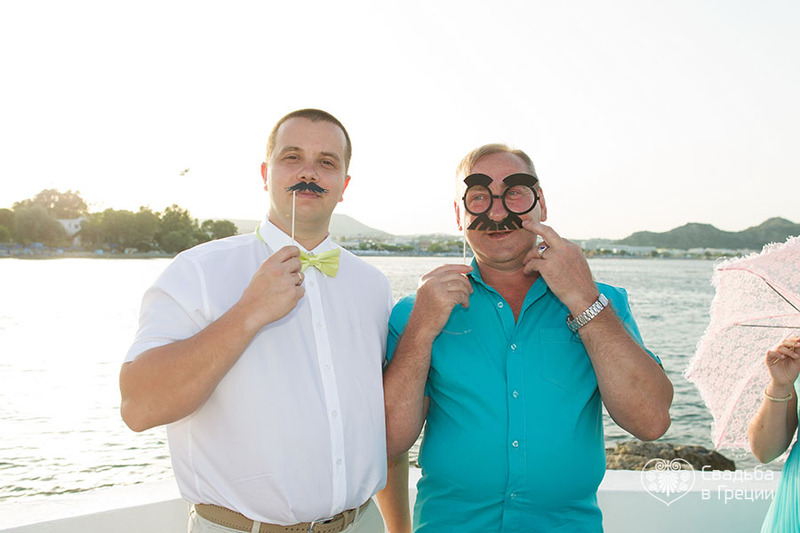 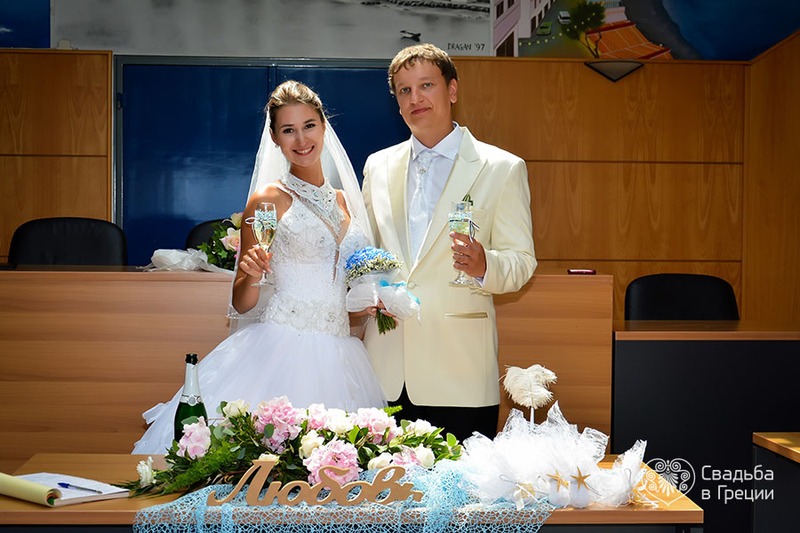 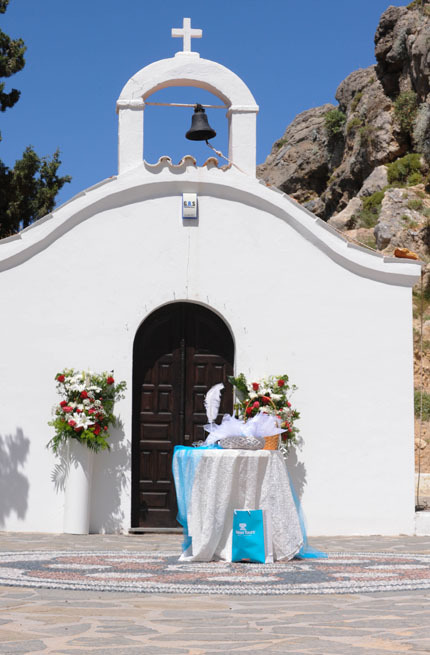 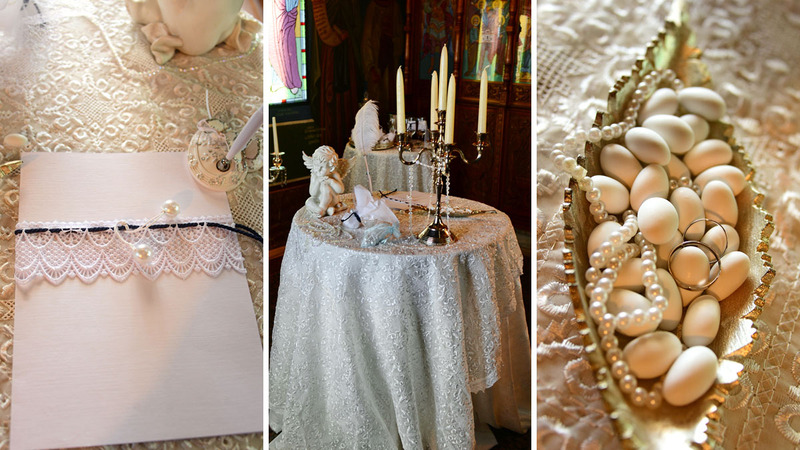 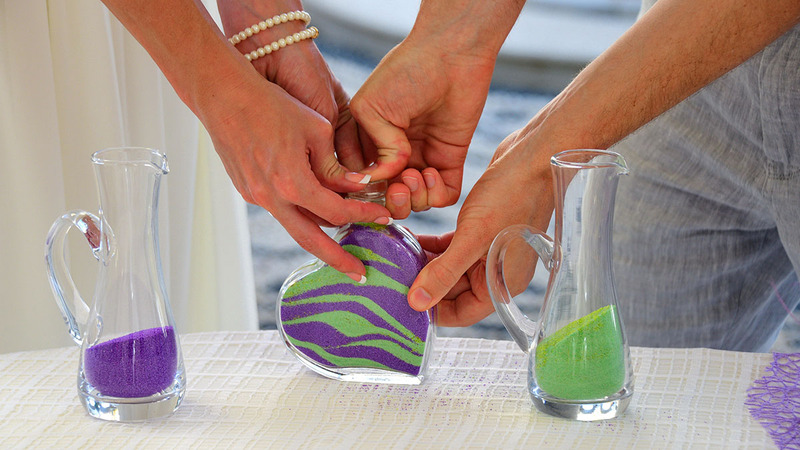 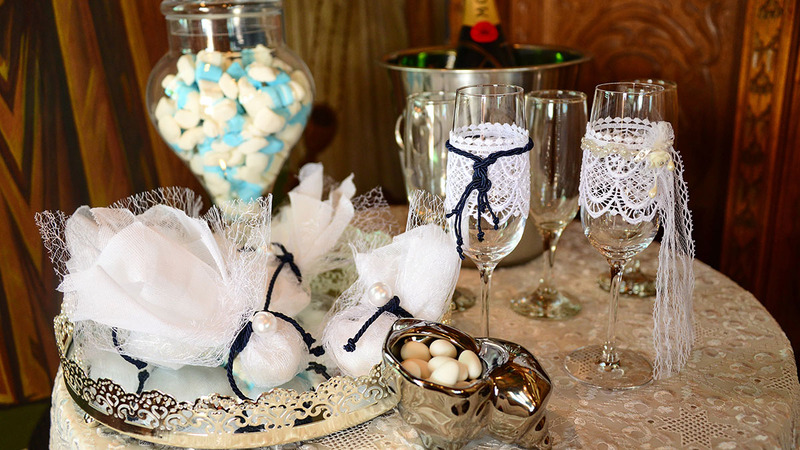 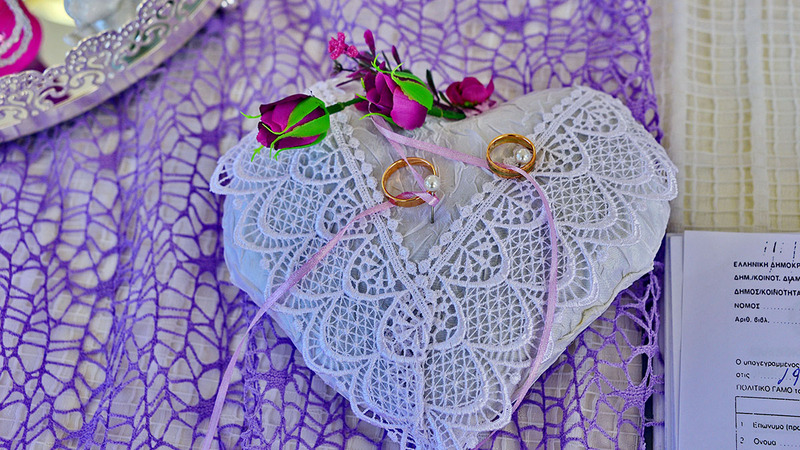 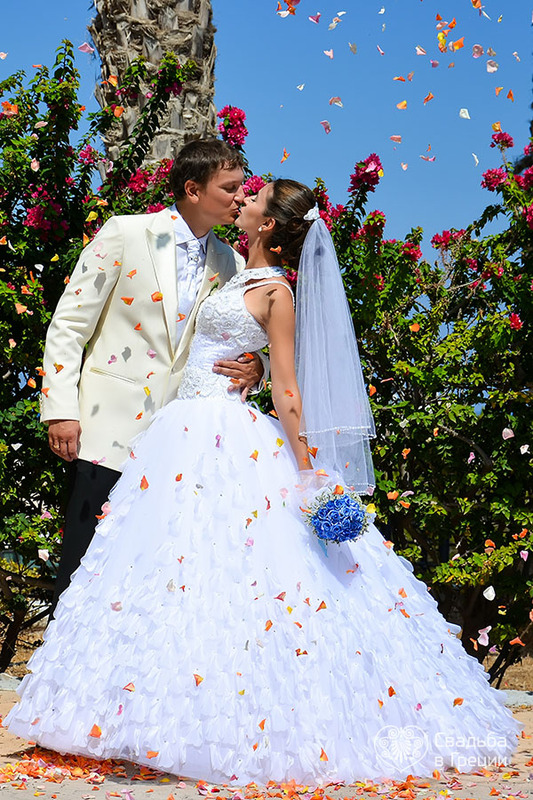 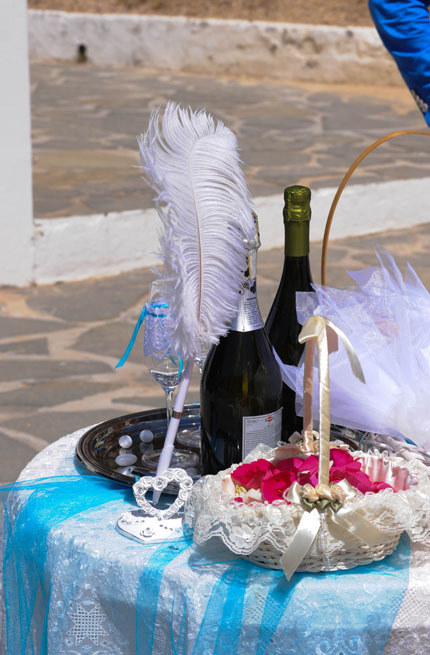 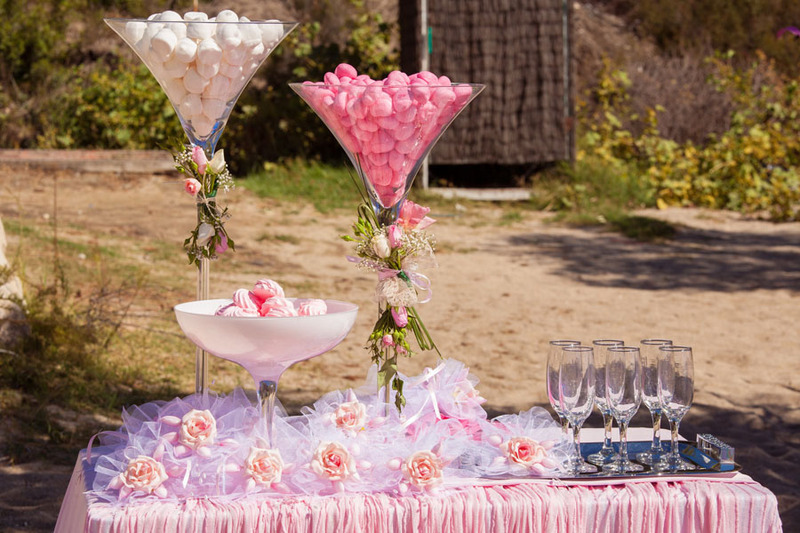 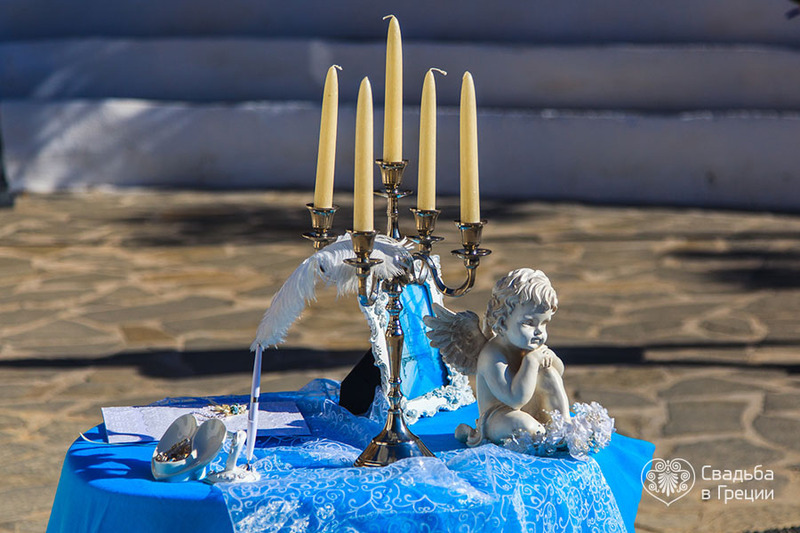 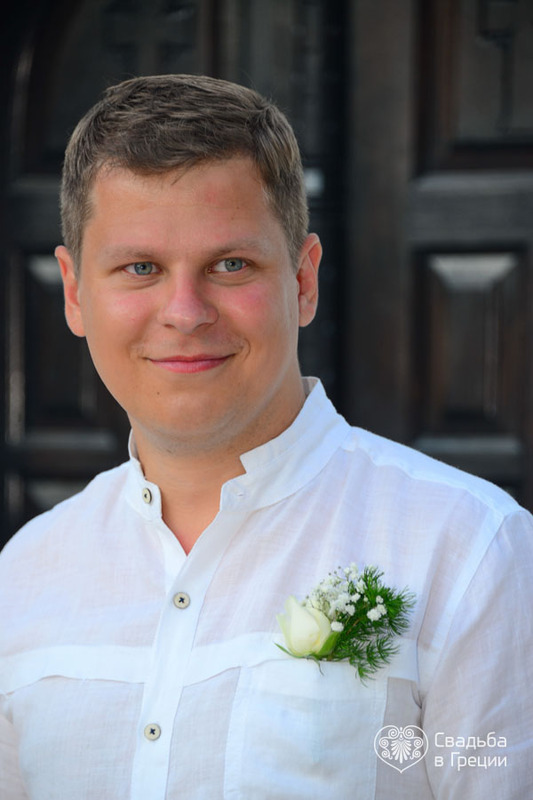 The wedding coordinators of the company “Weddings in Greece” will take care of the both of interior and exterior decoration, the selection of the accessories and follow all the traditions. 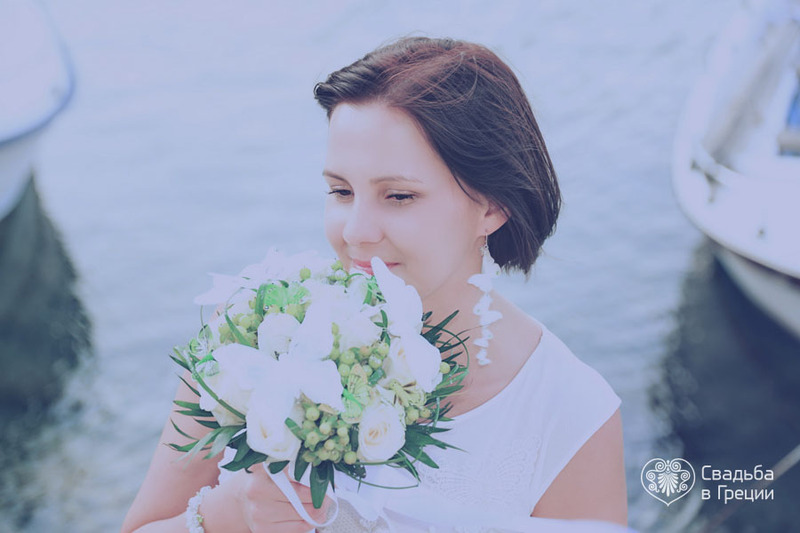 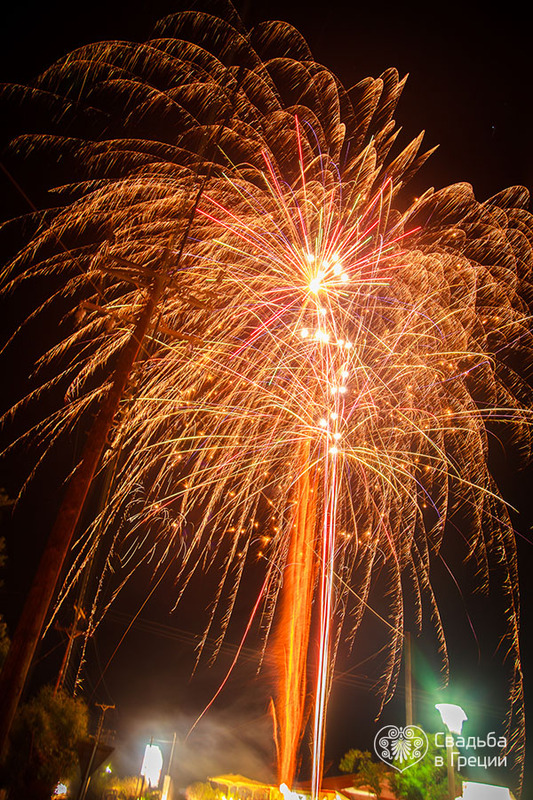 As a result, you will avoid all the hustle and bustle and will fully enjoy one of the most important events of your life.